The IFA Redfish Tour heads to St. Bernard Parish, LA for the first Open Tournament of 2017. 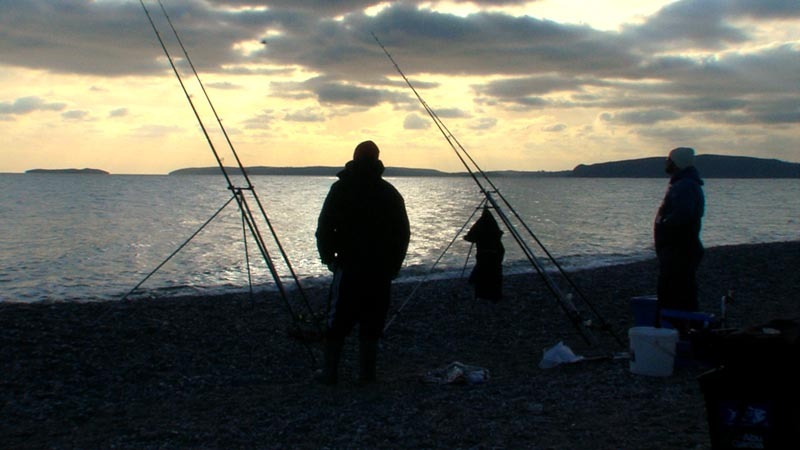 The competitors enjoy two days of fishing around the inshore lagoons in glorious conditions. 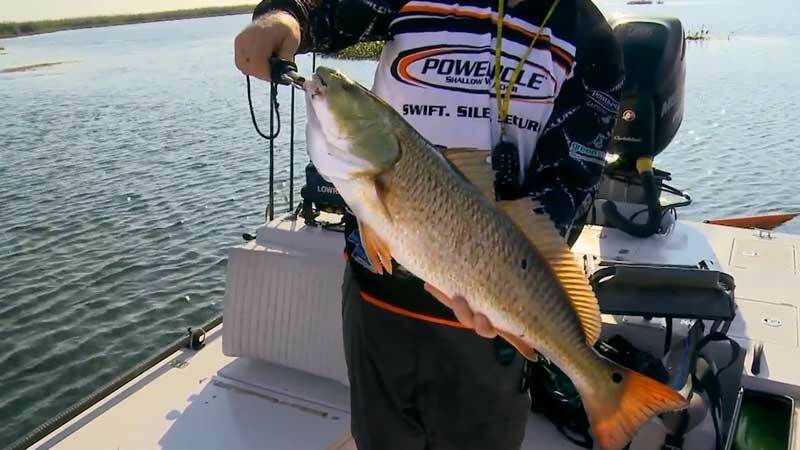 Their best two fish each day count and there are some big Redfish out there. 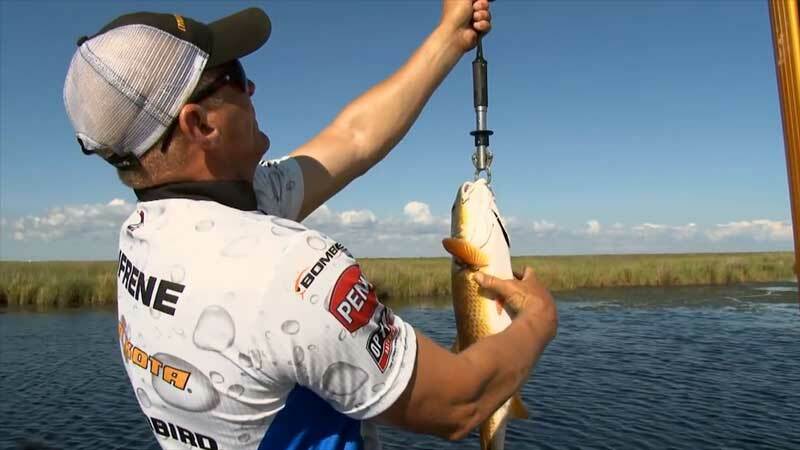 The IFA Redfish Tour heads to Empire, LA for the second Open of the year. It's another slot tournament so the competitors are looking to bag fish just on the 27 inch mark. Easier said than done, but it does mean the outcome is decided by the odd ounce or two. Dave Barham shows us his ‘go to’ rig for top fishing, incorporating a long trace, 200lb mono and most importantly, a strong circle hook. Keeton Eoff and Morgan Promnitz take their Hobies and head south to Cedros Island off West Mexico. 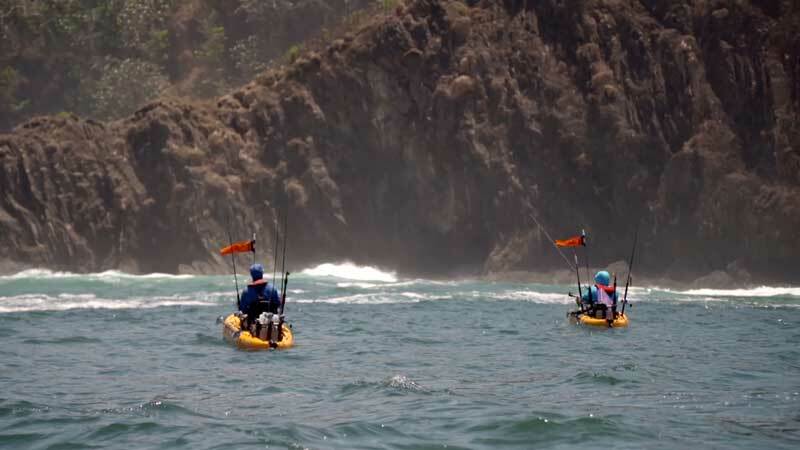 They are well looked after by Jeff Mariani, local kayak specialist and have a very exciting first day's fishing in the swells along the islands rocky coast. 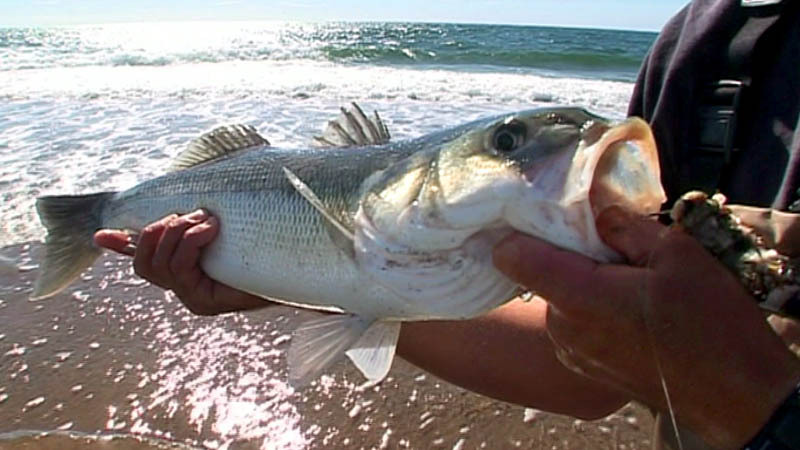 Calico Bass and Sea Bass seem to be there in abundance. We're back in Cedros, Mexico and Keeton and Morgan see some more shoreline action in their Hobies. This time the Halibut make an appearance. 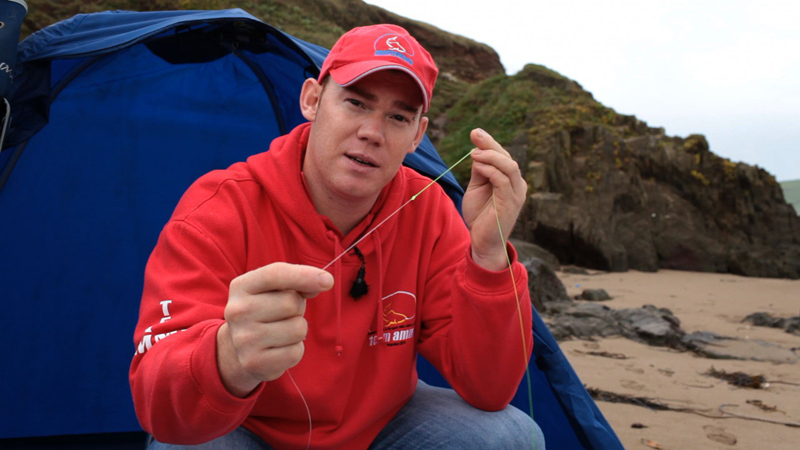 Top caster Peter Thain shows how to master the Aerialised Off The Ground cast. 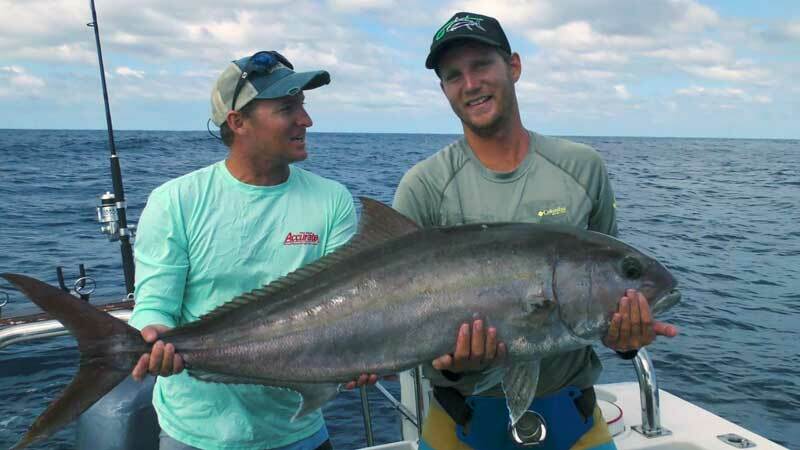 Amberjack are one of the hardest fighting deepwater fish and at Cape Vidal Mark and his buddy Dustin have their work cut as as they try to successfully reel in one of their many hook-ups. 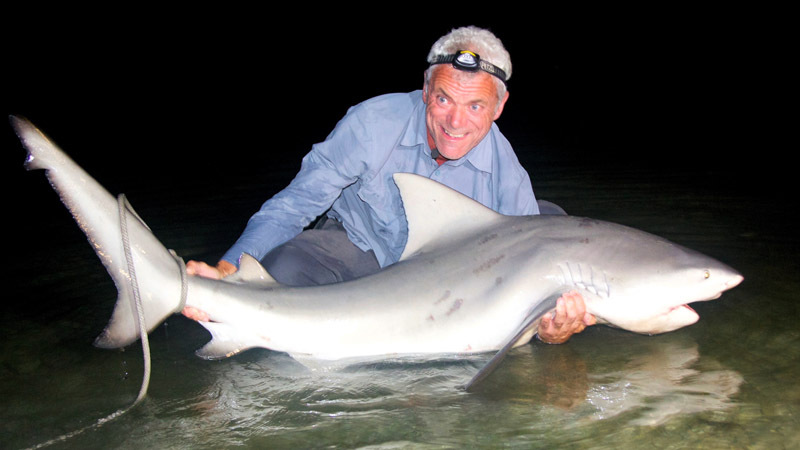 River Monsters presenter Jeremy Wade on why bull sharks in Florida are travelling miles up-river. 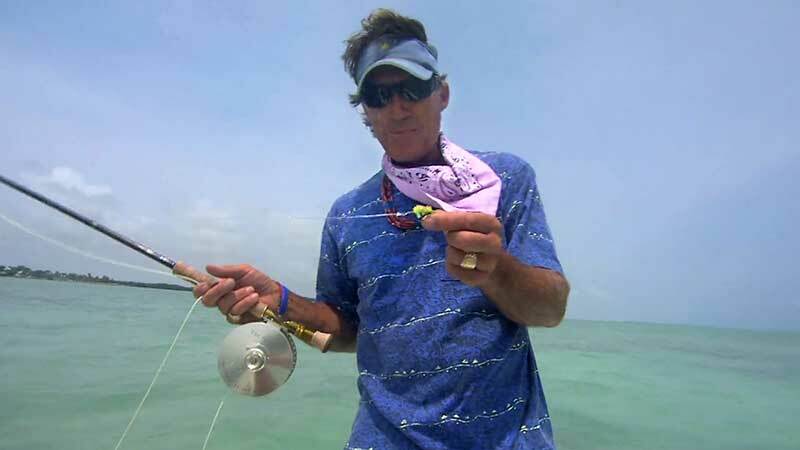 In this episode Mark discusses the rigs and knots he likes to use to when fishing for deep water big game fish such as marlin, wahoo, queen mackerel, tuna and marlin before tackling a sand shark from the shore. 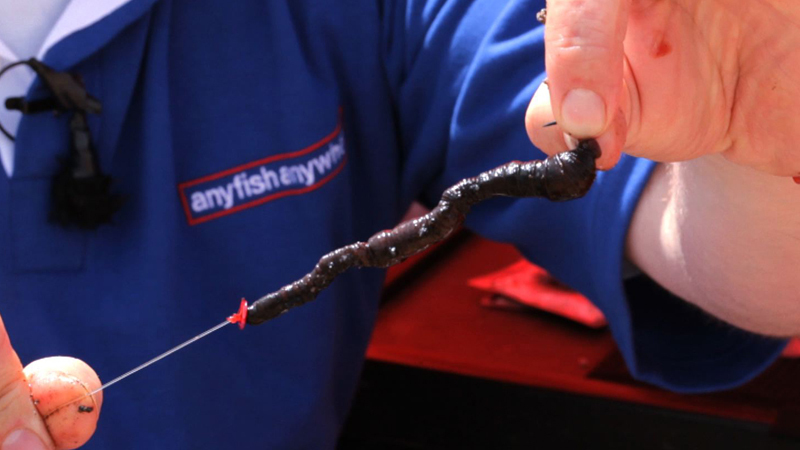 Julian Shambrook tells you all you need to know about getting the best from ragworm. 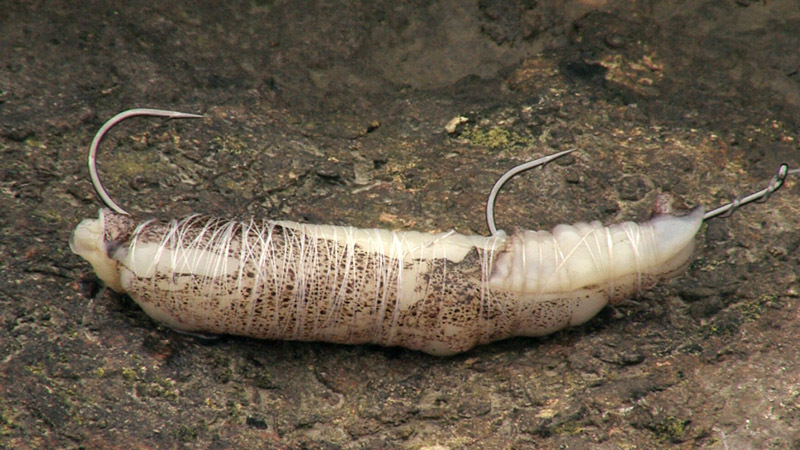 Julian Shambrook tells you all you need to know about getting the best from sandeel baits. 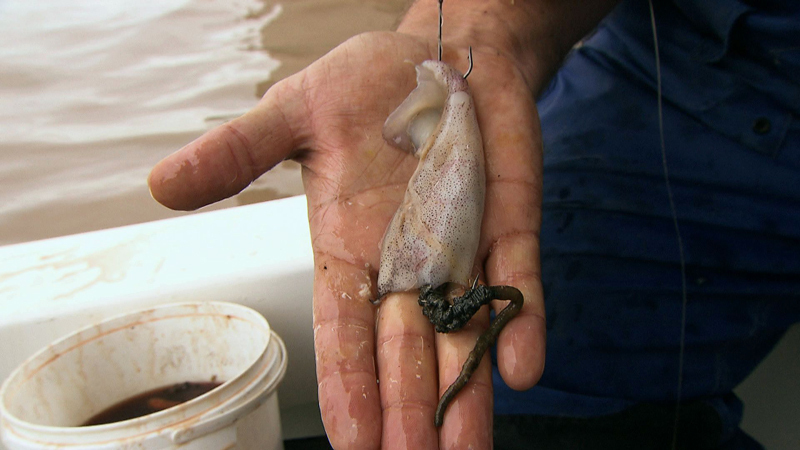 Julian Shambrook with great tips for getting the best from squid baits. 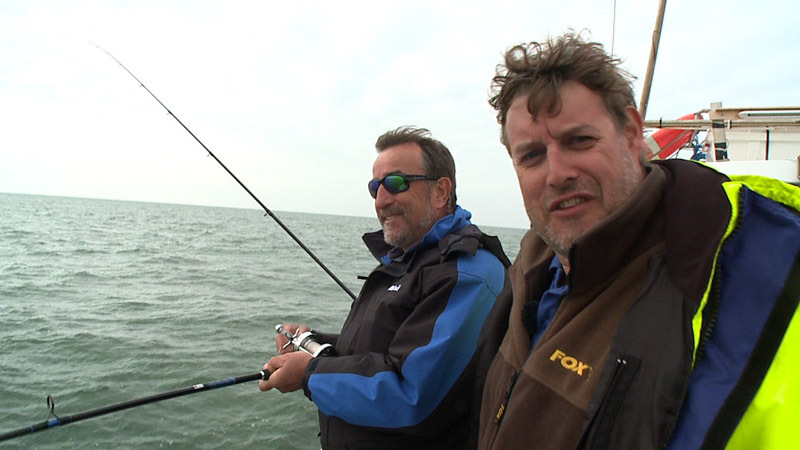 Henry Gilbey joins Graham Hill for some high adrenaline estuary bait fishing for bass. 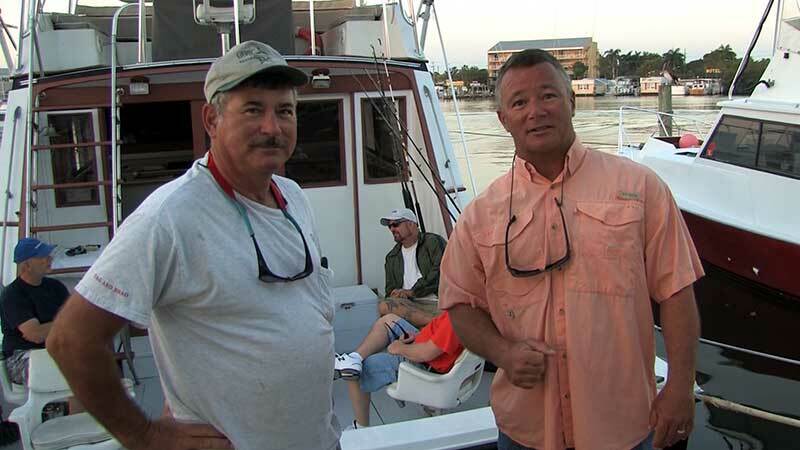 In this episode Captain George Clark Jr. is out with Bamboo Charters on the Gulf of Mexico to see what they can find. 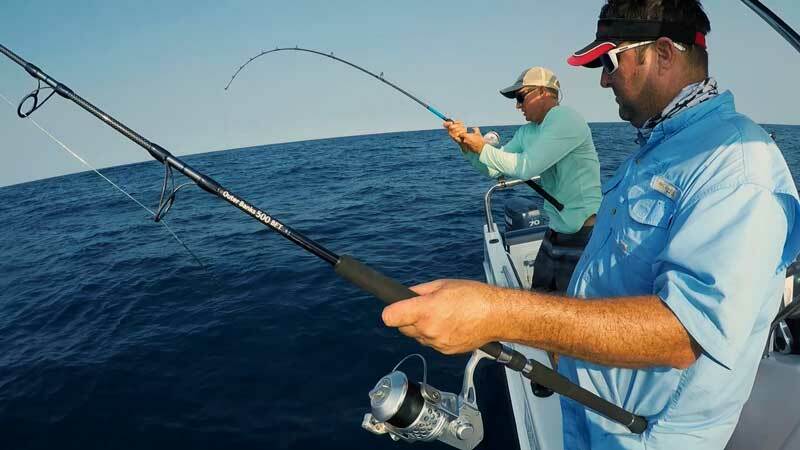 He’s joined by two former hosts of Reelin’ In The Keys and they exchange a few tall tales while fishing some live shrimp for… whatever shows up. 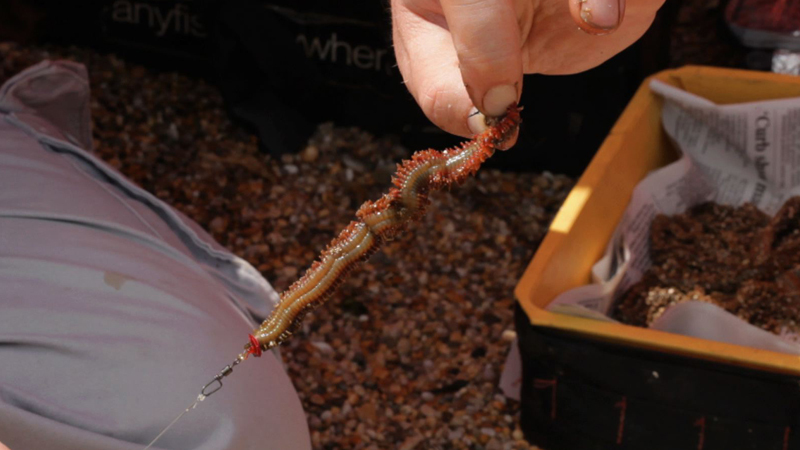 Total Sea Fishing editor Barney Wright shows how to tie up the one-up, one-down Portsmouth rig and how to use yellow tail lugworm properly. 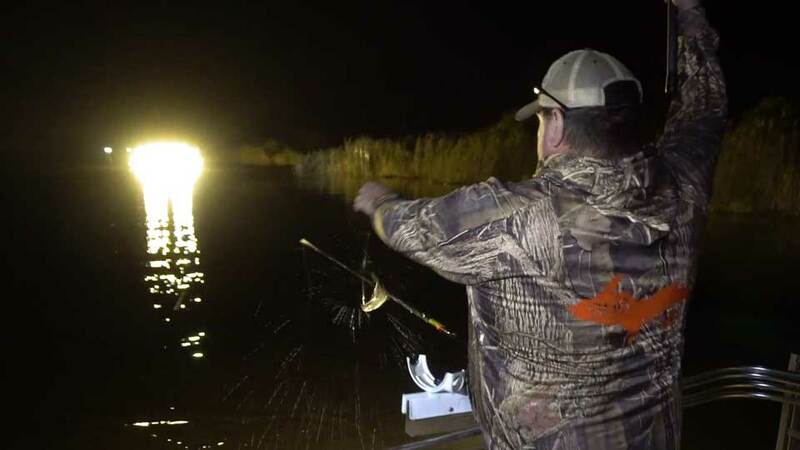 Boat fishing ace Jim Whippy passes on some tips for probably the most exciting way of catching bass of all - targeting them on surface poppers. Dean moves on from the beautiful carp of the Canaries and targets freshwater bass and huge, cruising saltwater rays. Our team’s head out to White Island, an active volcano in the Bay of Plenty, in search of big fish... and they find them in the warm underwater currents. 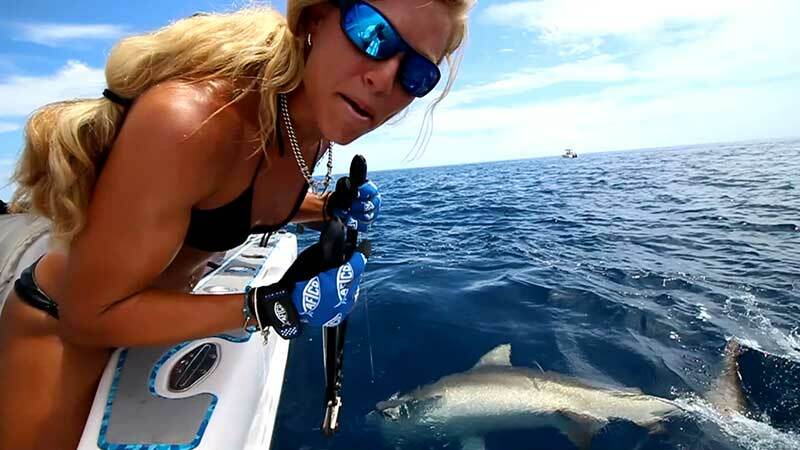 A no holds barred, adventurous escapade that see's the women's team headed by Mandy Kupenga up against the men, all trying to catch as many species as possible. The remote island of Bazaruto off Mozambique provides the latest destination for Mark De La Hey. He's fishing for the giant Black Marlin which can be found here. Chilly and Julian Shambrook fish Somerset beach for rays and smoothound. Julian Chidgey goes light lure fishing for pike whilst Mark Pitcher’s talks 'top tips' for locating carp on day ticket waters. Adam Penning’s features in our 'Did You Know?' piece and we go salmon fishing on the Dee. 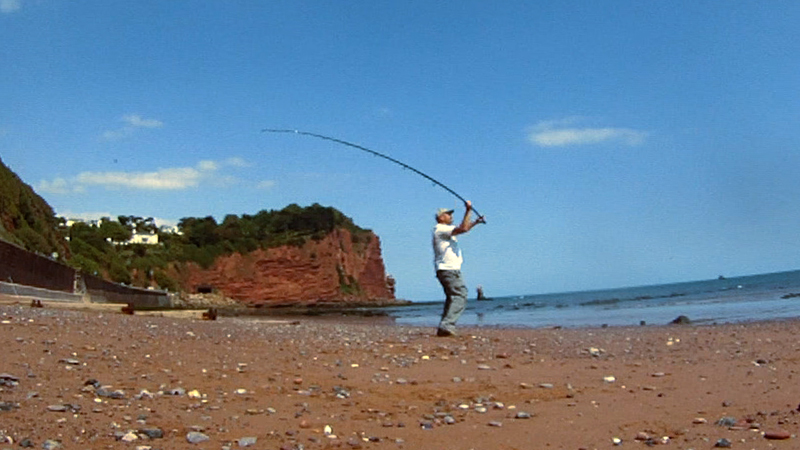 Julian Shambrook and Dave Chidzoy discuss how a bit of homework can transform your beach catches. In this episode we join Capt. Jason Long and his crew on Best Bet to do some permit fishing with live crabs on light tackle. 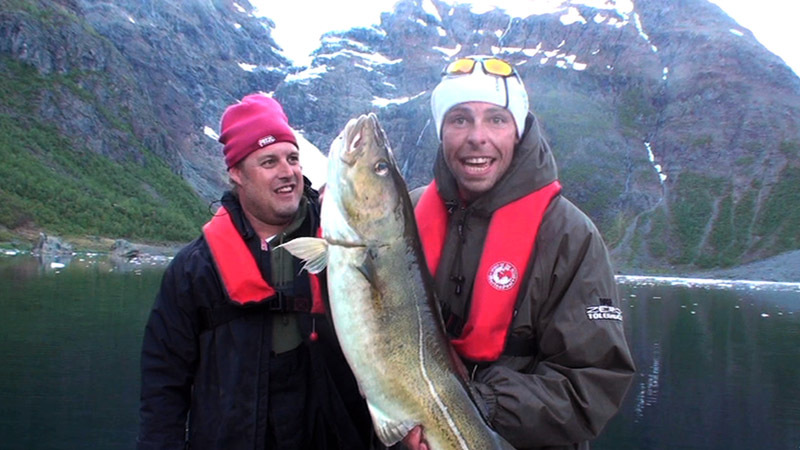 The first instalment of a truly epic Norwegian fishing adventure with Dean Macey. 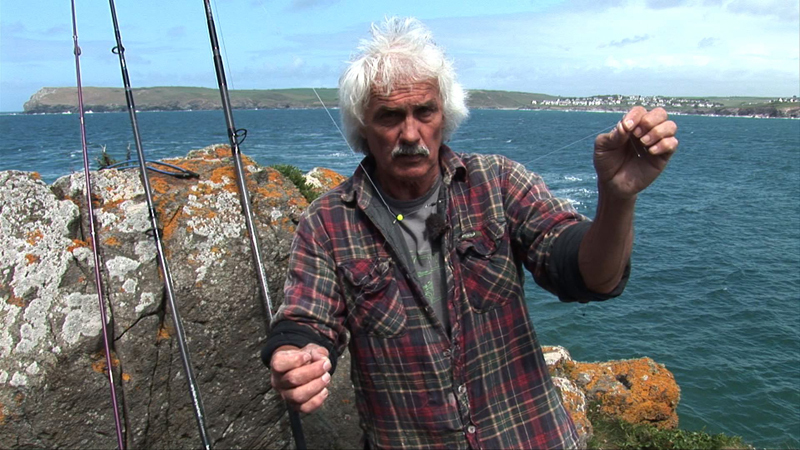 Nick Panther talks about the Devon mark that's noted for bass, plaice and small eyed rays. 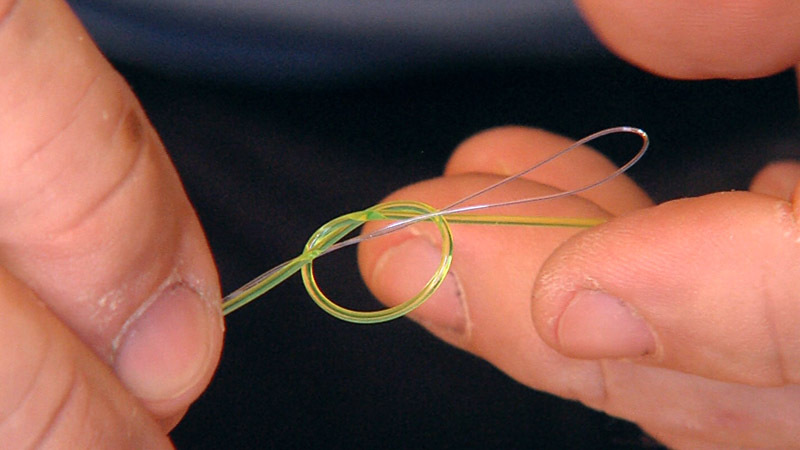 Nick Panther on how to use the super strong Bimini Twist knot for leader to mainline connection. 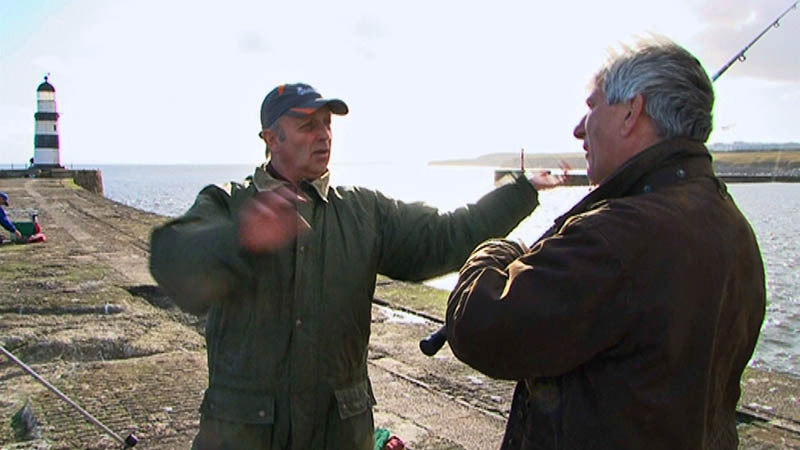 Useful tips on reading bites when fishing from the shore, with Barney Wright and Mike Thrussell. 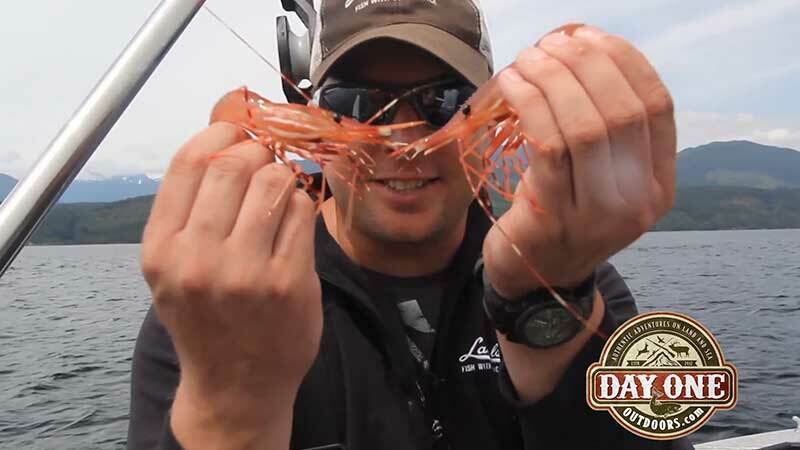 Dave Barham's trick for ensuring your catch stays tasty and fresh. 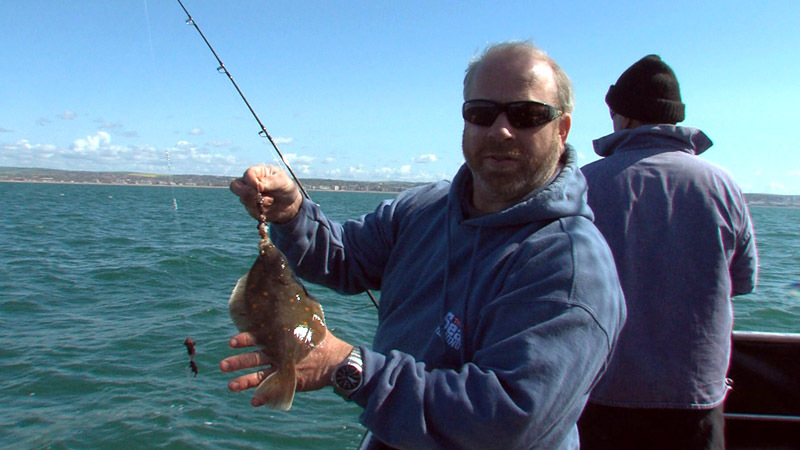 Total Sea Fishing’s Barney Wright explains how tease flatfish like plaice into taking your bait. Dave Barham takes time out from some excellent tope fishing to show how to correctly and securely attach a mono leader to a braid mainline. 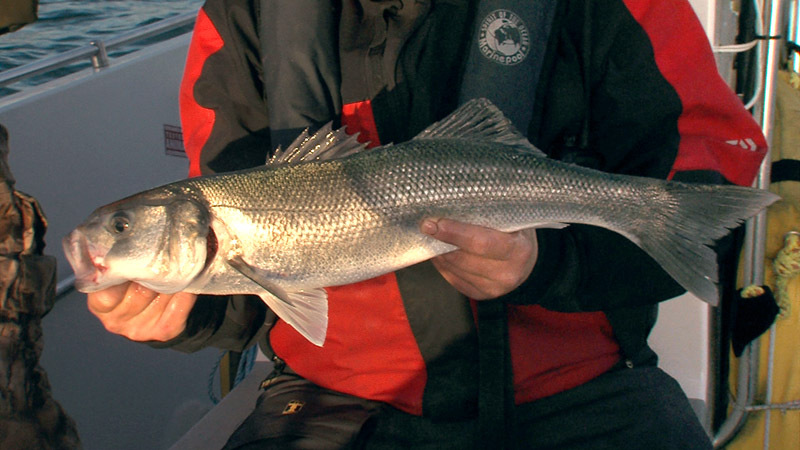 Dave Barham joins a charter trip out of Lymington heading to Christchurch Ledge in search of specimen Sea Bream and Bass on light tackle. 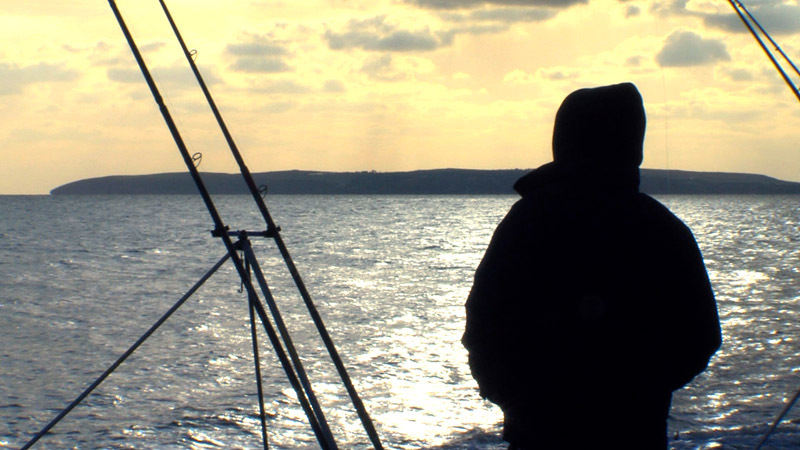 Departing from Bream Bay, our teams head out for a challenge with a fishy twist. Again, the team that catches most species wins, but catch a snapper and you lose a point. 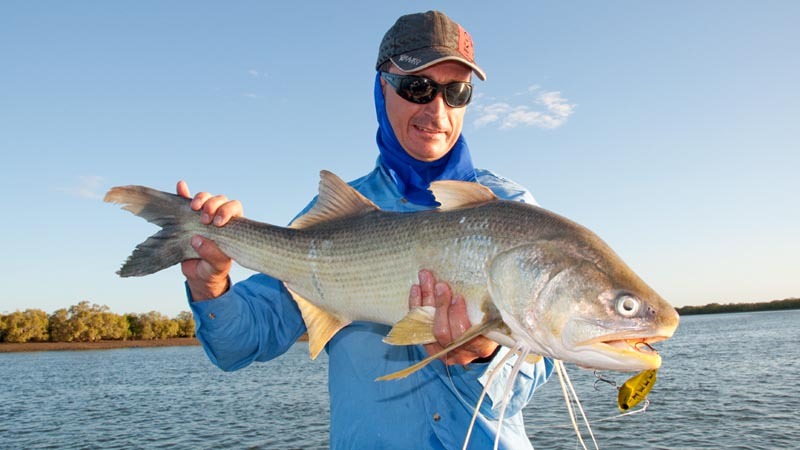 Mark and his team head up to Canda Island in Mozambique, which offers a fantastic variety of fishing. 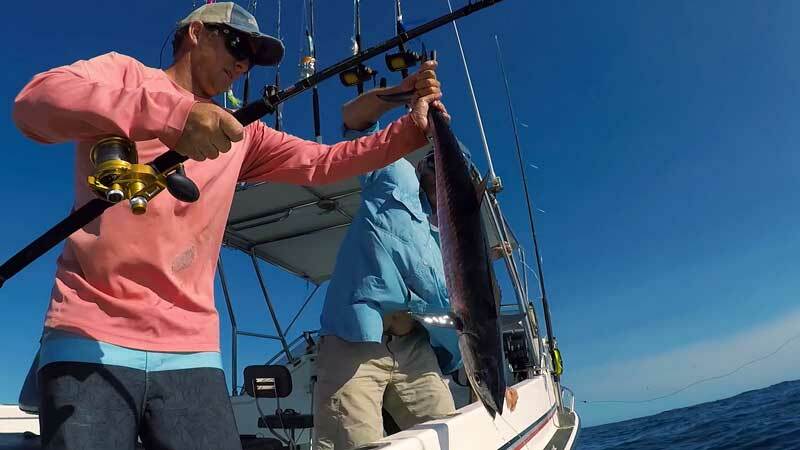 Here they are targeting King Mackerel, but don't mind when the odd Kingfish or Tuna shows up. In this episode Capt. Kelsey Jo takes us fishing amongst the mangroves for the tasty mangrove snapper that live there. Captain Bill Knowles, who has been running charters since 1959, and he’s been passing on that fishing knowledge on to Captain Randy Towe – between then they’ve got 80 years experience. 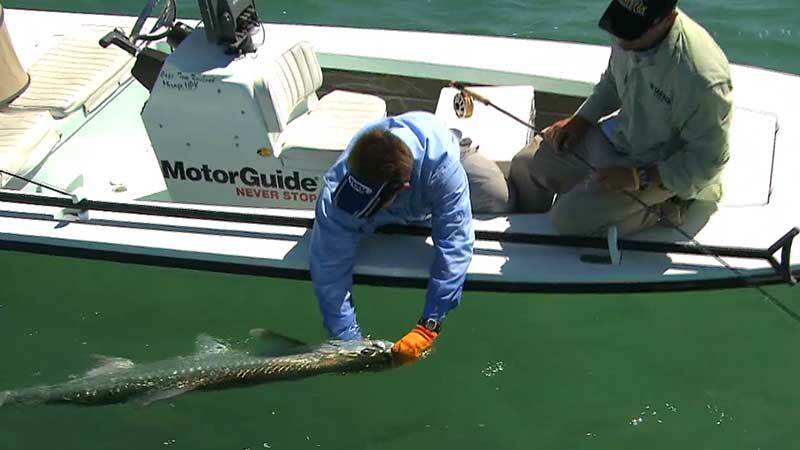 Join them for some Everglades tarpon action. 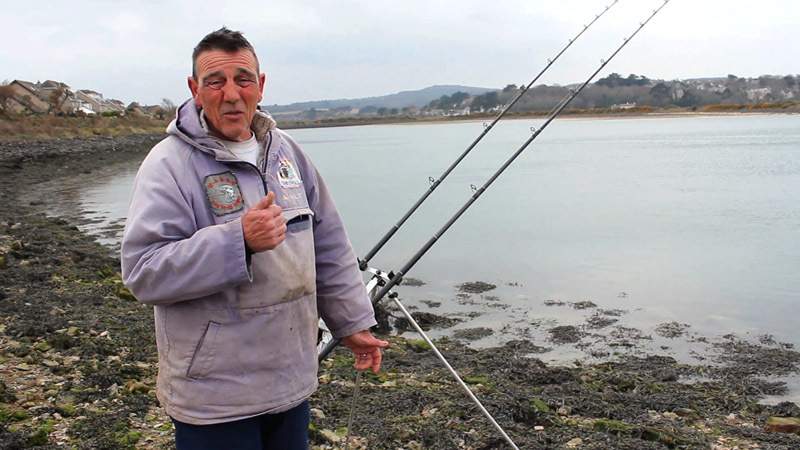 Steve Harrison presents a guide to how to fish Carnsew Bay, a noted area among sea anglers in the Hayle Harbour area of Cornwall in England. 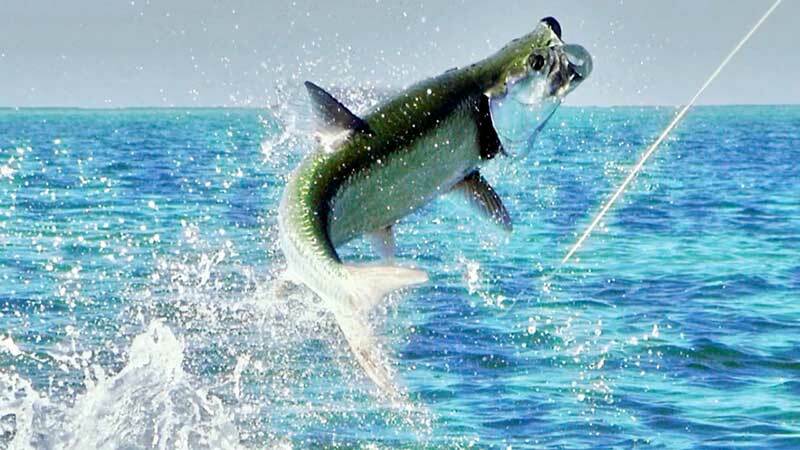 Tarpon – the ultimate sport fish: fast, powerful, acrobatic, big. 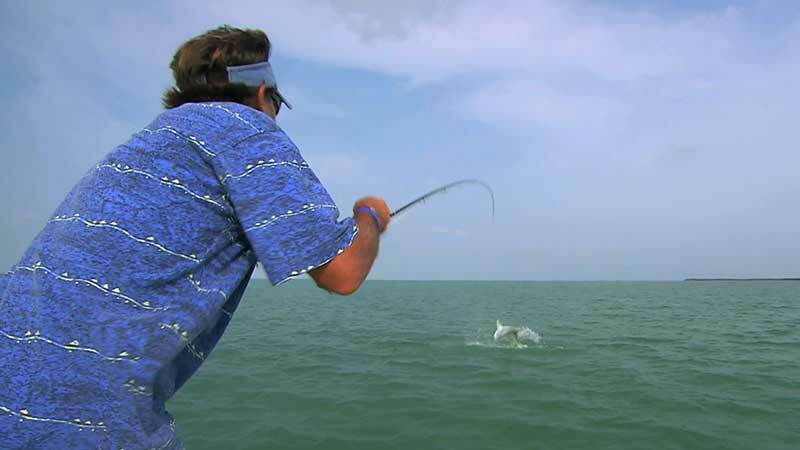 Chasing Silver takes a look at the day in the life of two obsessive anglers with a competitive nature – a former championship skier and a champion fisherman – and the techniques and tricks that they use to land the biggest tarpon they can. 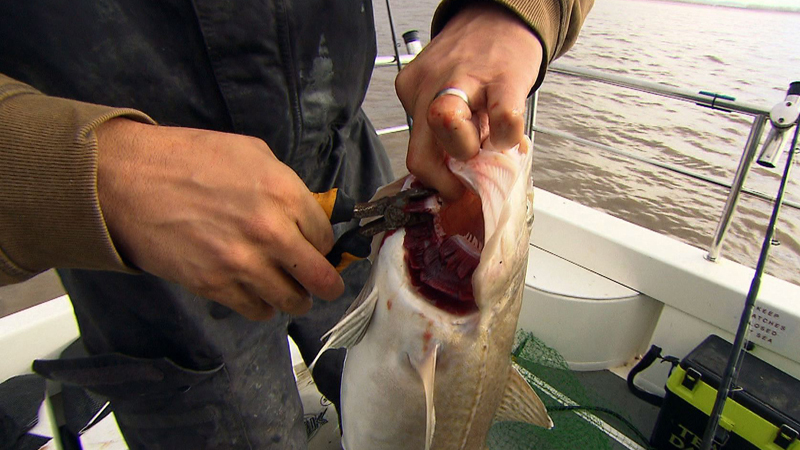 Even these pros get taught a lesson or two by these hard fighting fish. 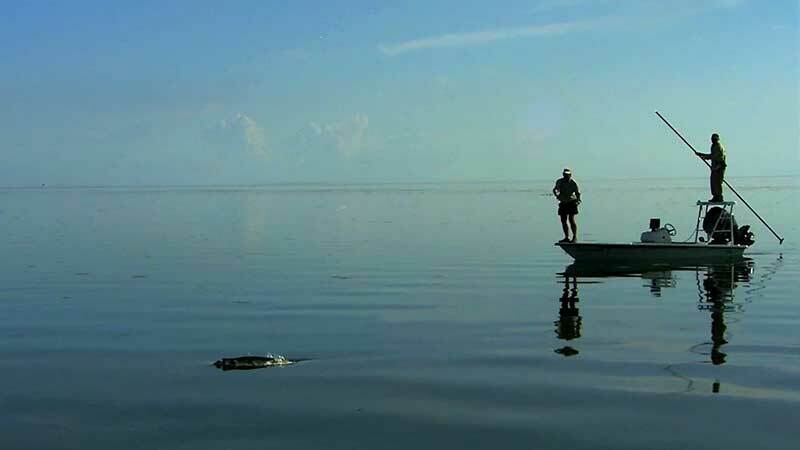 Episode two follows Fitz Coker and Tom Rowland, two tarpon-addicts who moved to Florida just to target this mesmerising species. 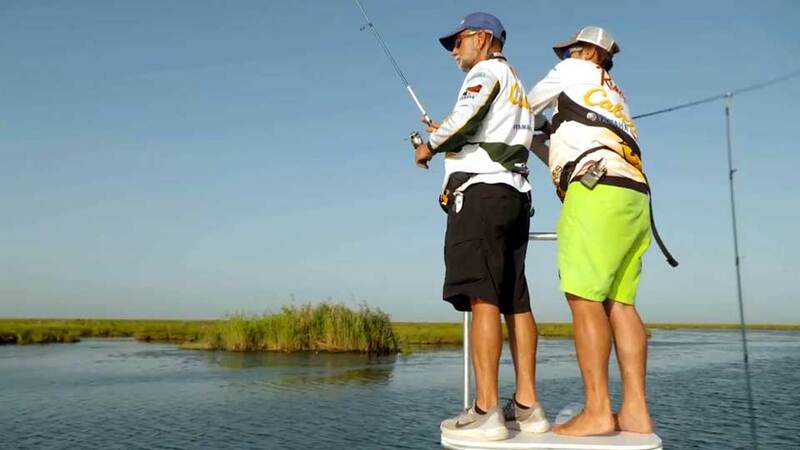 On mirror-calm Key West waters Fitz and Tom stalk the flats, hoping to tempt a big bar of silver to take the fly. 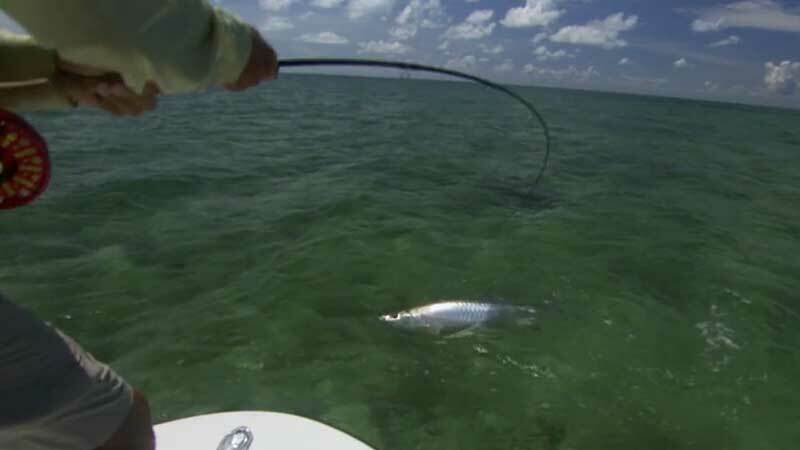 Tarpon fishing on the fly requires stealth, precision, skill, and a lot of luck. 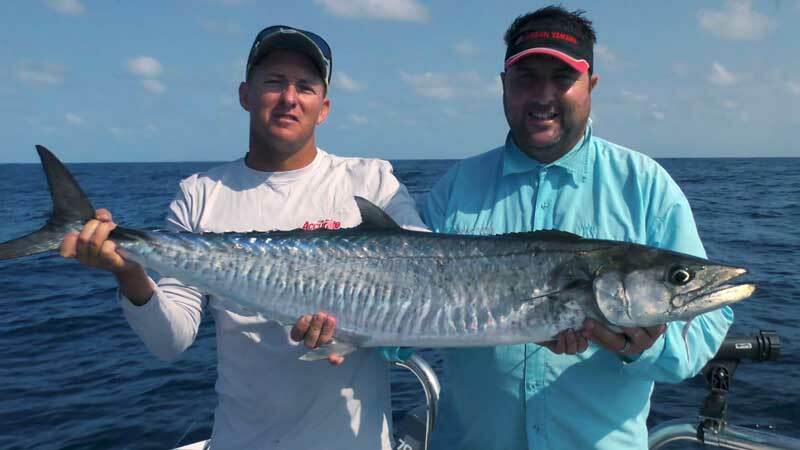 Andy Mill and Tim Hoover are champion tarpon anglers but that doesn’t mean that they don’t lose the odd fish. Andy, a former Olympic ski-er explains why tarpon fishing has replaced competitive skiing in his life, and how sometimes accidents result in new techniques.These guys are always looking for the edge that makes catching one of these spooky fish more likely, but the fish win more often than not. 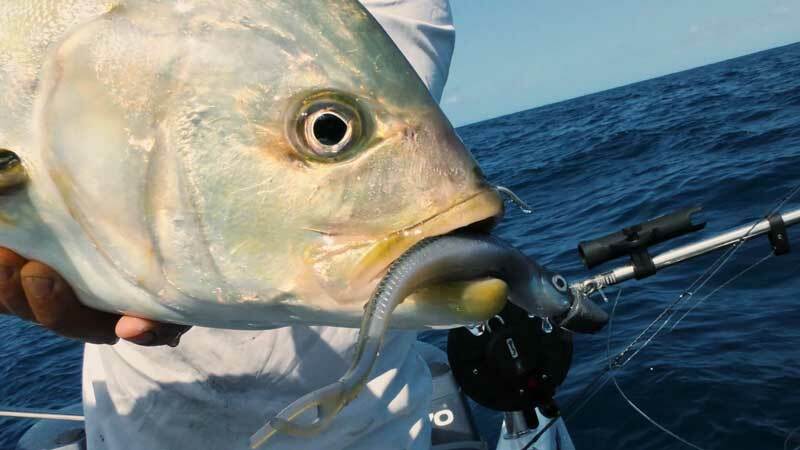 No matter how experienced the angler, tarpon present a challenge offered by few other species. In this episode Tom Rowland, who usually guides for other clients, is at the other end of the boat, casting the fly, with his old friend Rich Tudor on poling and spotting duties. 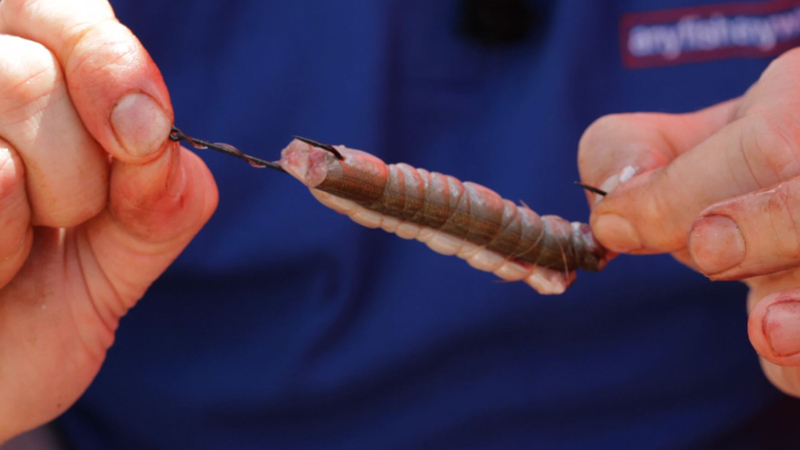 We learn about the worm hatch that sends the tarpon crazy, and hear from a number of veteran Keys tarpon anglers. 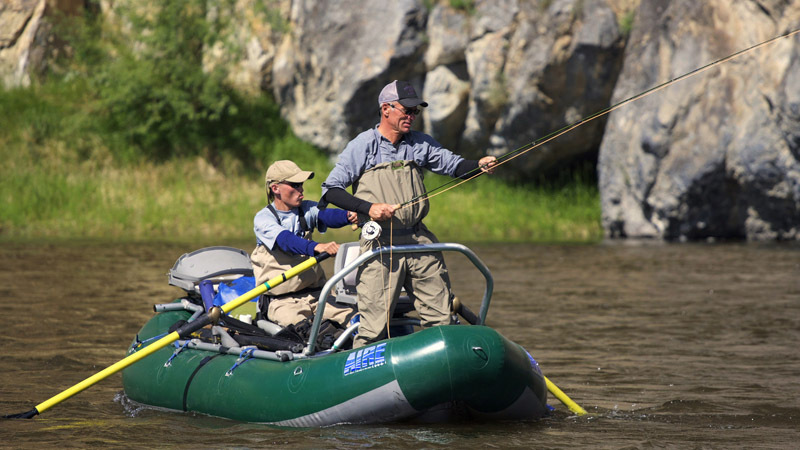 The tarpon might have thought they had seen the last of Andy Mill – they heard that he’d left the water – retired and returned to the mountains. They were wrong. 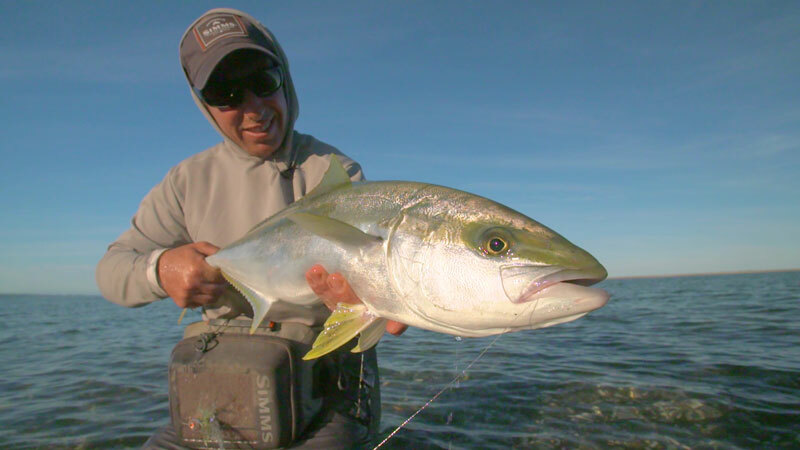 The former Olympic skier couldn’t resist the chance to chase some silvery tarpon late in the season. He’s joined by John O’Hearn, an established flats pro. Last time, the fates weren’t on Andy’s side… perhaps this time will be different. Champion tarpon fly fisherman Andy Mill’s teamed up with John O’Hearn and they’re on a mission to hook up to tarpon in the Florida Keys. We learn how John came to fall in love with the flats, and pick up some tips on things like how to set the hook when one of these monsters takes the fly. Whether it’s the fat cigars, the fly selection or the team’s skill that brings the joy is hard to say, but these guys catch some big tarpon. 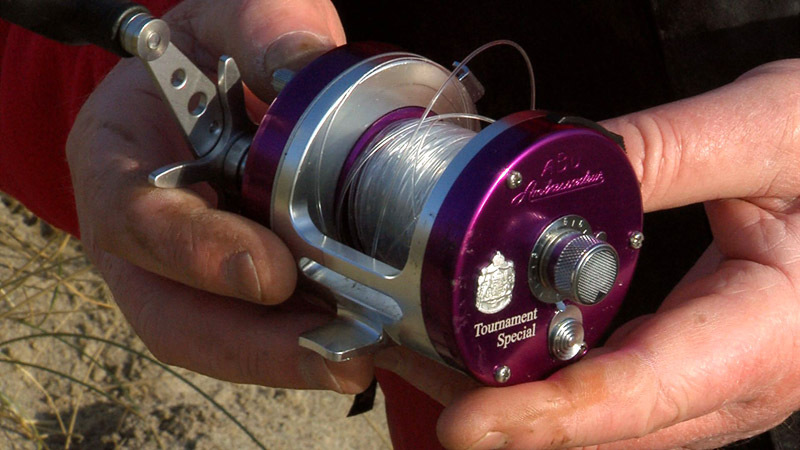 If you like the sound of screaming reels, you’ll love this episode. 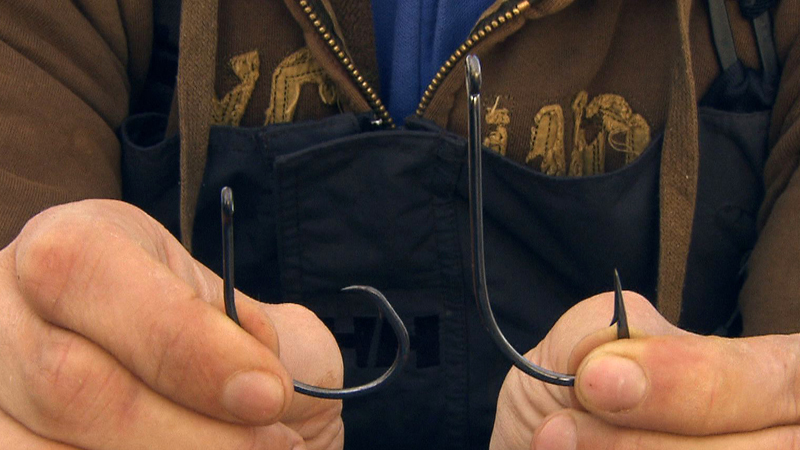 Dave Barham talks about why he's a convert to circle hooks for tope fishing. 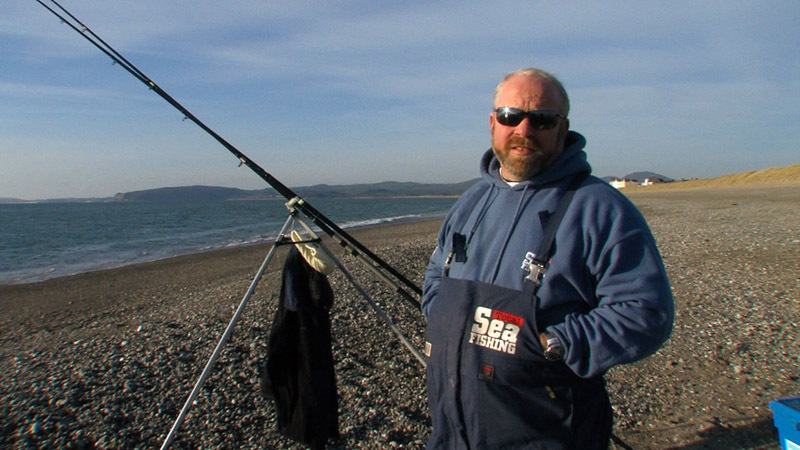 Cody's on the saltwater (and sand flats) of Neah Bay to try his hand at raking clams, catching spotted shimps, and bottom fishing for the much-prized halibut. 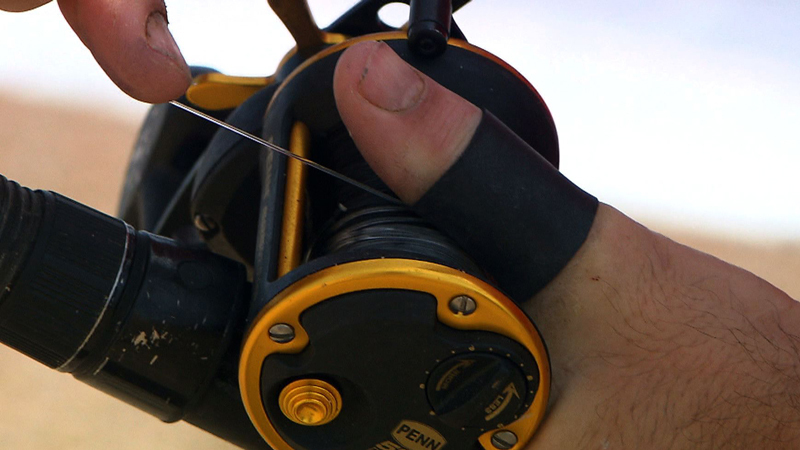 Nick Panther with a how-to guide for tying up a single hook, long range clipped down pulley rig using a lead with a built in bait clip for shore fishing. 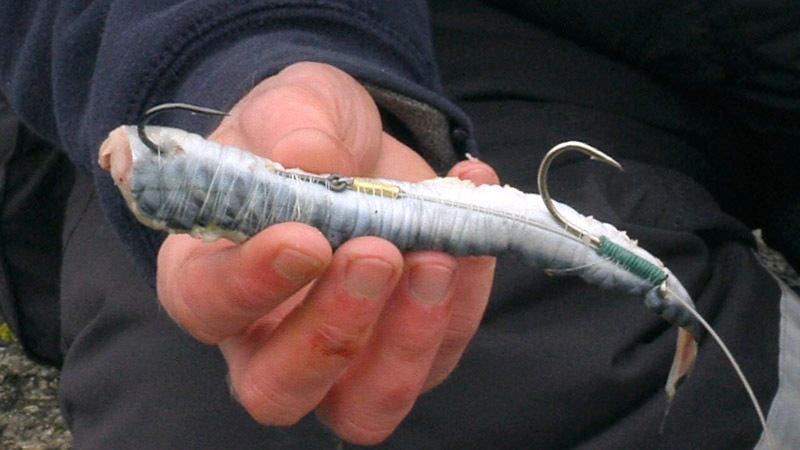 Jansen Teakle shows us a very sturdy 2 hook rig ideal when fishing for big conger and tope. 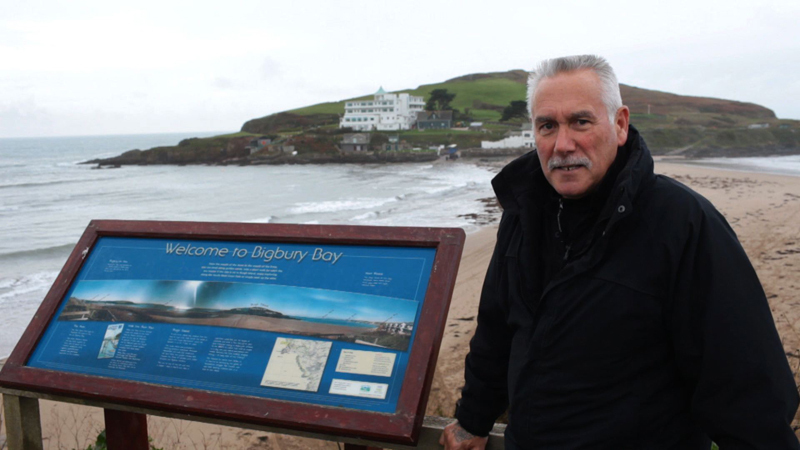 The 24-7 club of Plymouth visits one of the most profilic shore bass marks in Cornwall. We head out from Whitianga for the epic grand finale. 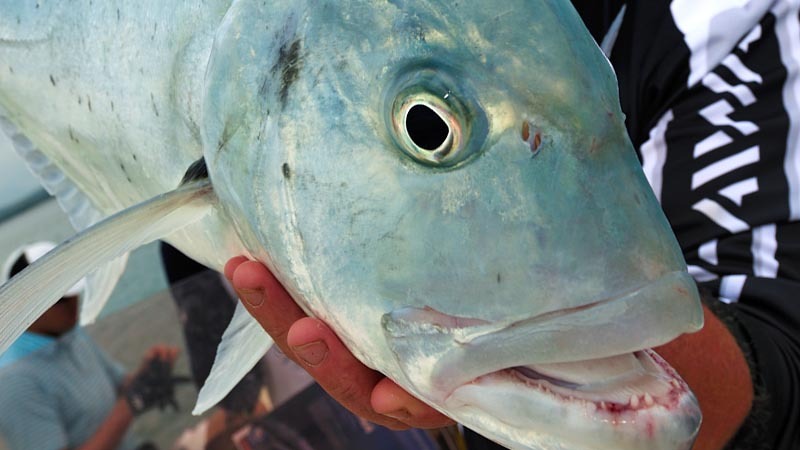 See if our teams can handle the pain and joy that big Kingfish and Snapper can bring. There's plenty of monsters to be caught or lost. Skipper Hayden will judge "Fish of the day" and the losers will have to cook a scrumptious fishy supper. Dave Barham shows how he sets up a livebait set-up incorporating a running ledger and a pair of Sakuma Manta Extra hooks. 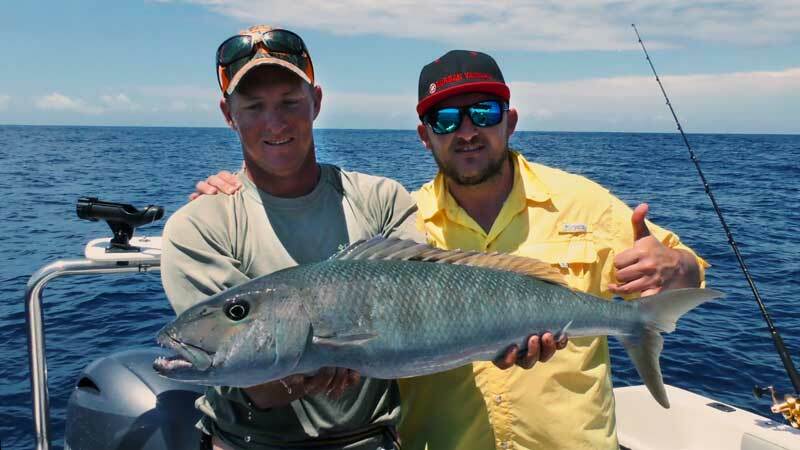 Mark De La Hey enjoys the offshore game fishing on offer at Tinley Beach SA. Plenty of Yellowfin Tuna to be found. 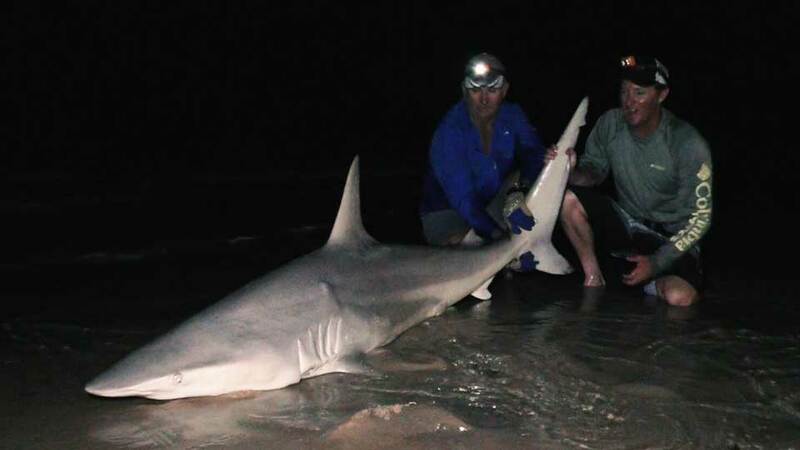 Then a spot of nighttime beach fishing in Mozambique, where a huge Blacktip Shark provides Mark with a battling test of endurance. 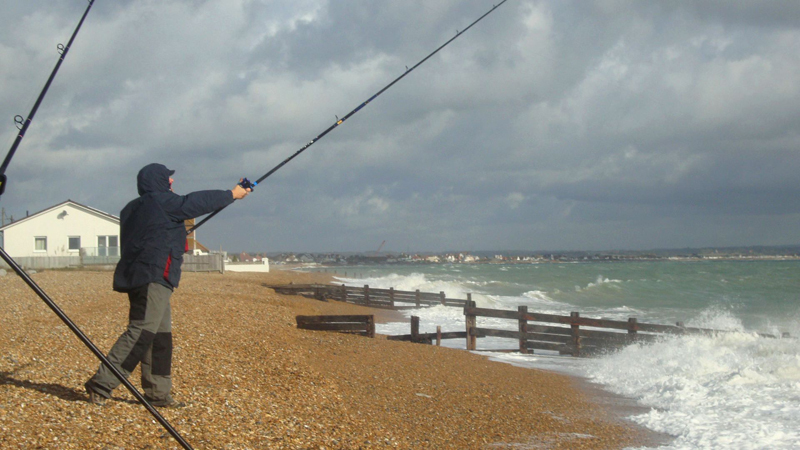 Jim Whippy highlights the sea angling potential around his home port of Eastbourne. 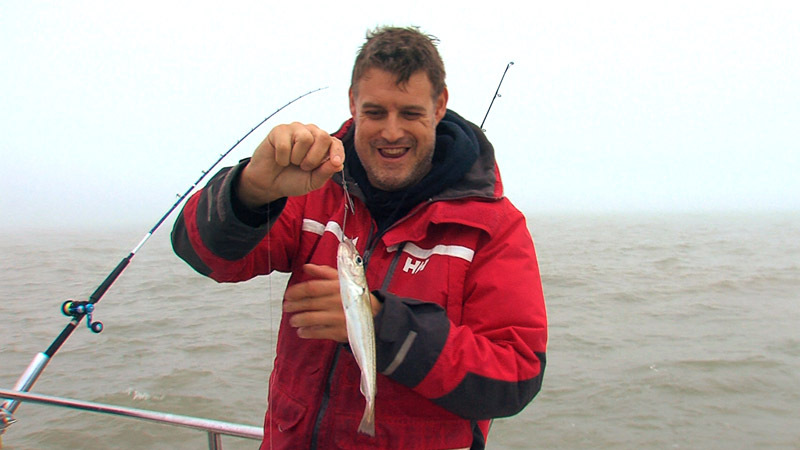 In this episode our host Captain Rob Harris is joined by some friends and Captain Sam Shaw for a day of mixed bluewater fishing. 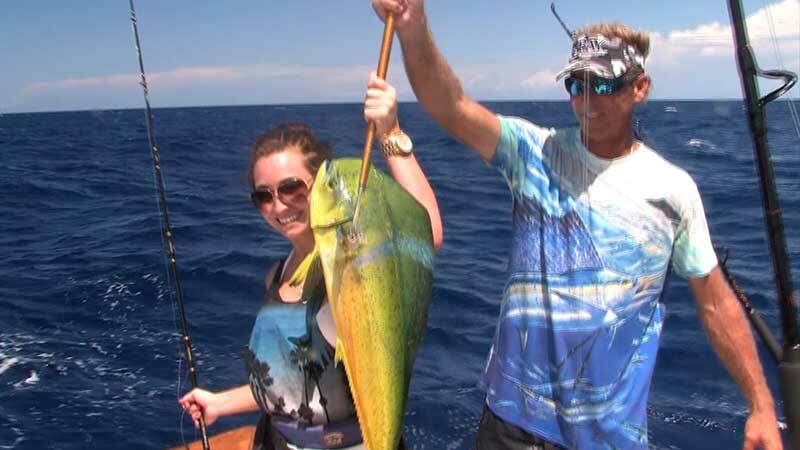 After hitting a school of mahi-mahi / dolphinfish they keep looking to see if they can't hook up to some tuna or a sailfish. 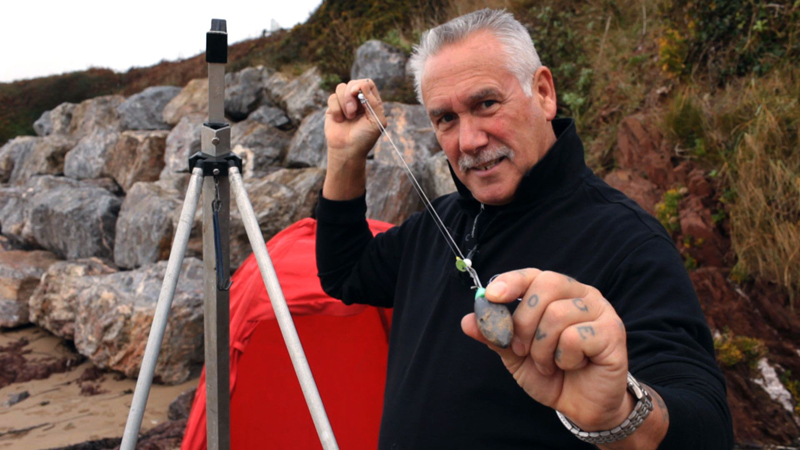 Cornish sea angling guide Ed Schliffke reveals his three favourite shore rigs, and how to tie them. 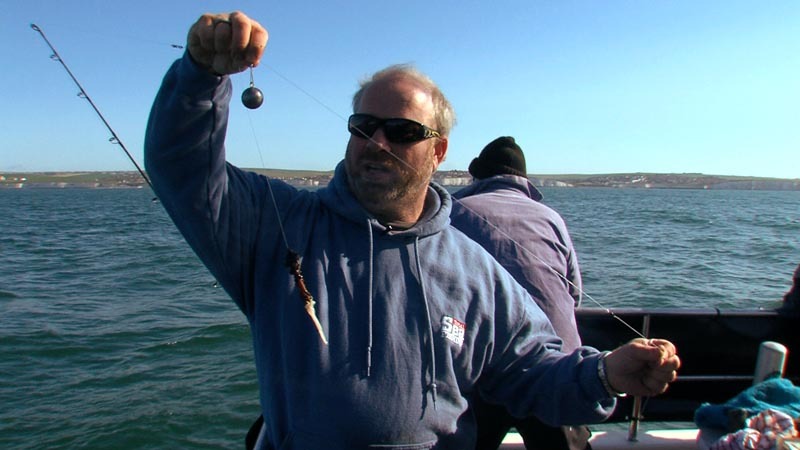 Cornish sea angling guide Ed Schliffke with advice on the 'hardware' he chooses for different shore angling challenges. 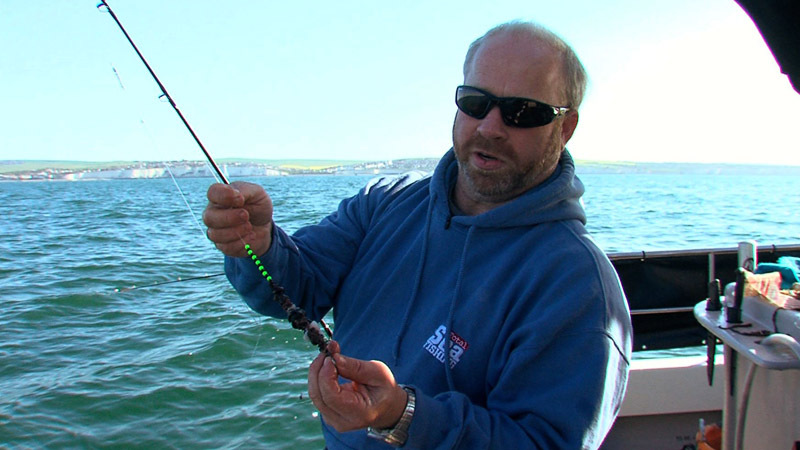 Cornish sea angling guide Ed Schliffke explains how to rig up a sandeel for effective spinning from the shore. 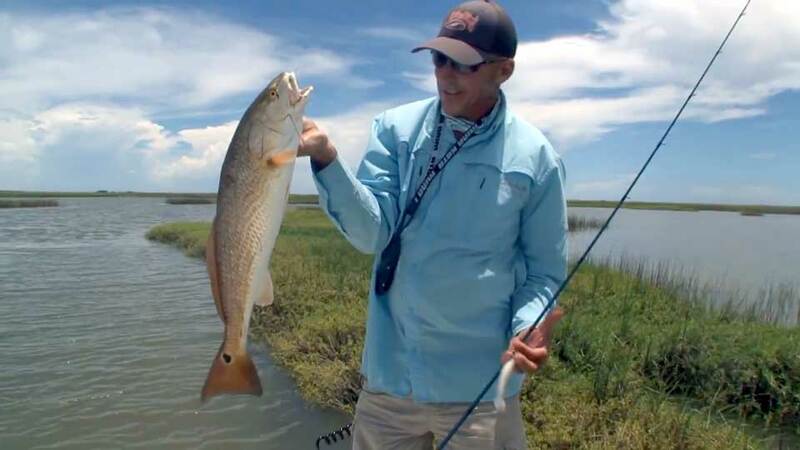 Discovering new waters to fish is among the pinnacles of the fly fishing experience, and this saltwater flats fishery, Golden Bay, is just such a gem. 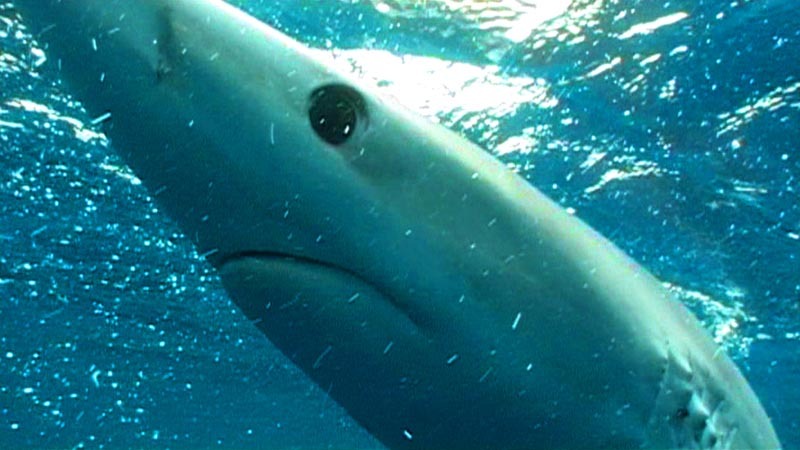 Kingfish have a unique relationship with short-tailed stingrays, which they use as mobile cover, allowing them to ambush unsuspecting bait fish, earning them the name 'Ray-riders.' 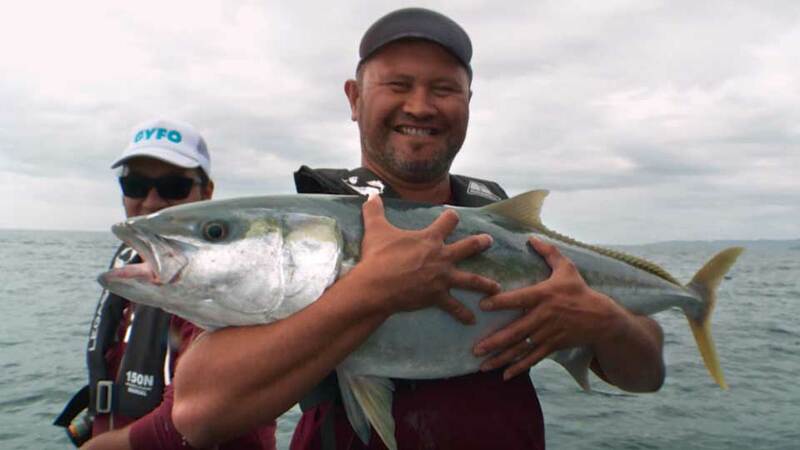 In this episode, local fishing guide Anton Donaldson is proud to share this amazing fishery, which he had a hand in discovering, with Fish and Game NZ representative, Julian Danby. 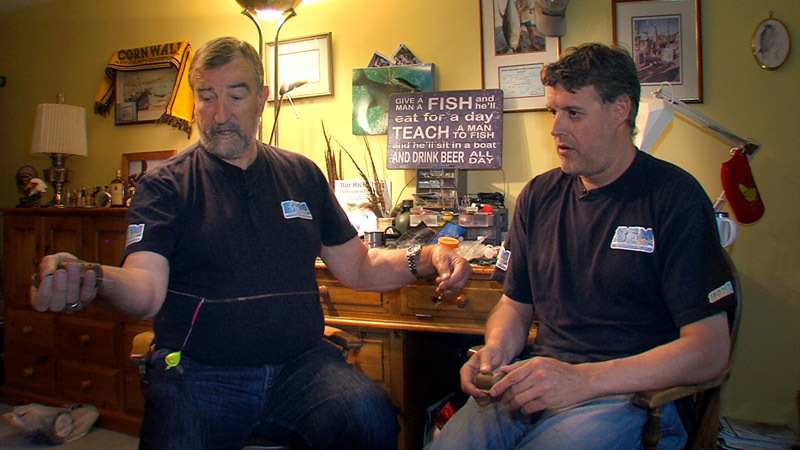 Barney Wright and Mike Thrussell pass on some shore angling tips on baits they would never be without. 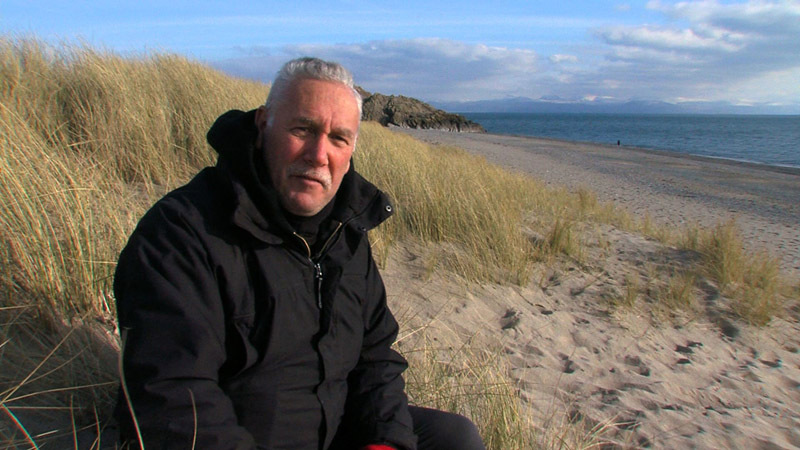 Andy Ford heads to the north east coast of England for one of the biggest matches of any kind in Europe. 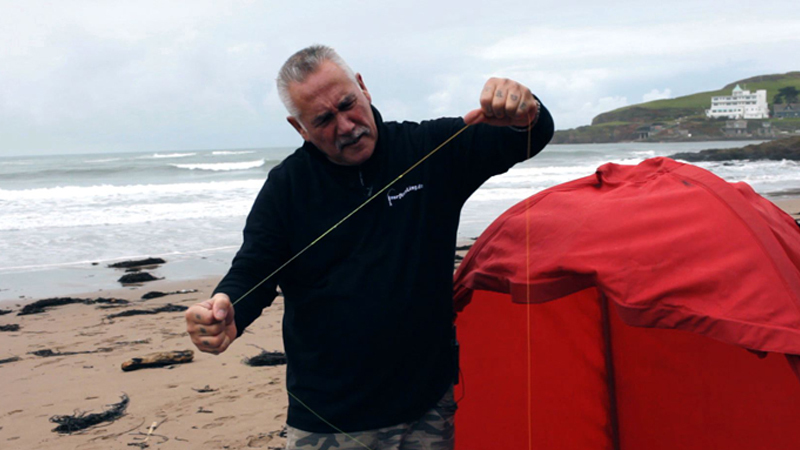 Barney Wright from Total Sea Fishing magazine reveals two canny tricks for ensuring that your rig holds fast on the bottom when fishing in fast tides or at range. 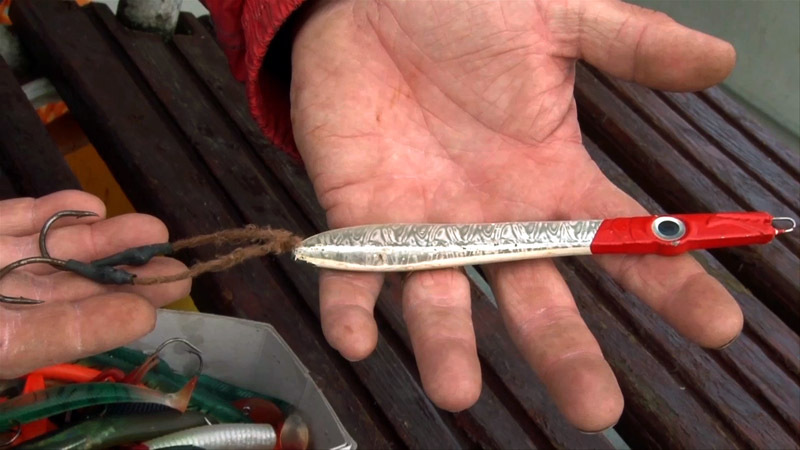 Casting ace Peter Thain runs through how to make the flat swing pendulum cast. 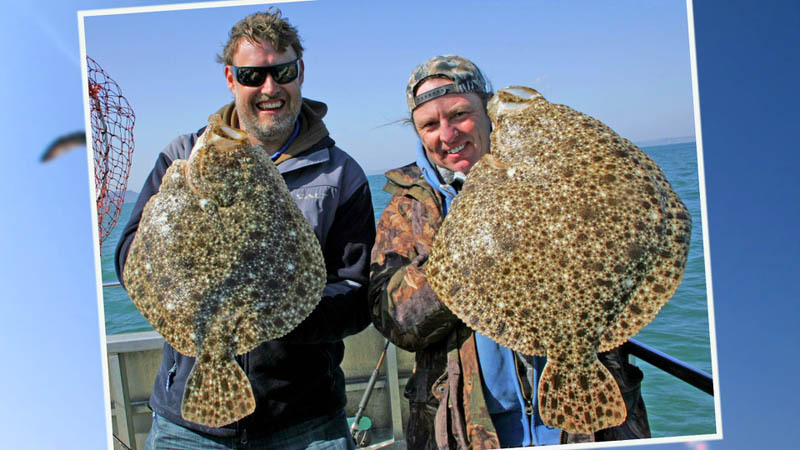 Barney Wright and Mike Thrussell pass on tips on how to identify a Flounder once you've caught one. Proof that you don't need to spend hours pre-preparing peeler crab before freezing it for future use. 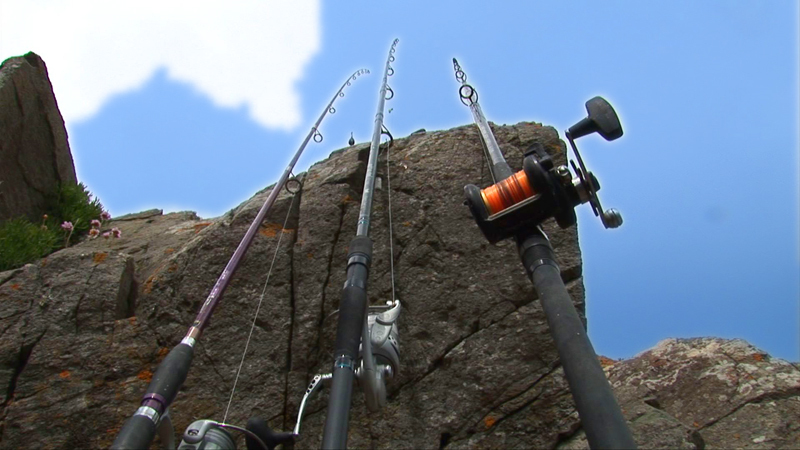 A quick tip on how to set up your tripod for a comfortable day's shorefishing. The beautiful island nation of New Caledonia lies just a few hours flying time east of the tropical Australian coastline. 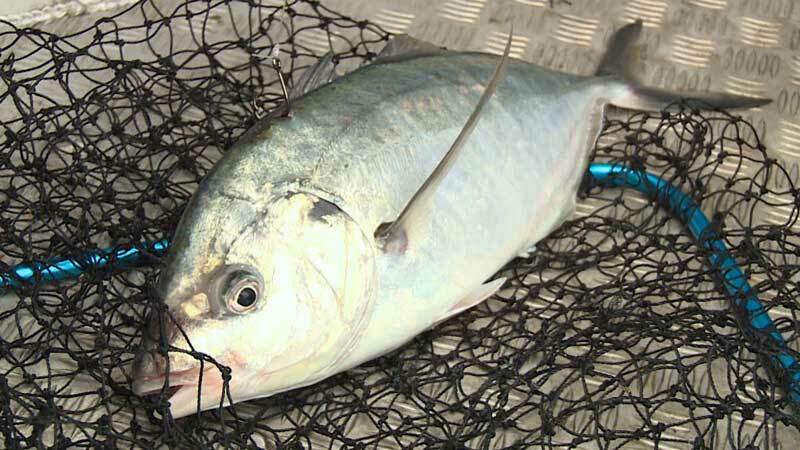 It offers mind-boggling sport fishing opportunities for those anglers addicted to pursuing giant trevally or GTs on poppers and other surface lures.But these fish are also available for the shore based angler, like on the rocky beaches of Western Australia. It is just a bit trickier to land them. 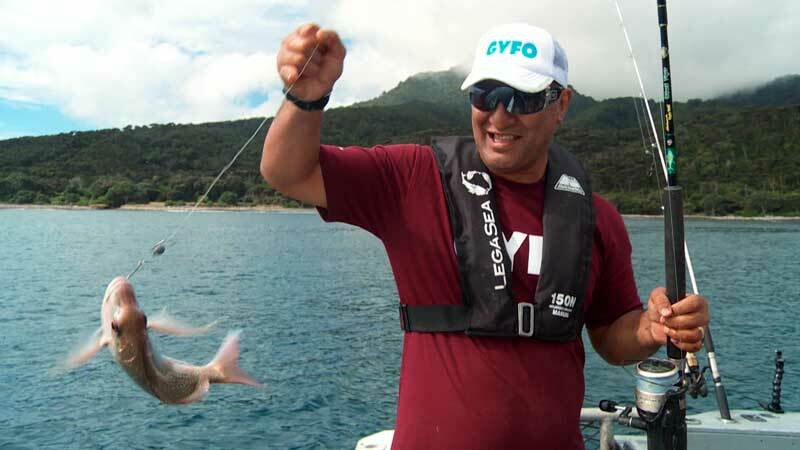 In this episode, the teams face an overnight challenge, fishing around Great Barrier Island. Glen 'Oz' Osborne, who was capped 29 times by the All Blacks, heads up the men's team and is keen to notch a victory. 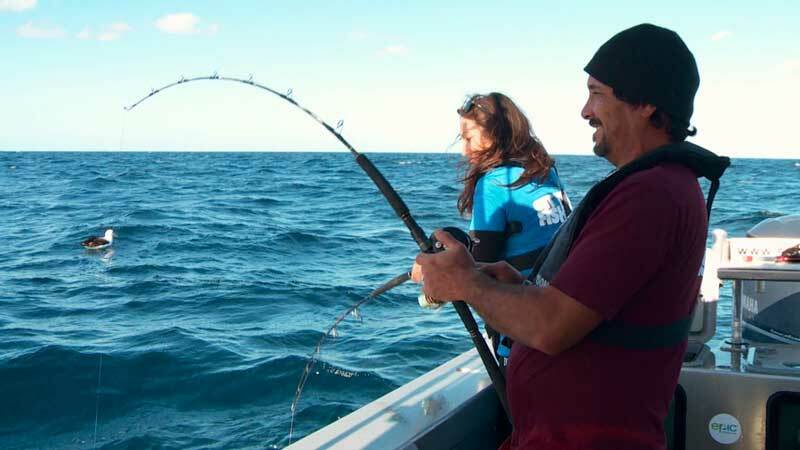 The challenge the teams face is to catch the total combined length of Snapper and Kingfish with the losers having to don aprons and prepare a fishy feast. 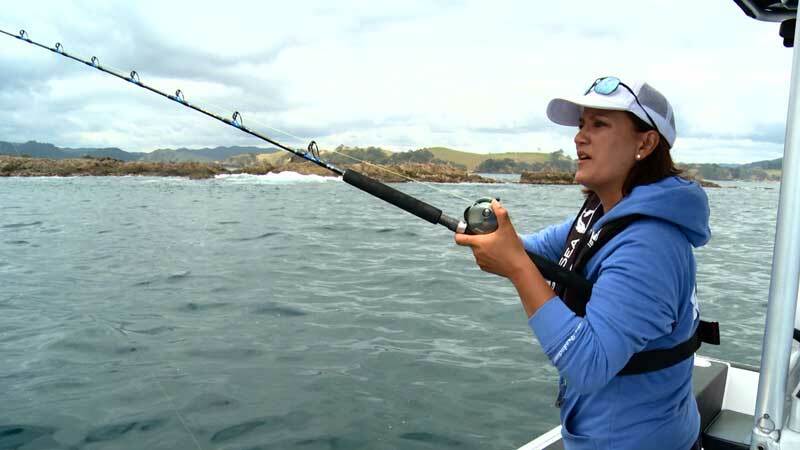 We're heading out to Hauraki Gulf where Mandy Kupenga leads a women's team against the men, in a full on Snapper shoot out. On this trip there's a twist.... they can only use lures. Good clean fun, longest Snapper of the day wins. 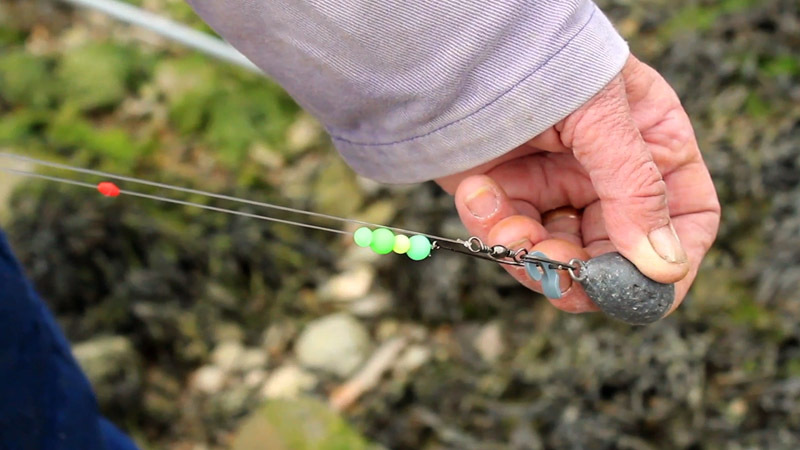 Dave Barham on the benefits of using grip leads for boat fishing and how to use them correctly. 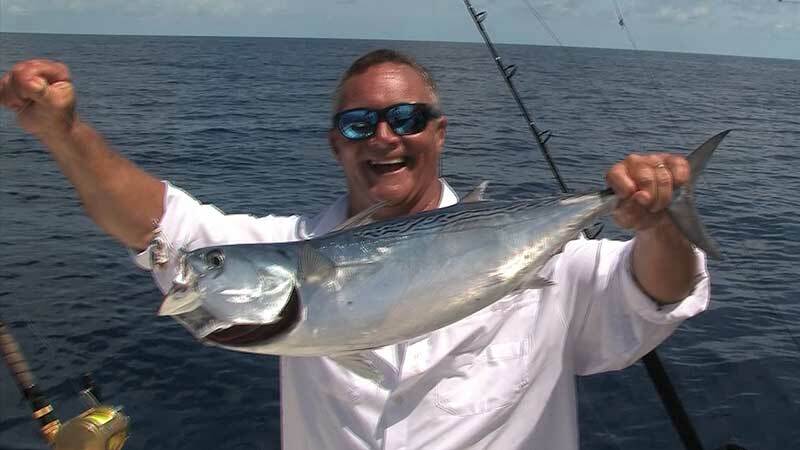 And now for something completely different – this episode of Reelin' In The Keys leaves the private charters behind and sees Capt. George meet up with The Party Boat, aka Gulfstream, as he joins a big group of anglers on the hunt for yellowtail snapper. 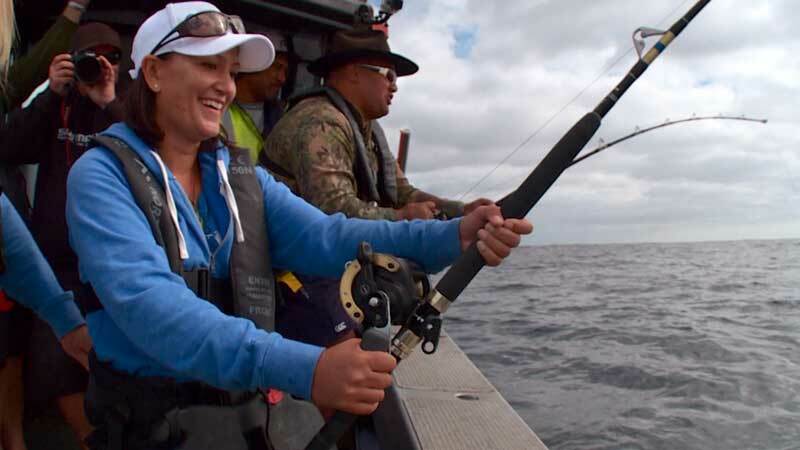 We head out to the Hauraki Gulf as Mandy pits her skills in a hammer down, no holds barred snapper contest against rugby league legend, Wairangi Koopu. 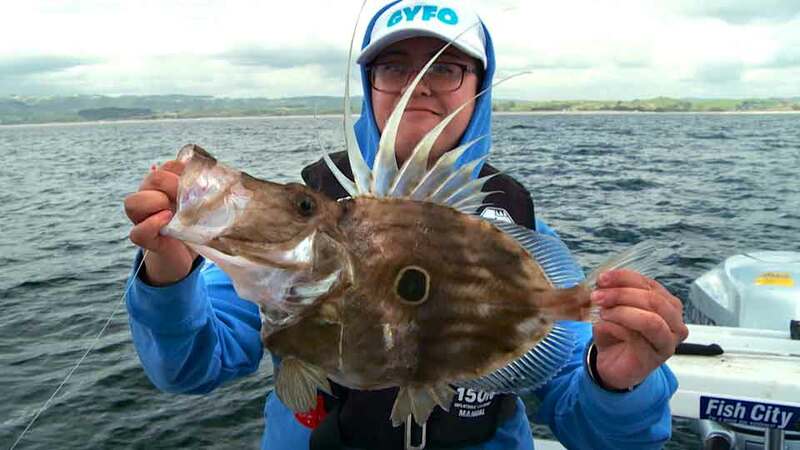 There's a twist, points are also awarded for other species, so look out for John Dory, Kingfish and Gurnard. 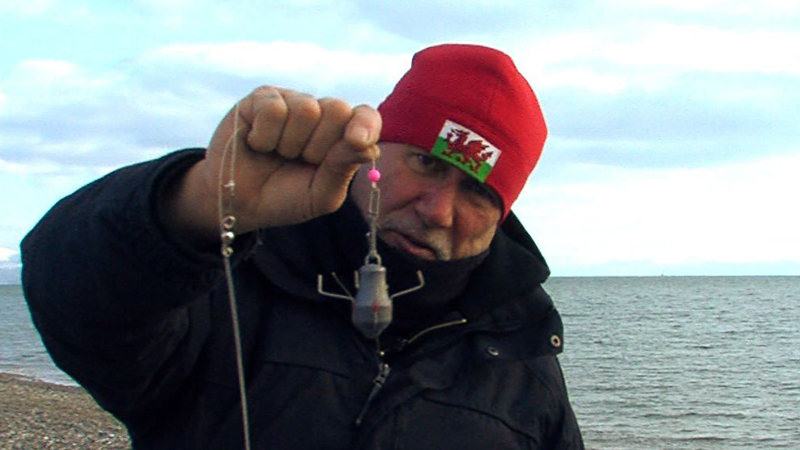 Peter Thain shows how to gain extra casting distance with the flat swing pendulum cast. 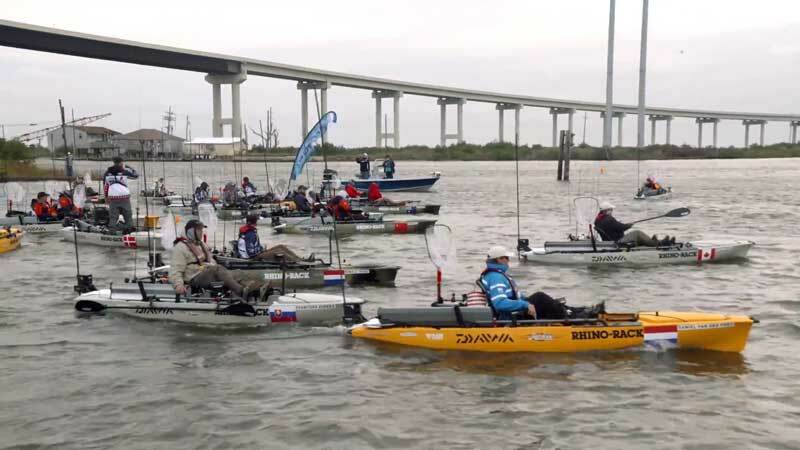 Huge excitement as 49 anglers from 18 countries around the globe gather for the greatest event in Kayak Fishing, the Hobie Fishing World Championships. This is the sixth time Hobie have organised this event and the location of Leeville near New Orleans is a mecca for kayakers. Over 3 days they will be targeting Redfish, Speckled Trout and Flounder in order to be crowned the Hobie World Champion. 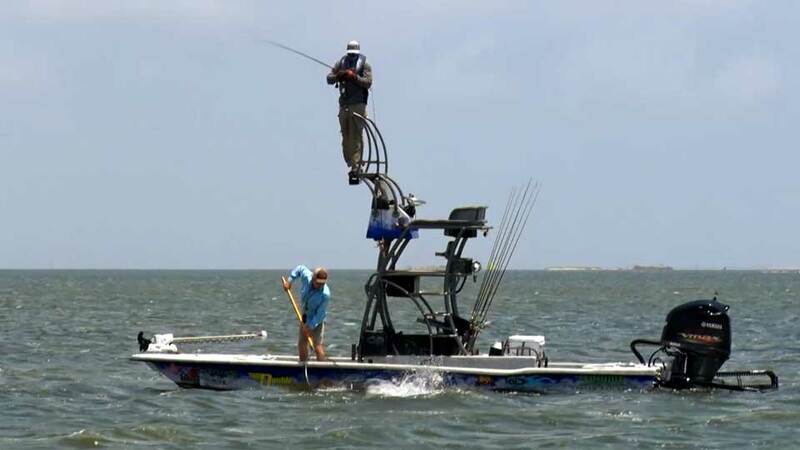 Conditions are very much against the anglers as 30mph winds blow through the Hobie Fishing Worlds 6 at Leeville, LA. 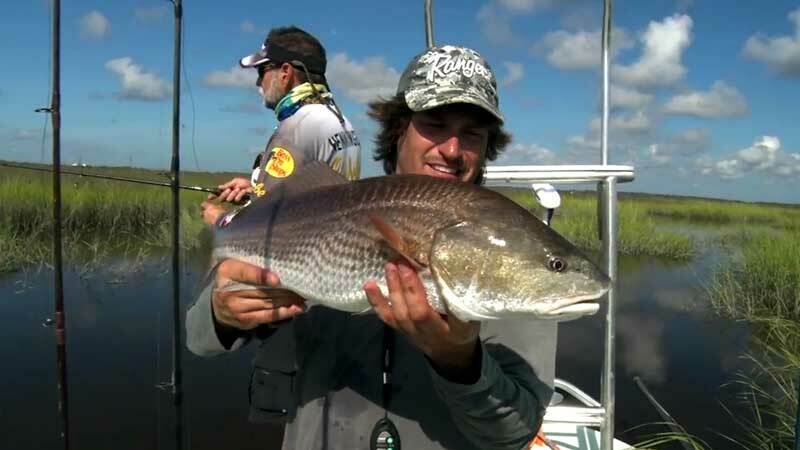 Despite this, some good sized Redfish are being caught. As we approach the third and final day the the wind drops but Steve Lessard from the USA is steadily climbing the leaderboard in his attempt to win back the title he won two years ago. 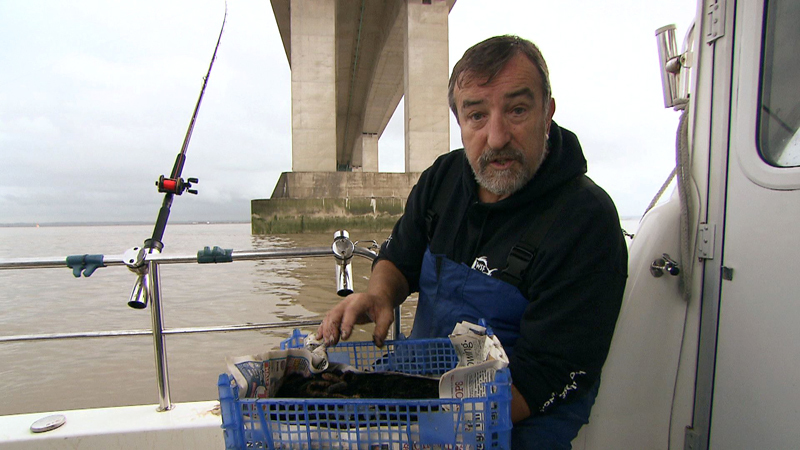 Dave Barham and charter skipper Terry Batt show how to prepare hermit crab, a deadly bait on its day for fish like smoothhound, tope and cod. 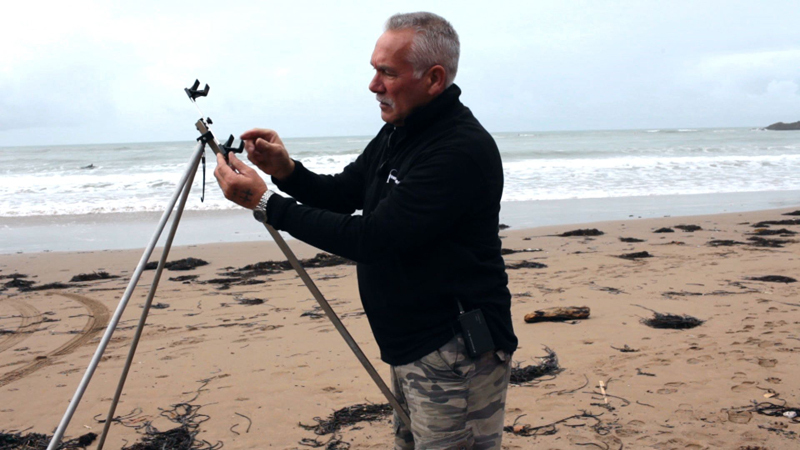 Nick Panther shows off a beach angling tripod that has stood the test of time. The end of season IFA Redfish Tour 2017 Championship takes place in Venice, LA - the Redfish Capital of the World! Over 100 pairs are chasing some big prize money. 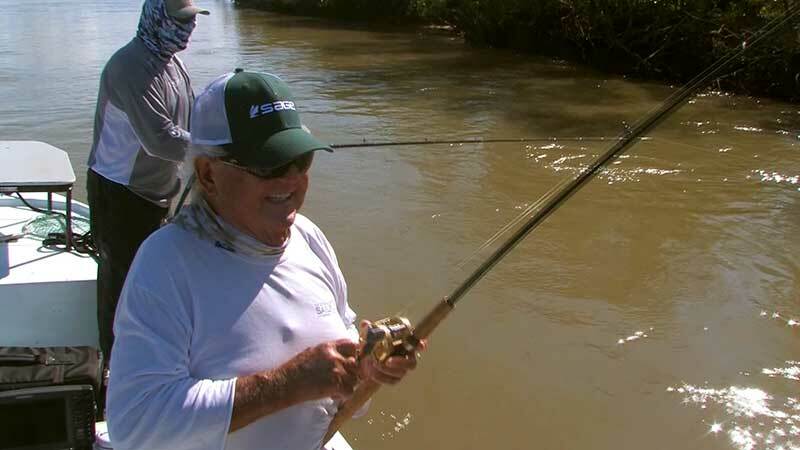 Watch the action and find out which anglers will be leading after day 1. The IFA Redfish Tour 2017 Championship in Venice, LA reaches an exciting climax with the title being decided by just half a pound. We also find out who are the Overall Team of the Year. 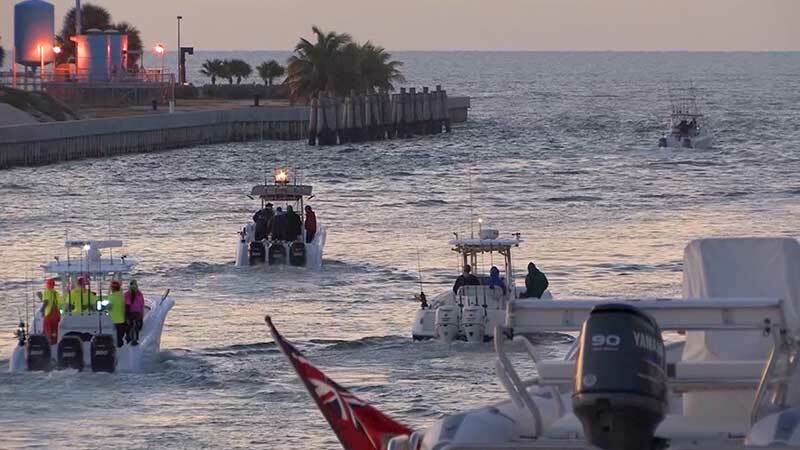 The 2018 IFA Redfish Tour is in Jacksonville, Florida and 85 teams are competing in this one day Florida East Division redfish event! But with a rising tide, the conditions prove tricky. 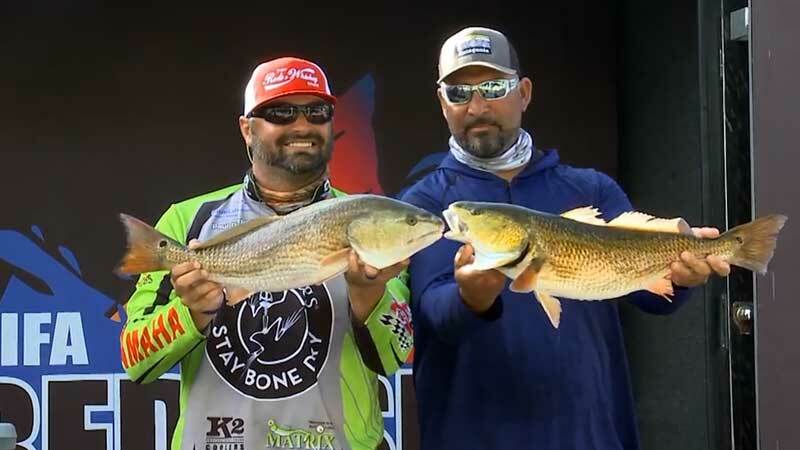 The 2018 IFA Redfish Tour visits Port Aransas, Texas for a divisional event. 50 teams are competing in a one day slot competition with their best two fish up to 28" counting. The strong winds will make conditions tricky. 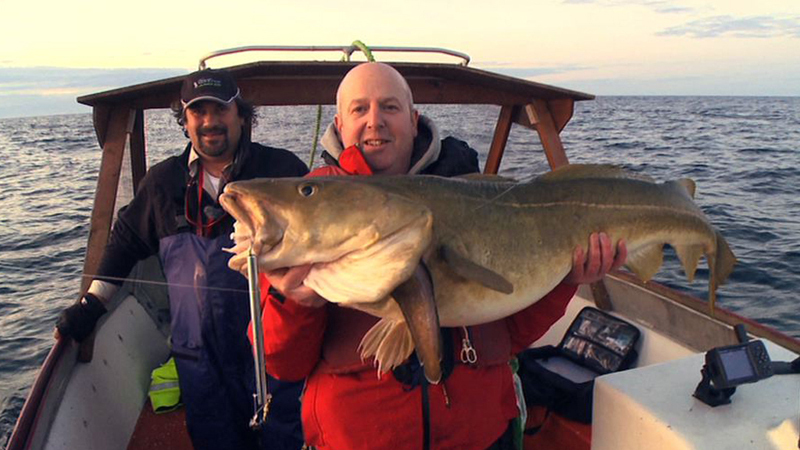 Dean Macey and friends head into deeper water on a boat that's recently seen cod to nearly 140lb! The River Monsters presenter continues his insight into the making of the series in this exclusive interview from Fishing TV’s Gareth Purnell, in this case talking about his pursuit of the magnificent, elusive, endangered taiman. First of a new series of exclusive interviews with the presenter of River Monsters in which Jeremy Wade talks to Fishing TV. 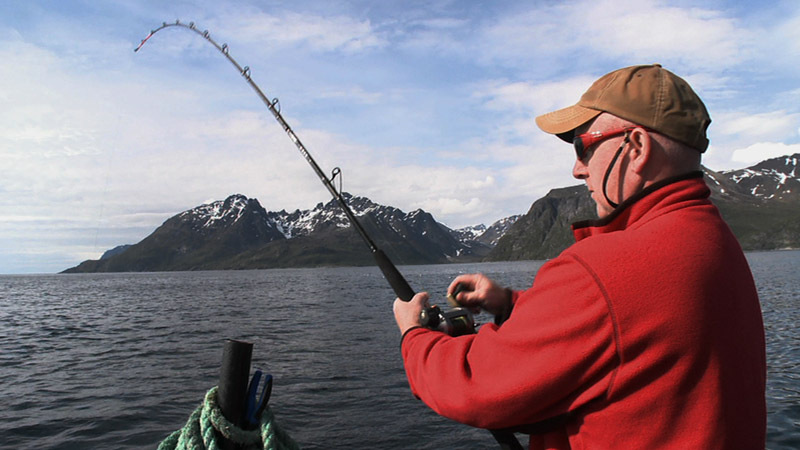 Dean Macey continues his north Norwegian fishing adventure, with giant halibut on his mind. The teams head out of Sandspit, and in this episode they are after Kahawai with the first team to catch 3 to be declared the winner. 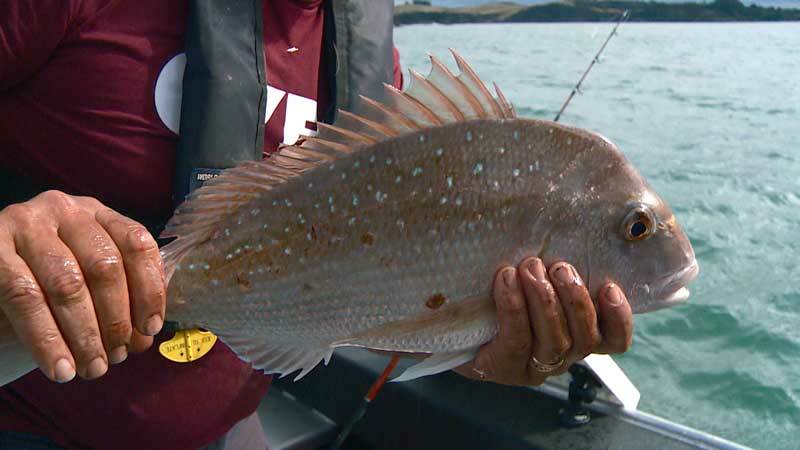 Widespread on the New Zealand coastline, Kahawai is the traditional Maori name for these fish which when translated means "brave" or "strong" (kaha) water (wai). 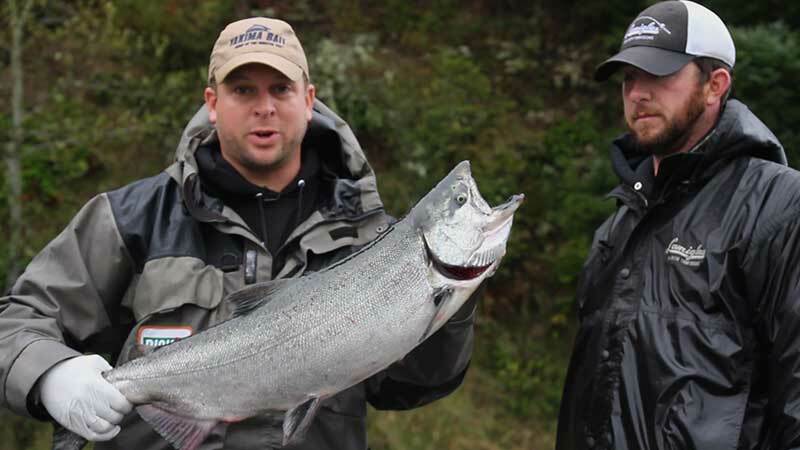 In Australia, they are known as Australian Salmon and are a fantastic sport fish and give a spectacular, aerial fight and it isn't long before the teams get into some action. The team’s have to contend with rough weather, giant swells and the ferocious currents of the Kaipara in this battle of the sexes. 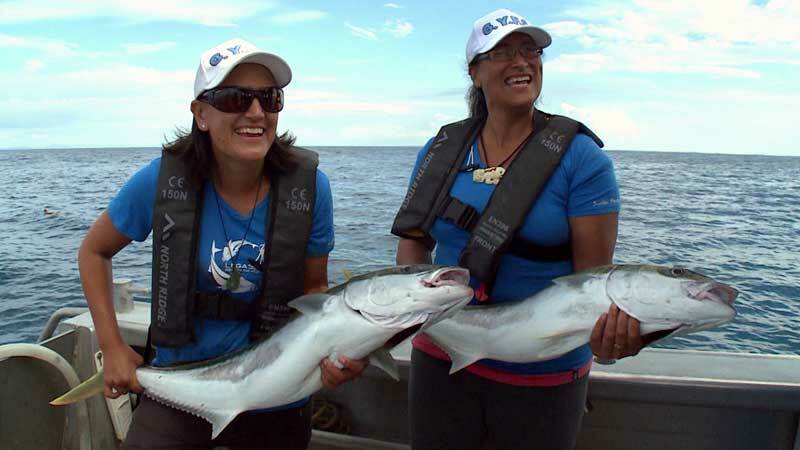 The 3 woman team headed by Mandy Kupenga take on the men in trying to catch the longest combined length of Snapper and Kahawai. Losers cook dinner. 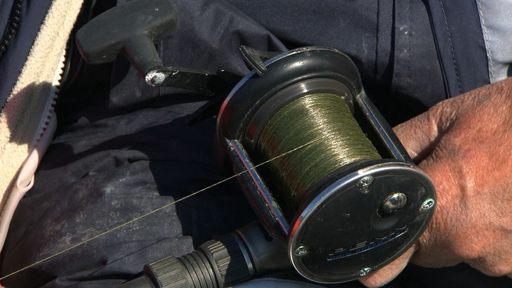 Total Sea Fishing's Barney Wright shows how replace your reel line using a uni knot to uni knot. In this episode, Mandy and her teams face a completely different challenge. Only allowed to venture 500m from the Kerikeri shore, the teams must catch and gather the finest seafood available and then cook it for the aunties. They won't know what the other team has caught or cooked so will need to excel to win this challenge. 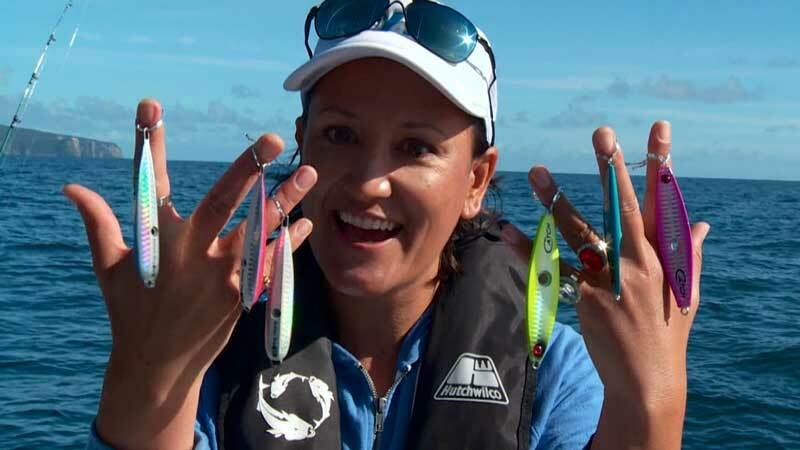 Teamed up with Anita Muaulu, Mandy takes on the combined might of fishing guru Bill Hohepa and NZ TV actor Tammy Davis in a multi species challenge, where the teams are given envelopes containing mysterious clues. 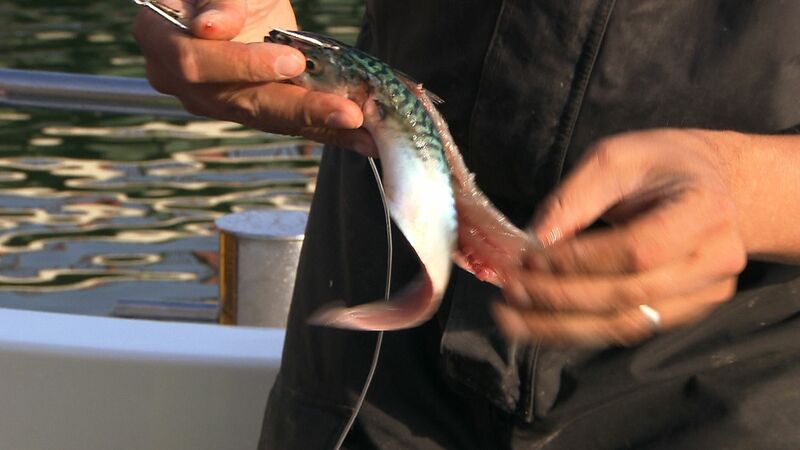 The aim is to catch a number of species that can be eaten for supper. 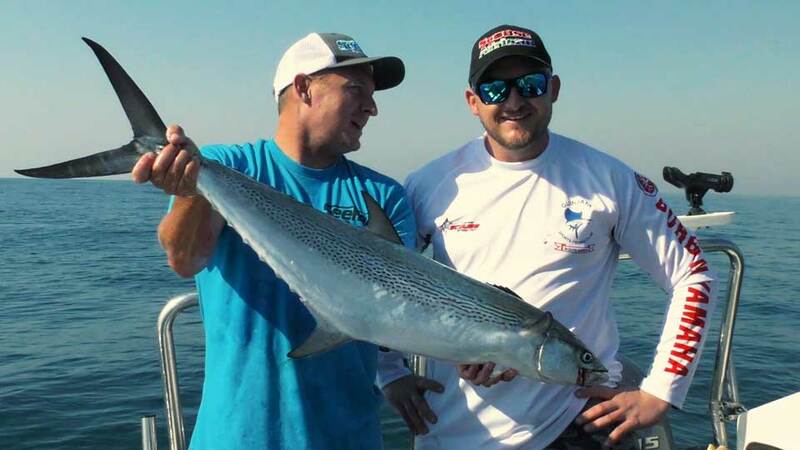 The annual King of the Sea competition off the coast of South Africa, sponsored by Go Fish magazine sees Boat, Jetski and Kayak anglers battle it for the title. 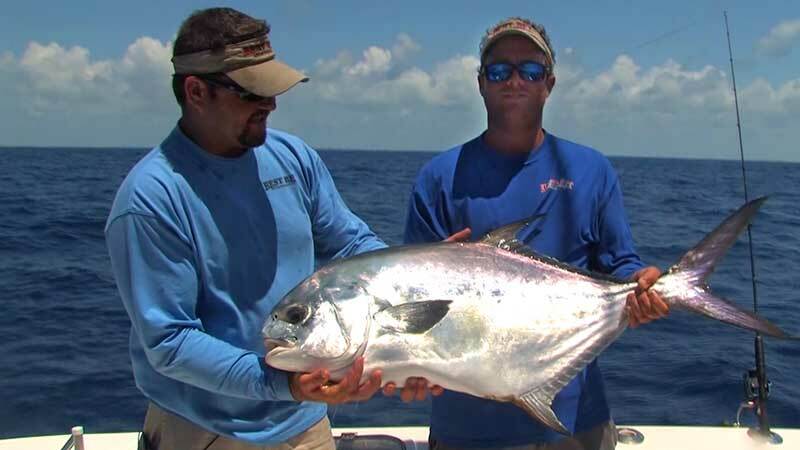 Great fishing action to be had with some big GTs, Bonitos and King Mackerel on display. Its another interesting fishing and cooking challenge as the teams are provided a list of seafood ingredients that they must gather and catch to cook up the best gourmet chowder. Fishing around the rich Mercury Islands, who will provide the best chowder. Barney Wright runs through his preferred method of joining two running lines. Today the teams depart from Leigh and head out thirteen nautical miles to Little Barrier Island. 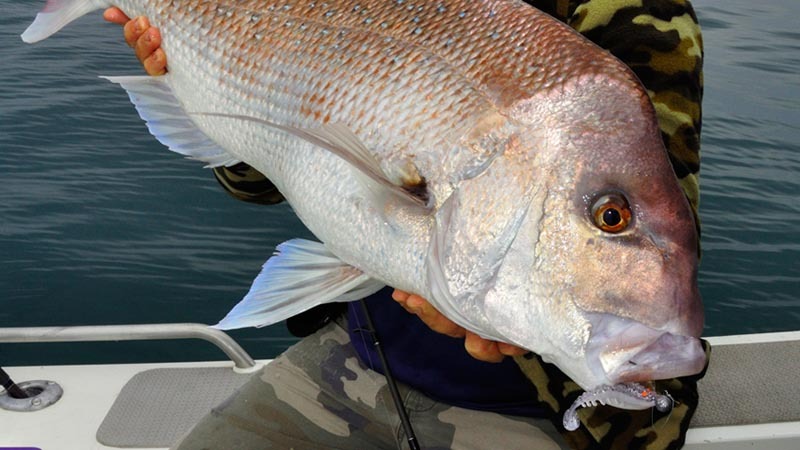 It's a fishing hotspot that should provide plenty of action with snapper and other species around. The winning team today will need to catch the longest fish with once again the losers cooking dinner. 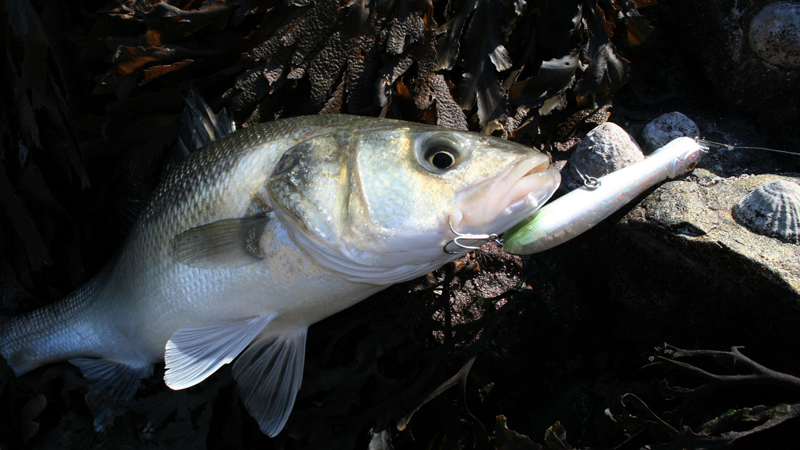 Dave Barham targets quality bass off the Isle of Wight using live sandeel and lures. 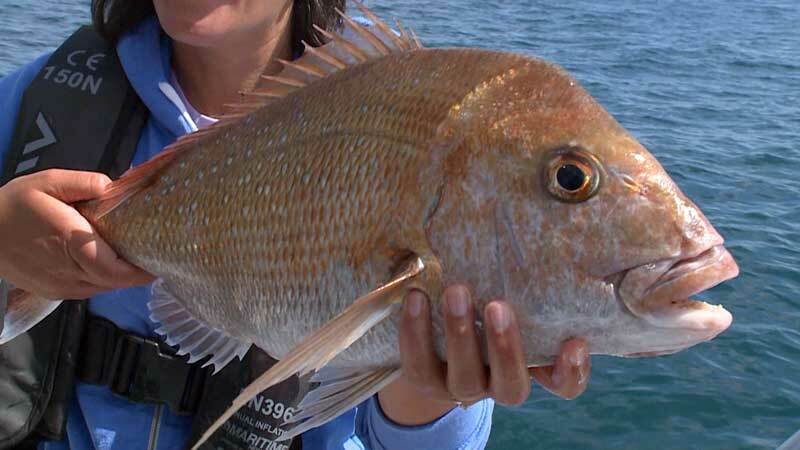 A slam-down snapper competition! 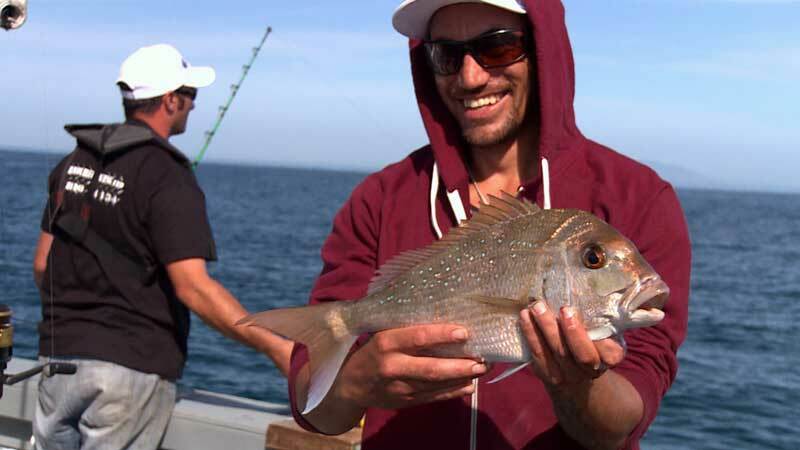 Our teams head to Little Barrier Island to see who can land the most legal snapper in six hours. Tim Harrison shows how to set up the Carolina spinning set-up for LRF fishing using braid mainline and a fluorocarbon leader. Mark De La Hey is in Mozambique, and in this episode he shows how drop shotting with soft plastic lures on jig heads can be very effective. Great practical advice and technical tips and some fantastic fish including Yellow Fin Tuna and GTs. 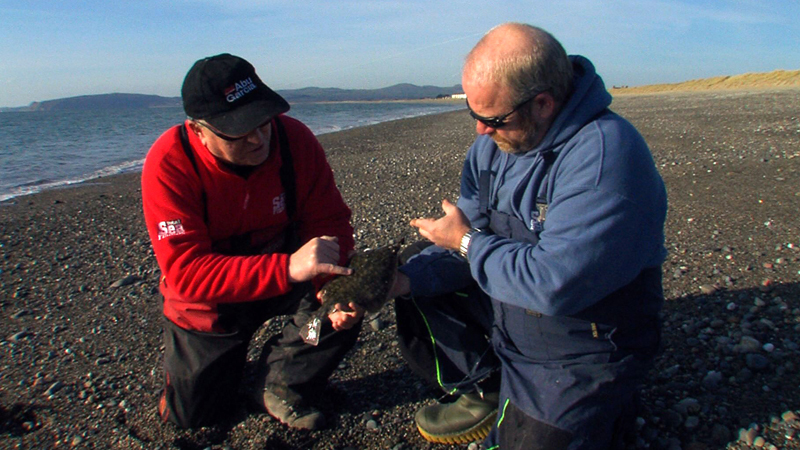 It's all action as Henry Gilbey and Graham Hill locate some great rough ground Irish bass. 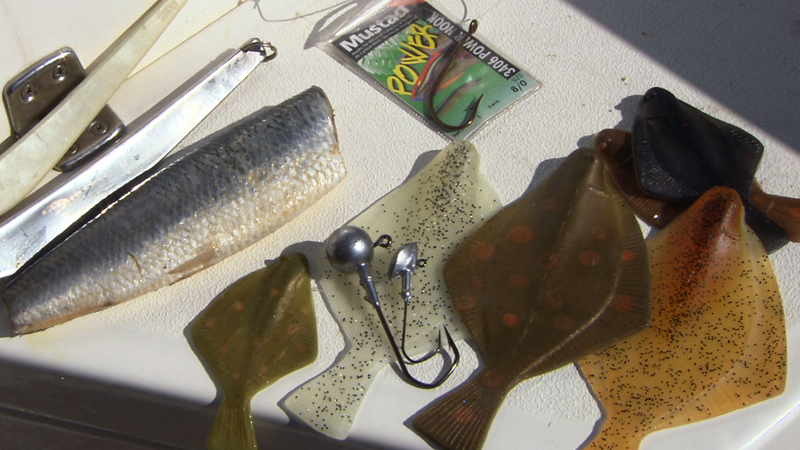 Jim Whippy outlines some of the jigs, perks and lures that will bring you success. 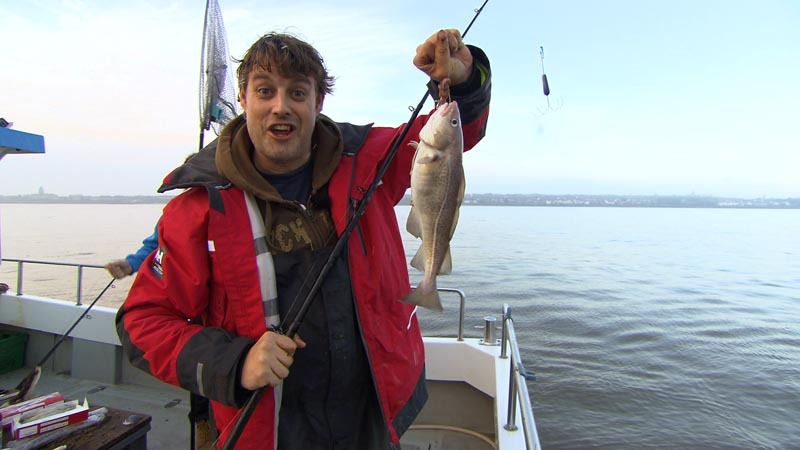 Dave Barham joins a big cod competition and heads out to the famous Needles to enjoy some great winter cod sport of his own. 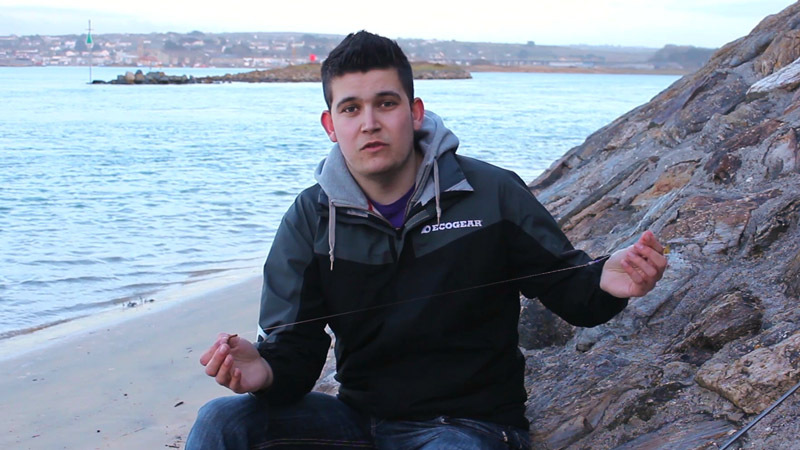 Jansen Teakle demonstrates how to make the most of a favourite bait, the mackerel fillet, perfect when targeting big fish. 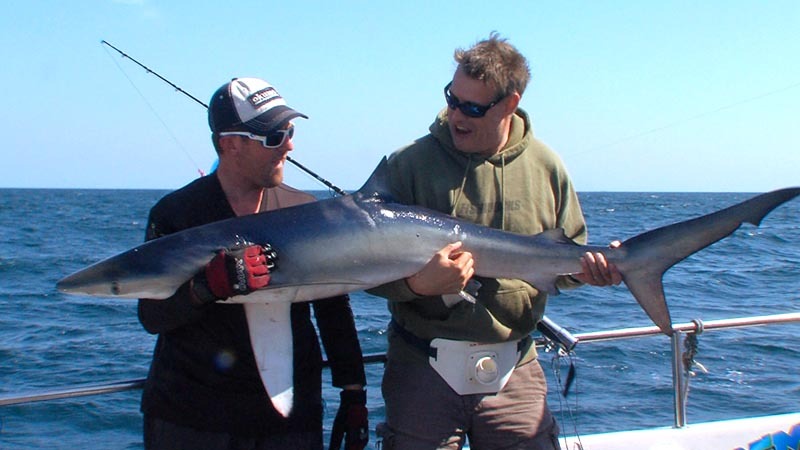 Catching Mako Sharks is a risky venture at any time, but in Bass Strait those crazy Tasmanians catch some ridiculously big sharks out of trailer boats. 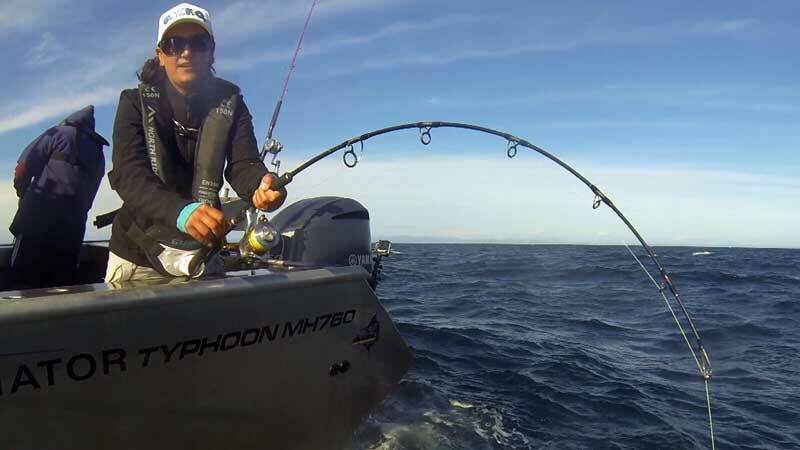 Peter Morse joins Mason and some local shark fishermen and uses fly rods and big game fishing tackle on a couple of Bass Strait monsters. 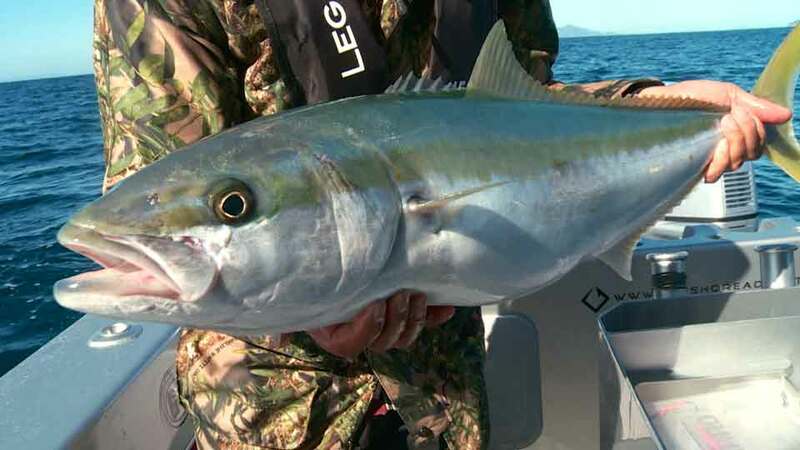 Turns out those Tasmanians really know what they’re doing and he experiences some great fishing." 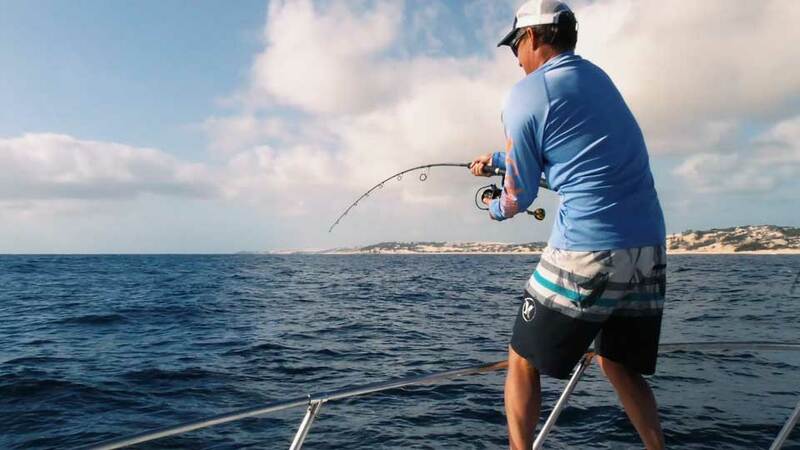 Michael is chasing hefty striped marlin off Newcastle in New South Wales on spinning tackle! This spectacular video features some brilliant underwater strike footage and lots of how- to info for keen blue-water anglers.Hervey Bay, in South East Queensland, is one of those rare "mixing pot" regions where fish species from the tropical north and the temperate south regularly overlap. 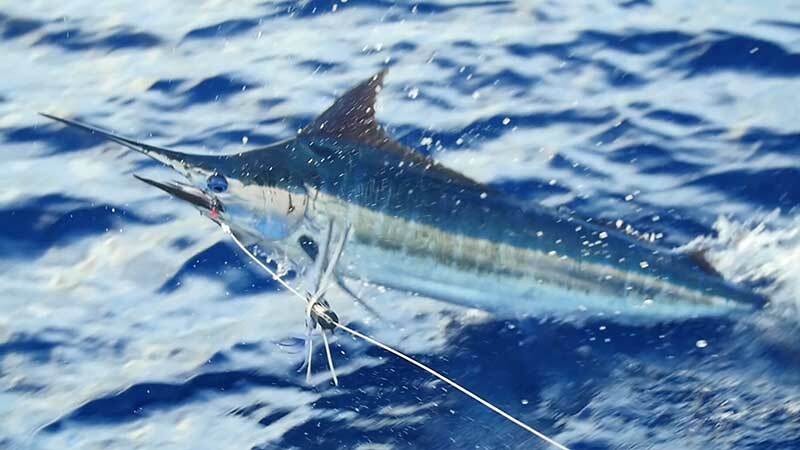 This makes for some especially exciting angling action, and it doesn't get much better than chasing high speed pelagics such as tuna and billfish in shallow, clear water, where so much of the encounter is highly visual. We suggest you avoid watching this one if you have high blood pressure! 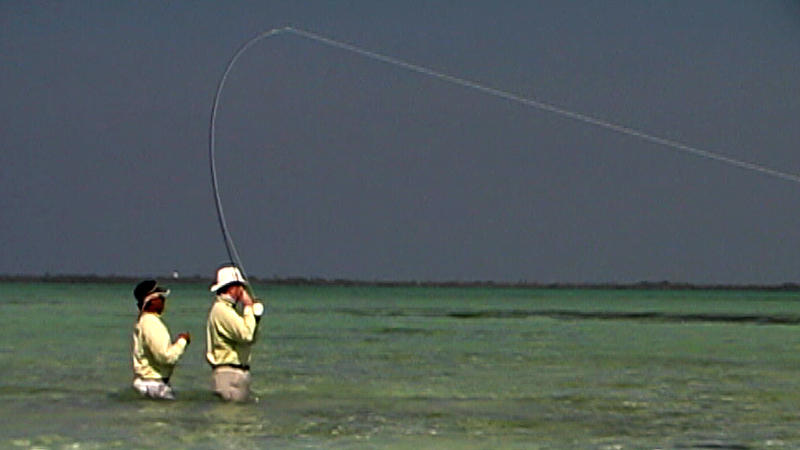 A rarified fishing adventure to Ascension Bay, Mexico, saltwater fly fishing for bonefish, permit and tarpon. 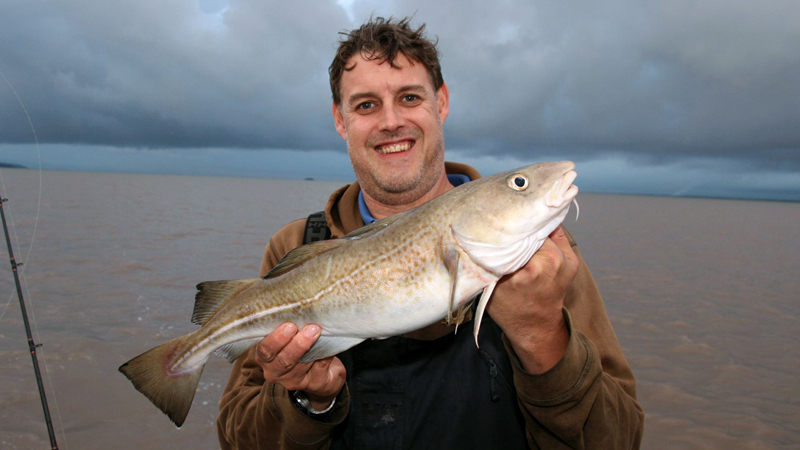 Cod, rays, dab and whiting galore as Dave Barham targets England’s River Mersey estuary. The variety of fishing to be found at Richards Bay, South Africa is so great that you're never quite sure what you're going to catch. 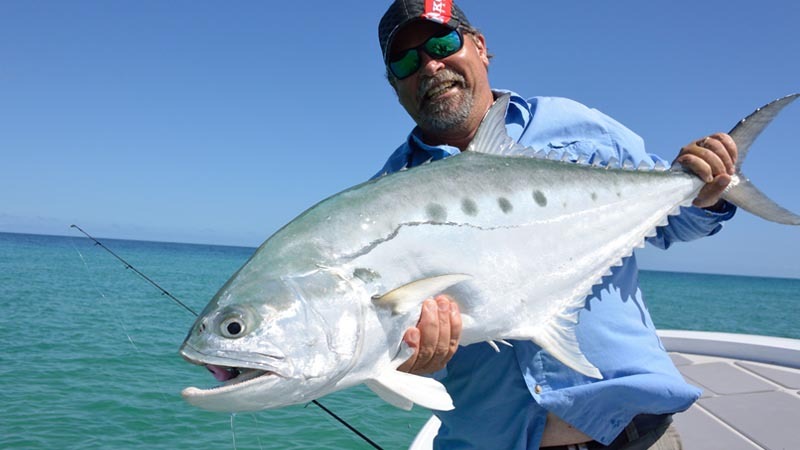 Host Mark De La Hey and his team are targeting Garrick, but the Queenfish and GTs seem hungrier. 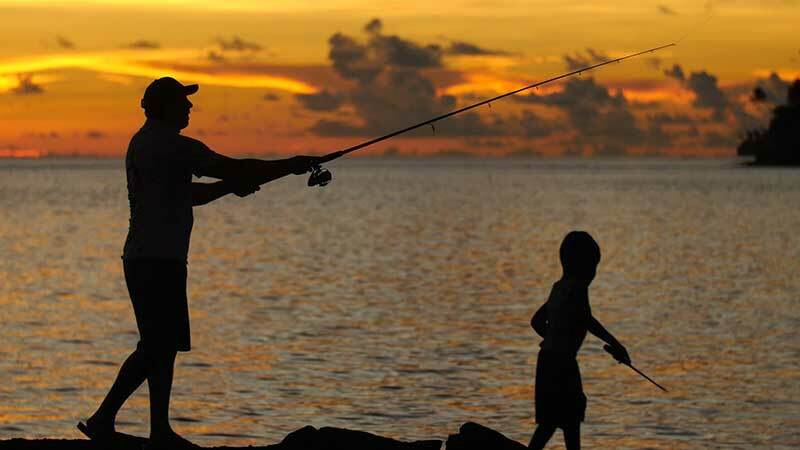 As evening falls the guys move inshore to catch some Kob fish but also find a surprise or two. 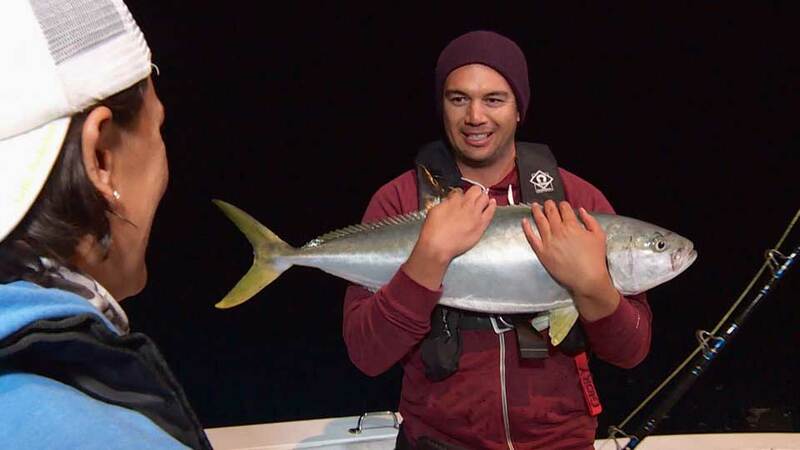 Heading out from Mangawhai our teams target the legendary Kingfish of Mokohinau. 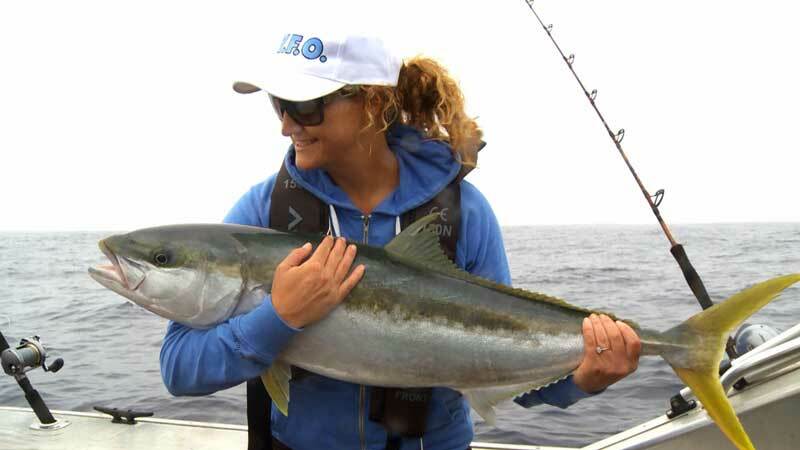 They go vertical jigging with both lures and livebait and whoever catches the largest fish will be crowned king of the kingies. Starlo and Jo join SA Angler publisher Shane Mensforth on the fertile waters off South Australia's Yorke Peninsula to do one of their favourite things, hunt for big bad pink snapper on soft plastic lures and relatively light spinning tackle.You won't believe the action they experience, nor the size of some of the reds they tangle with! 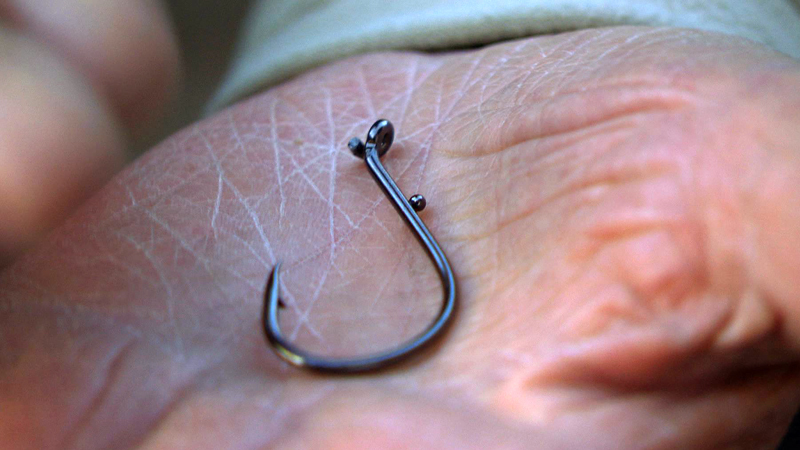 But best of all, you'll learn plenty about how to tap into this style of fishing yourself. In this challenge Mandy and her teams are up against the clock. With just an hour of fishing available in the first part of the challenge, the winning team needs to catch the most snapper possible. No bait allowed so the teams will have to rely on lures to win this. 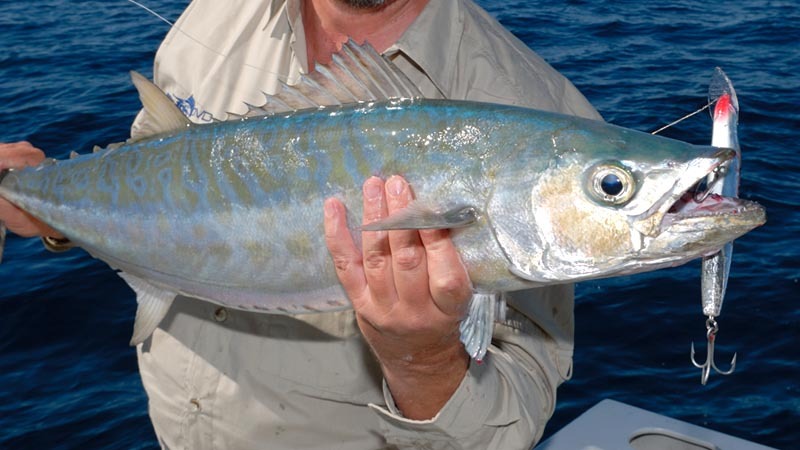 The next challenge is to catch Kingfish, with 3 points available for each fish. 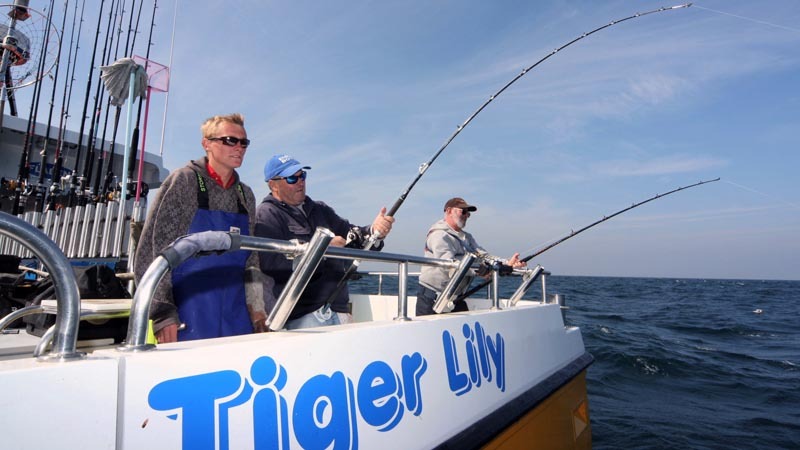 Dave Barham heads out of Hayling Island aboard Sean Heath’s charter ‘Great White II’ to enjoy some sizzling sport with tope and bass. 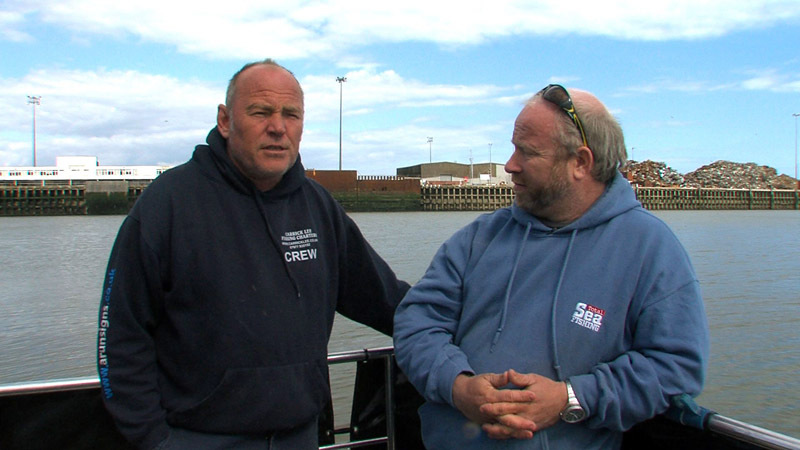 Charter skipper Frank Shaw discusses what anglers can expect when they fish around Newhaven. Mark De La Hey revels in the unspoilt wilderness and diversity that his native South Africa has to offer. 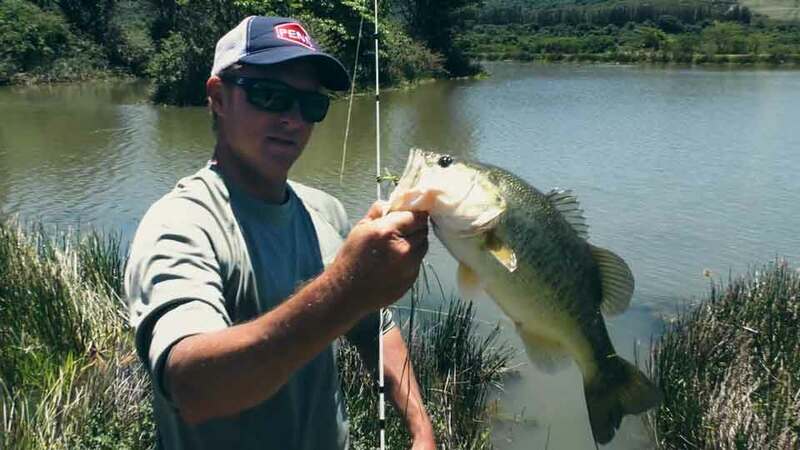 On a trip inland to the Karkloof Safari Spa, he enjoys lure fishing for Largemouth Bass whilst herds of buffalo, rhinos and hippos keep a close eye on him. Rob’s in Key West and this time he’s out on Ocean Energy, with Captain Mike Blumin and Capt. 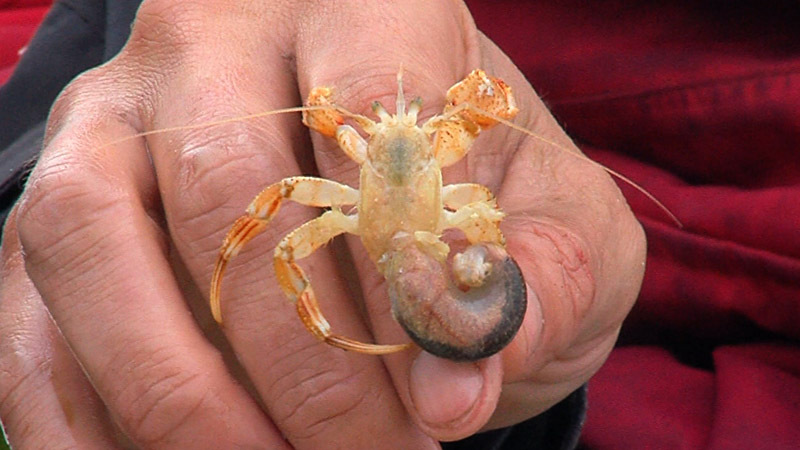 Russell Knowles on the hunt for a variety of species in deep water. Hobie's Morgan Promnitz joins up with seasoned anglers Jackie Smith and Hank Parker on a visit to Grosse Savanne Lodge in Louisiana. 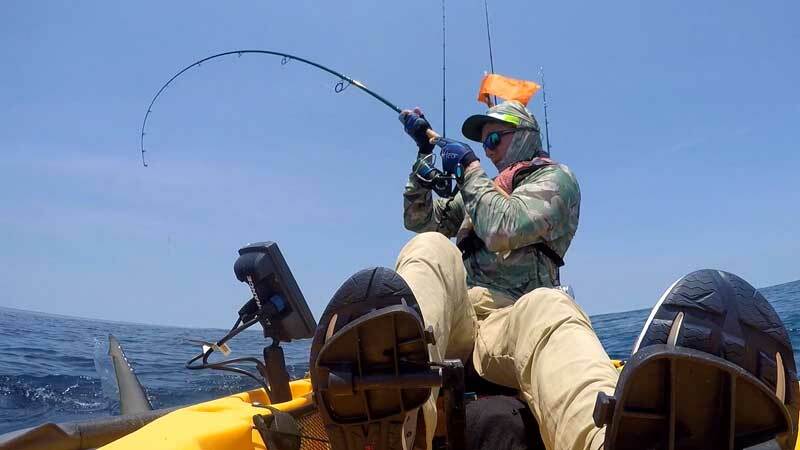 They show how the versatility of the Hobies can get you into places larger boats can't reach and plenty of bass are caught, including a new lake record. 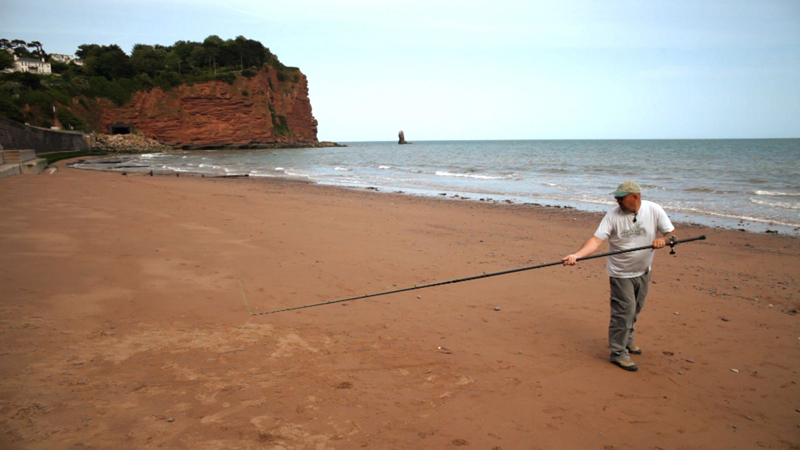 Barney Wright shows how to tie up one of his favourite set-ups for flatfish, the one-up, one down. 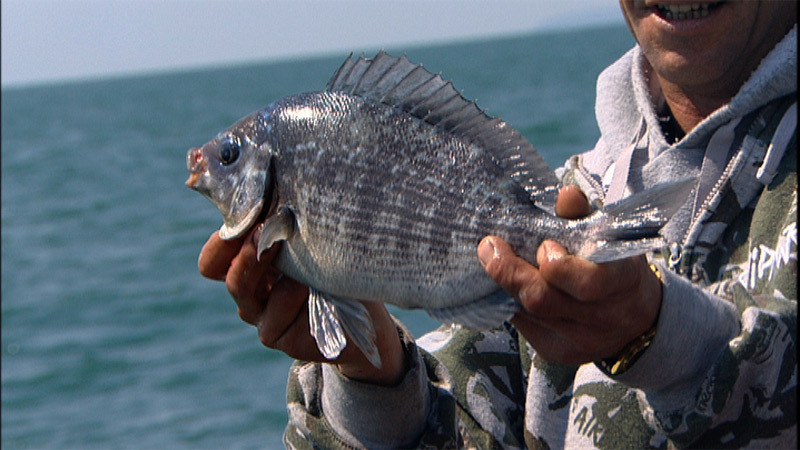 Oregon offers great opportunities for fishing, but surf perch are often overlooked. 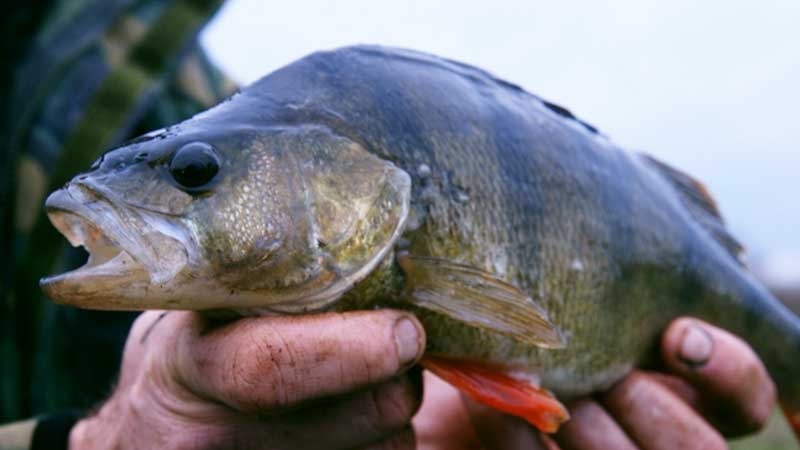 They’re big, hard fighting fish and should offer some great sport. Cody’s never had much luck with beach fishing, but he’s enlisted the help of an old friend this time. 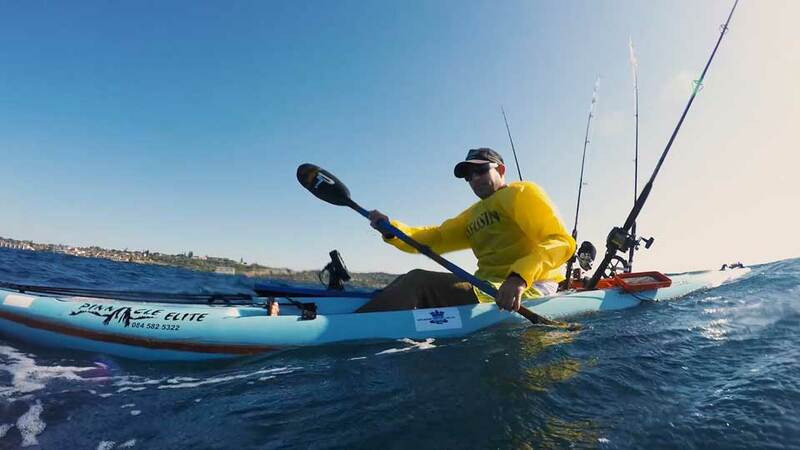 For the second part of their trip to Panama, the Hobie team travel 100 miles down the Wild Coast in search of Marlin. 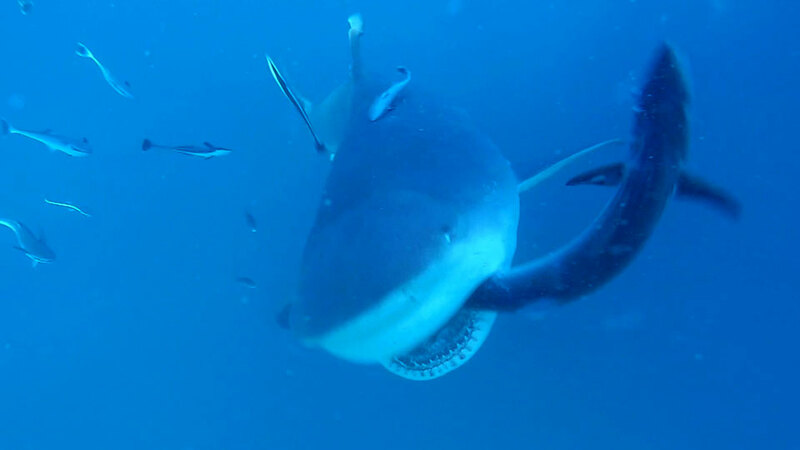 Using freshly caught livebait they attract shark instead, which on light tackle creates a bit of excitement. 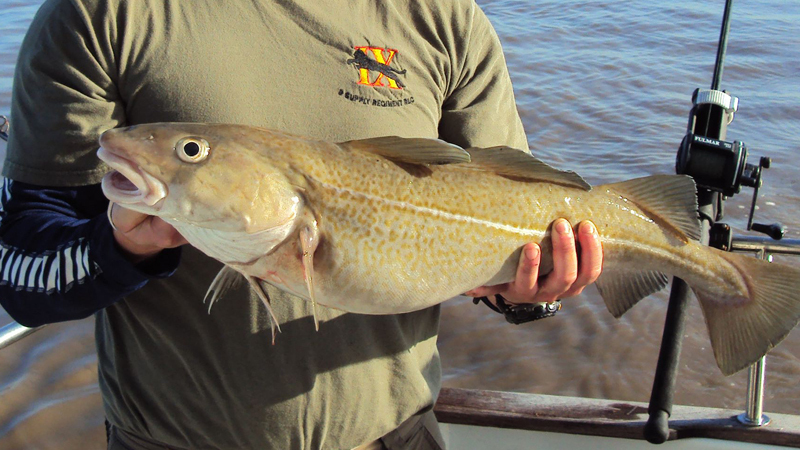 Redfish, Amberjack and Pompano are also there in abundance. 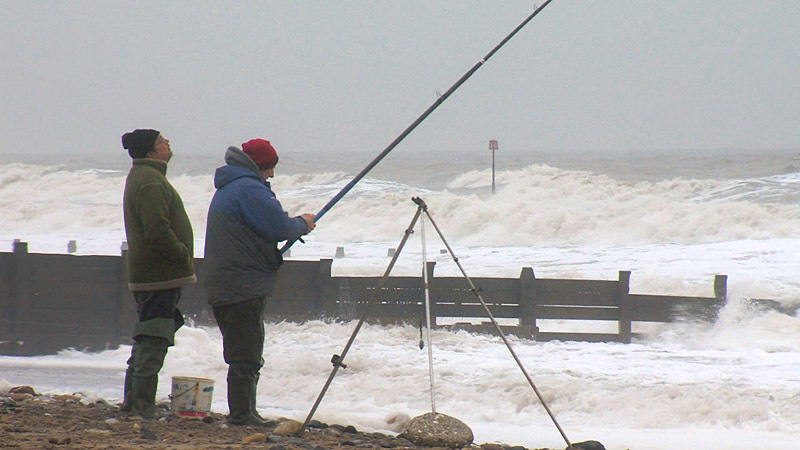 Nick Panther talks about what UK shore anglers can expect from the month of April. 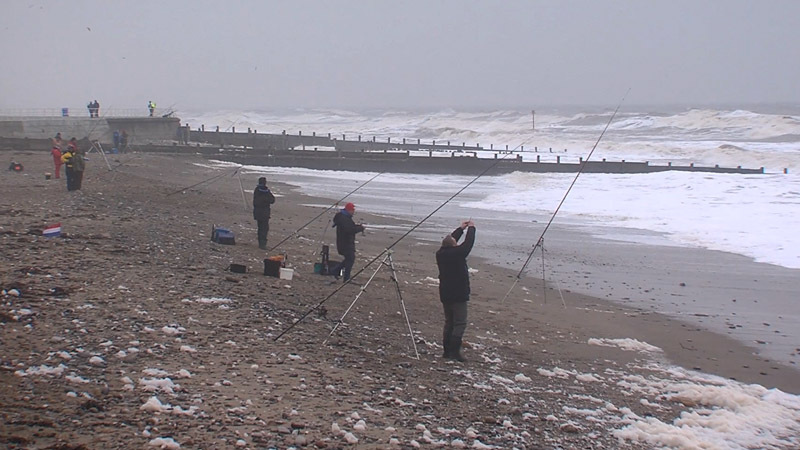 Nick Panther discusses how to make the most of fishing around the England coast in February. 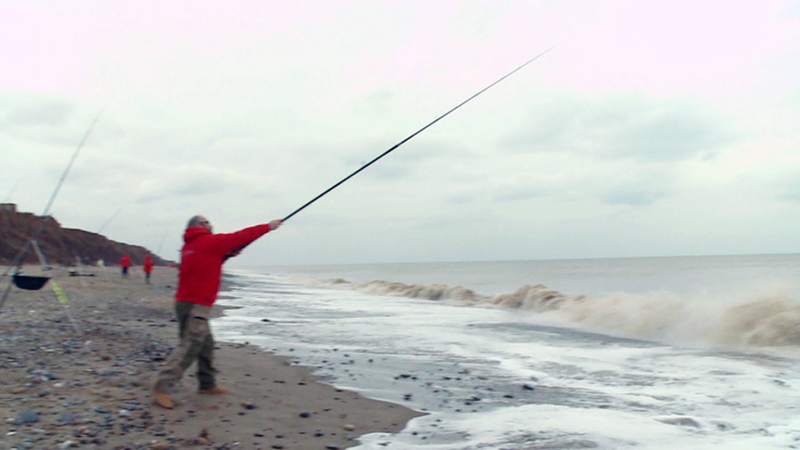 Pearls of shore fishing wisdom for the first month of the year, from shore ace Nick Panther. 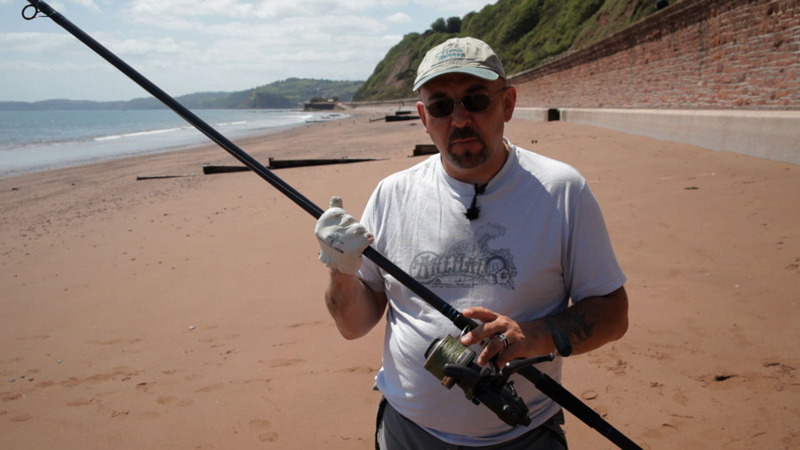 Nick Panther talks about what shore anglers can expect around the British coastline in July. 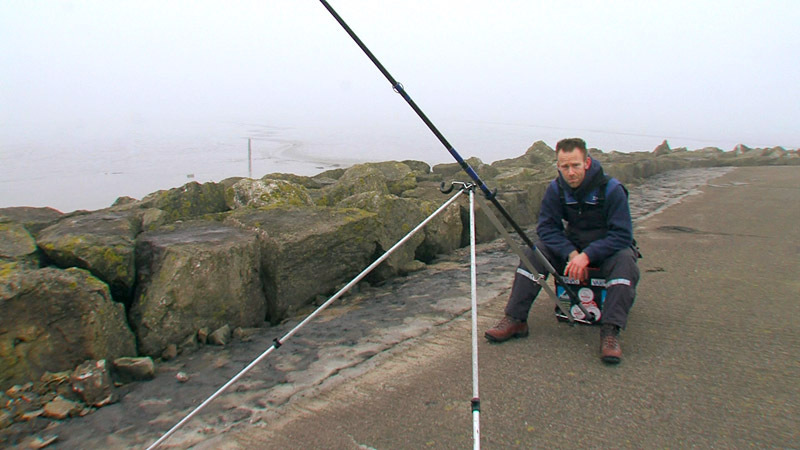 Nick Panther talks about what UK shore anglers can expect from the month of May. Nick Panther on the time to get the heavy duty gear out and go chasing cod and rays, with tips on how to target them. 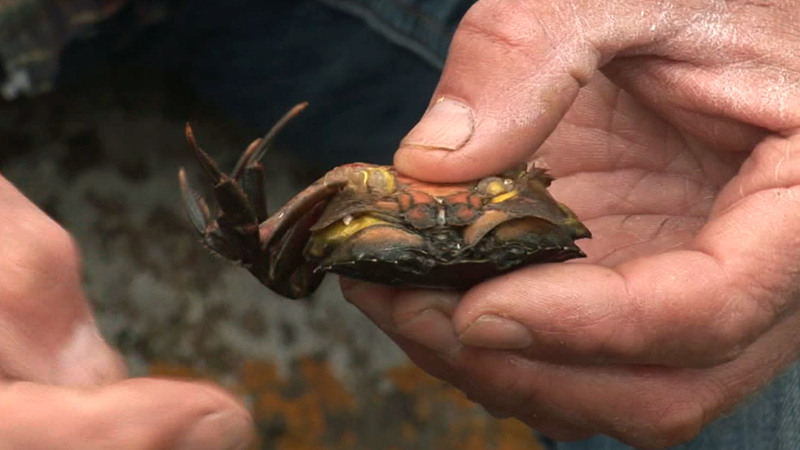 Julian Shambrook shows how to get the best from peeler crab and how to look after it. Mike Thrussell talks about why he would recommend Penn’s classic 325 Mag II casting multiplier for his varied shore fishing. 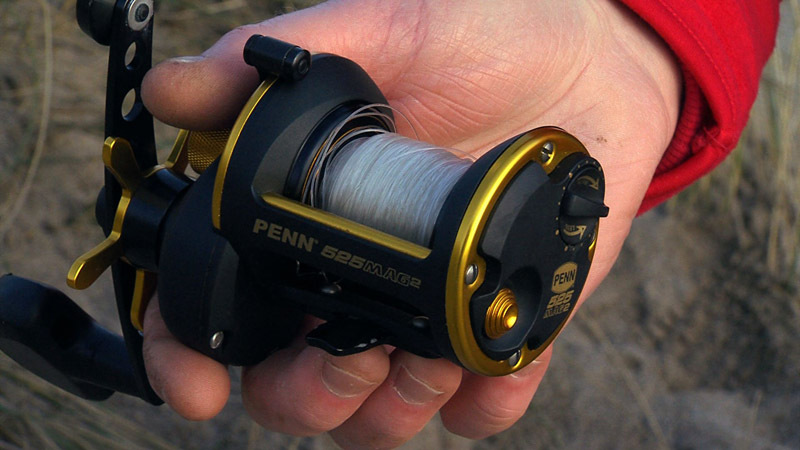 North East England based angling writer and broadcaster Sam Harris gives the thumbs up to his trusty Penn reels. 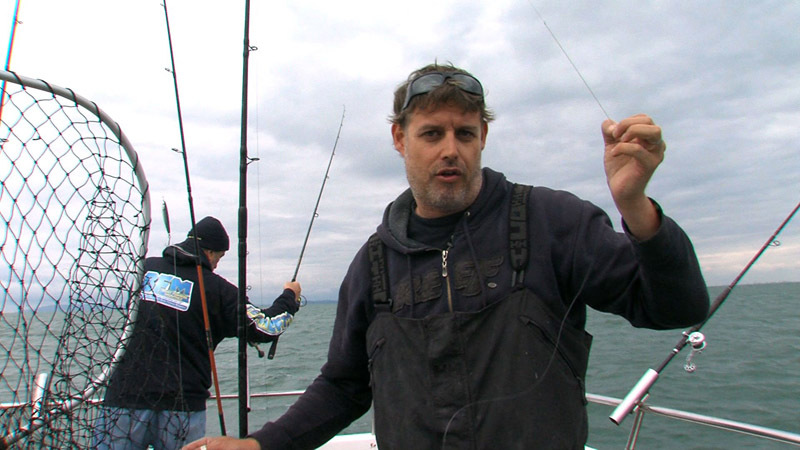 Boat fishing ace Jim Whippy shows how to set up a long flowing trace for pollack and coalfish fishing. 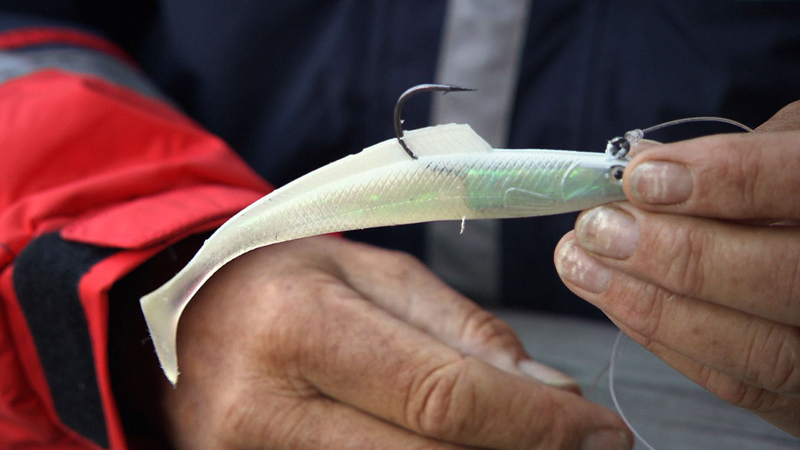 A set-up that's ideal for presenting a bait at different depths by sliding the trace up and down the mainline. 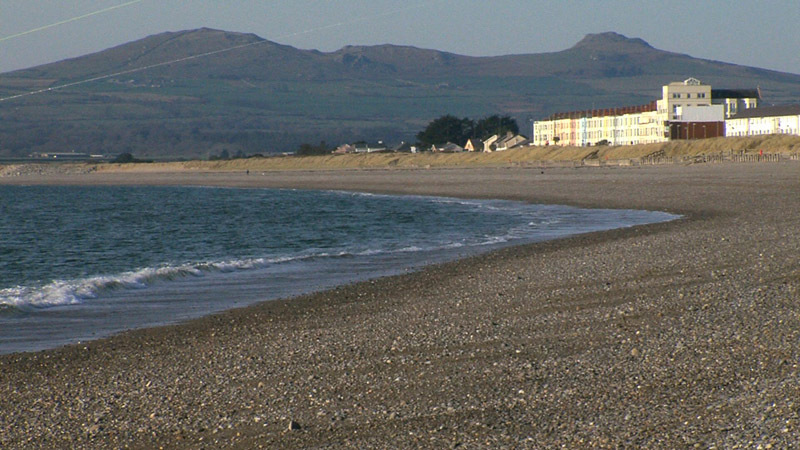 Top shore angler Mike Thrussell with advice on how to fish the noted Welsh mark Pwllheli Beach. 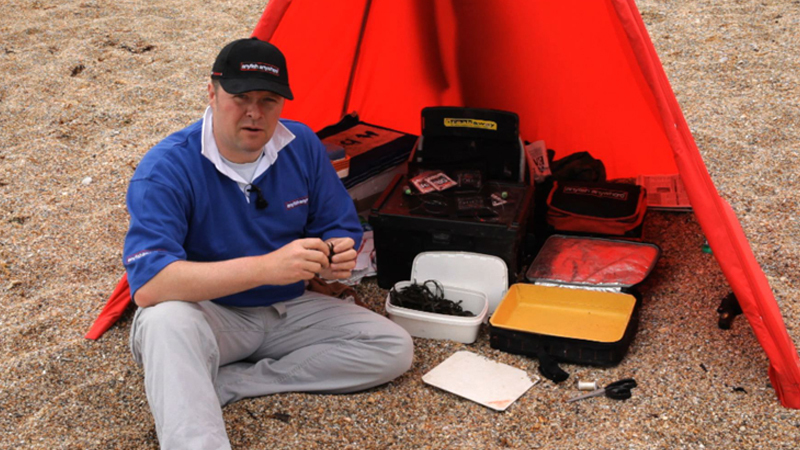 Julian Shambrook talks through a bait combination he uses to target a variety of smaller fish from the beach. 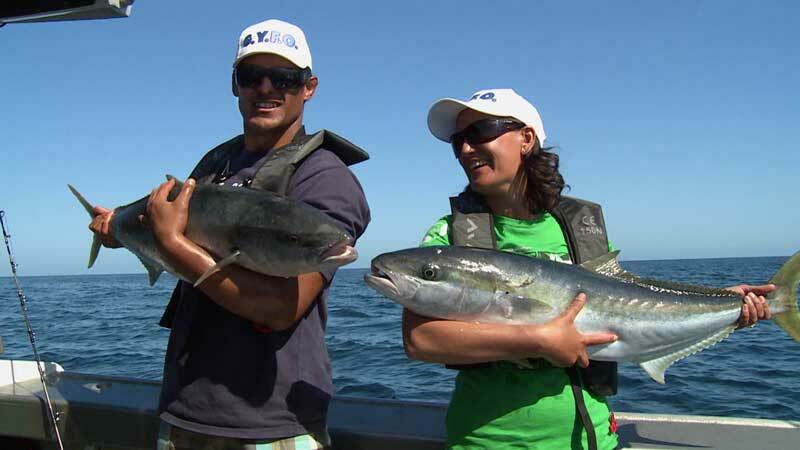 Braving the big swells and wild NZ West-Coast weather proves a challenge in itself as our Womens and Mens teams go head to head to provide the best seafood for a fishy family feed. 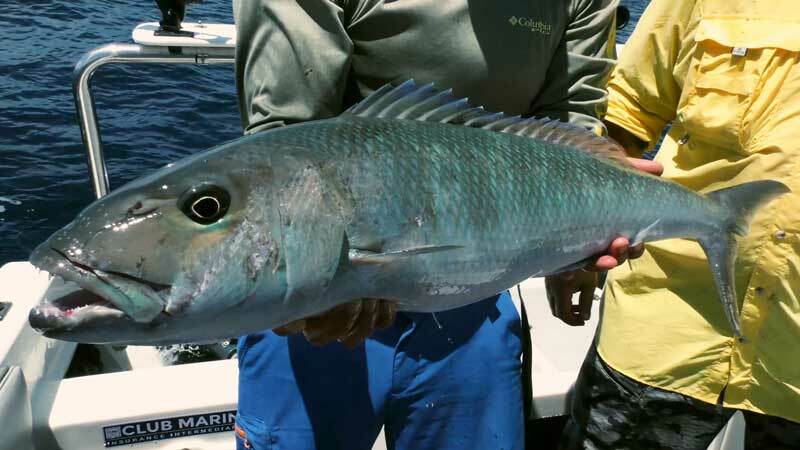 There's plenty of species to be found, with Kahawai, Lemonfish, Snapper and Trevally all vying for prime place on the menu. 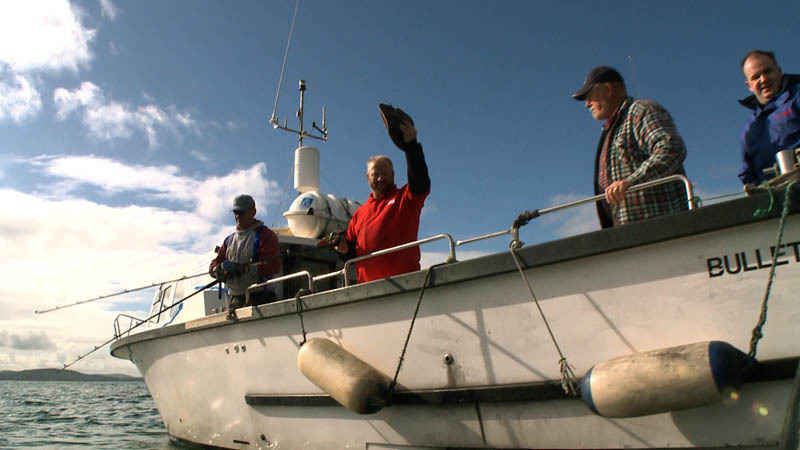 In this weeks episode, the competitors head out to the Ranfurly Banks, 25 miles offshore the east coast of New Zealand and a reknowned fishing spot. 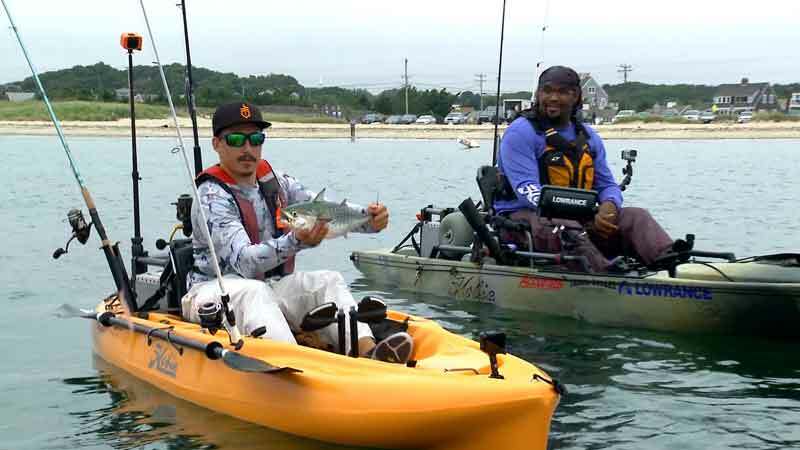 To win this challenge, the competitors must catch 6 deep water edible fish. Catching fish this deep down means they can't be returned but nothing will go to waste as they will be all cooked for a special feast. 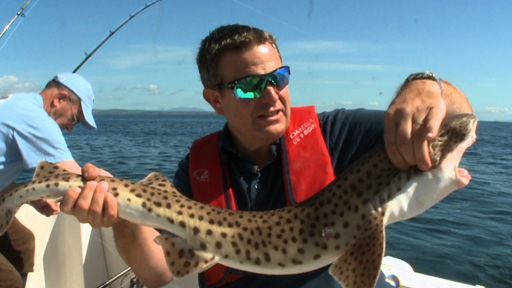 Fishing TV joins the 24-7 sea fishing club of Plymouth for a brilliant rock climbing and ray fishing adventure on the year's highest tide. 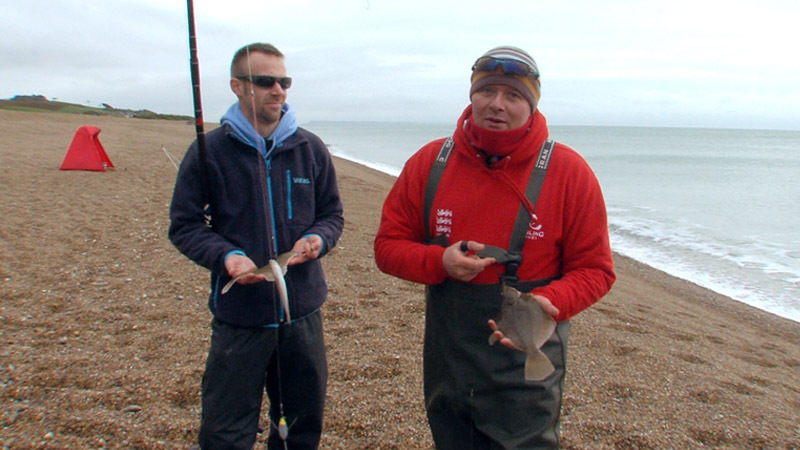 Ian Chillcott joins sea fishing expert Julian Shambrook to fish Somersets Lilstock beach in search of Smoothound. Duncan Charman gives us the low down on using melting PVA bags for barbel fishing and Mark Pitchers shows you how to cast long distances and how he puts his rigs over 100yds. Sam Harris with some advice about finding where to fish from the shore. 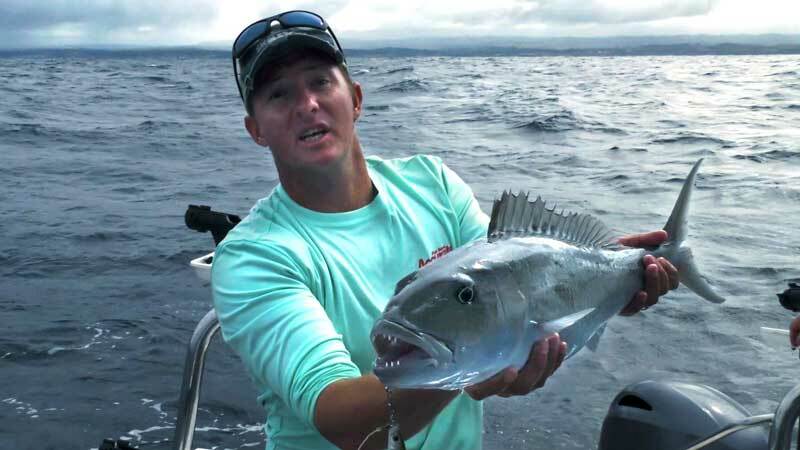 Mark heads out of Richards Bay for another great offshore trip where he isn't targetting any one species in particular but just wants to see what turns up. First he catches a trophy sized shad before looking for other species. 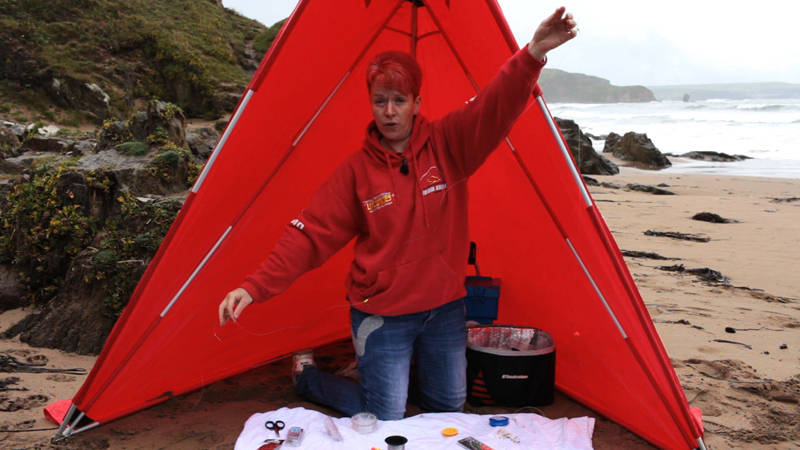 Shore international Rachel Jarman passes on tips for keeping rigs safe and tangle free. 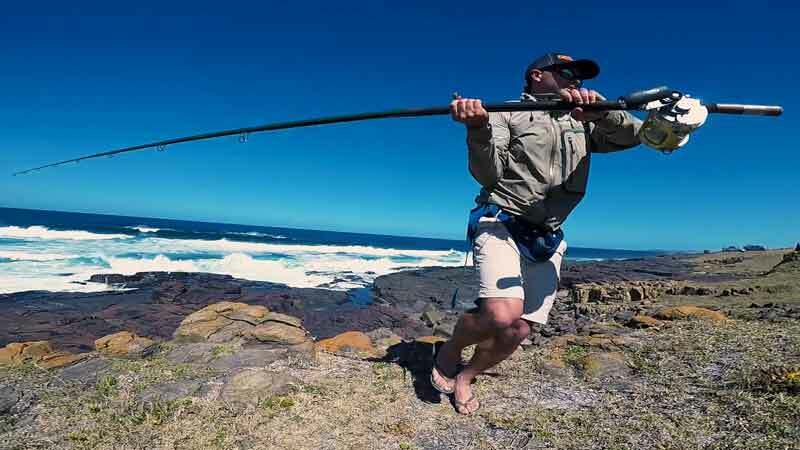 As the large swells in January & February churn up the waters at Mtunzini, South Africa, it creates great conditions for rock and surf fishing from the beach. 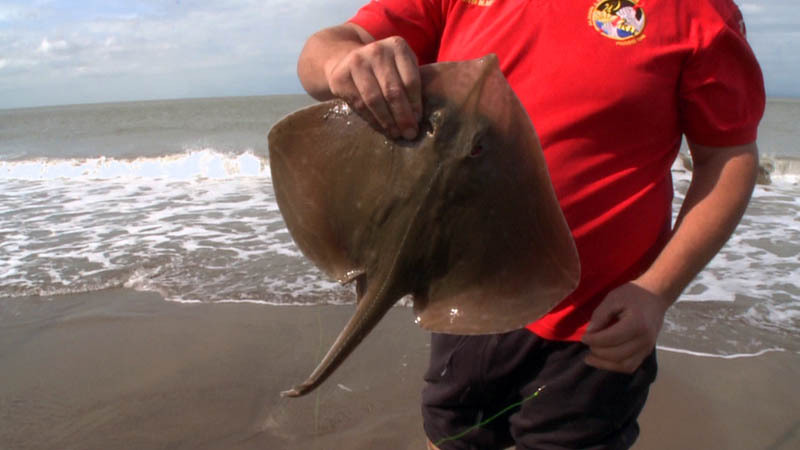 Mark De La Hey and friends offer up some great tips and advice on how to use fresh deadbait to catch large flatfish such as Brown Skate, Sand Shark or Diamond Rays. Day two in Canda Island and Mark is again going after King Mackerel, this time putting the Lowrance Fishfinder, large lures and fresh dead bait to very good use, as fish after fish get the reels screaming. 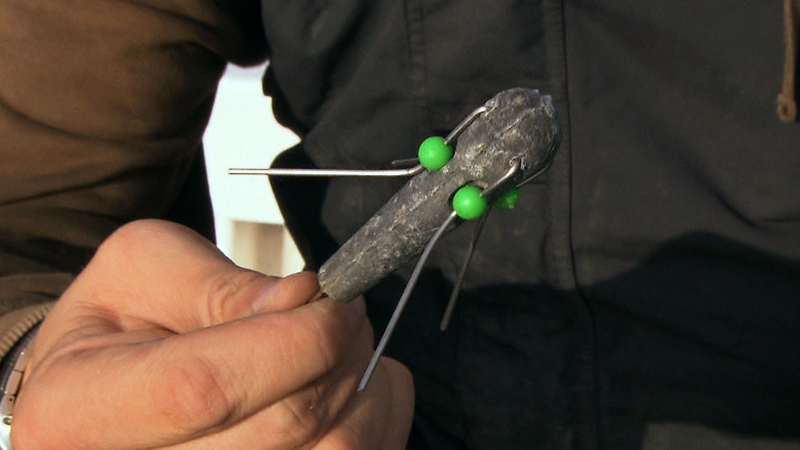 Andy Webb shows how to attach that vital casting shock leader. Cody's Samoan adventure continues - they had some success in part one, but conditions were tough. Now they are keen to add some more flags to the mast and put in some more tags. 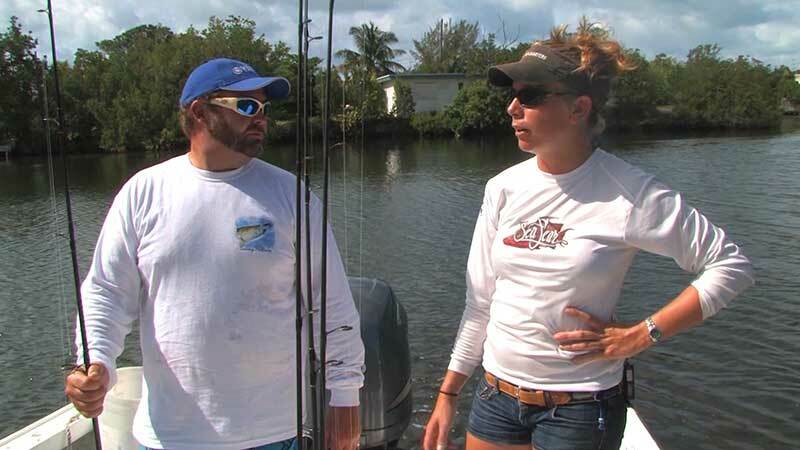 Cody's skipper explains the importance of tagging, and what to do if you catch a tagged fish. Your host Cody Herman leaves the cold waters of the Pacific Northwest and heads south of the Equator, to fish the tropical waters of Samoa. 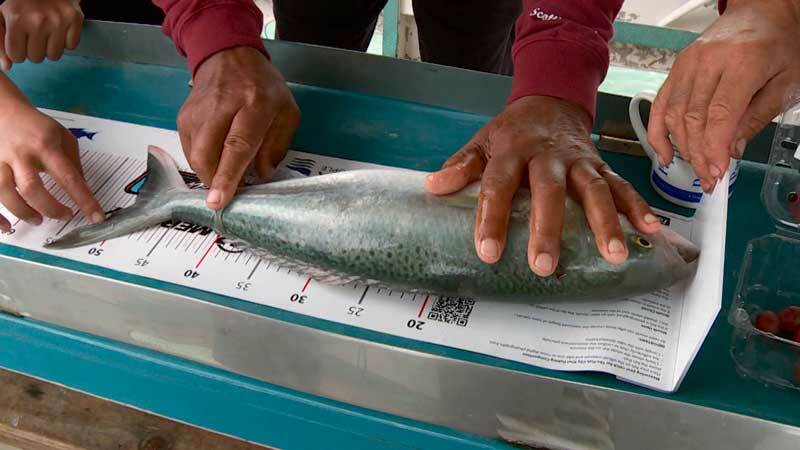 He learns how the island chain was devastated by a tsunami, and how to target warm-water, inshore species - we're talking big, fast, predatory fish in crystal clear waters. 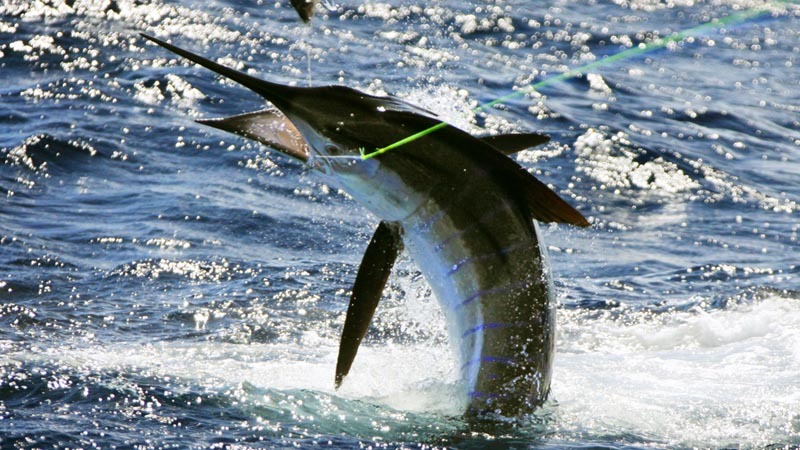 Can they catch an elisive billfish? 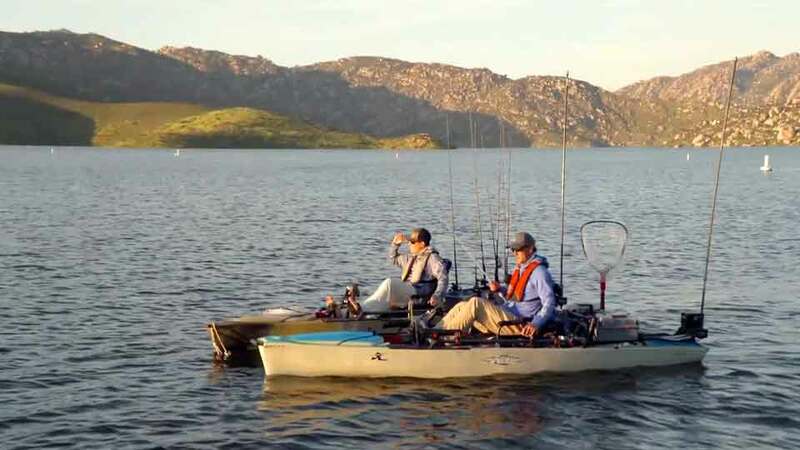 Morgan Promnitz and Kevin Nakada from Team Hobie take their kayaks and head out to the beautifully scenic San Vincente Reservoir in southern California. It's close to home so no problem them taking all the gear and gadgets. The lake holds some monster bass, up to 18lbs, so when one of them snags itself around a sunken tree Morgan has no hesitation in diving in to try and free it. But it's Kevin who wins the day by a mile. Part 2 of Team Hobie's Morgan Promnitz and Kevin Nakada's weekend trip to San Vincente Reservoir with their gadget packed Hobie kayaks. 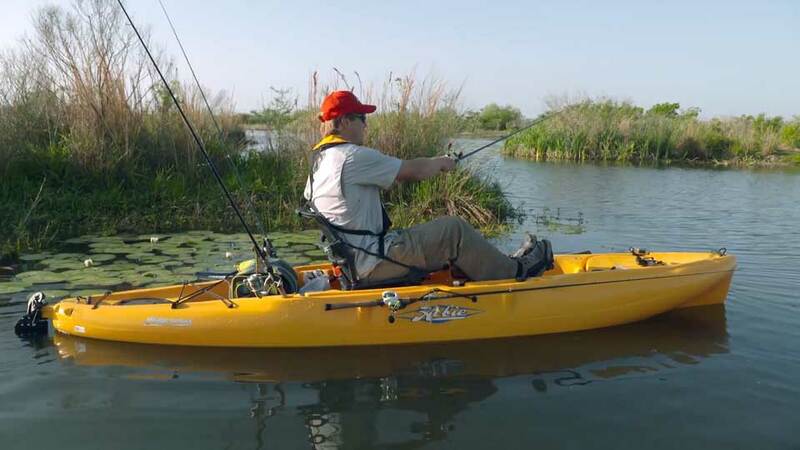 This time its Kevin's turn to take a splash after a crack-off and its worth it, as he handlines in a 7lb bass. But not to be outdone Morgan finishes with a monster fish of his own. 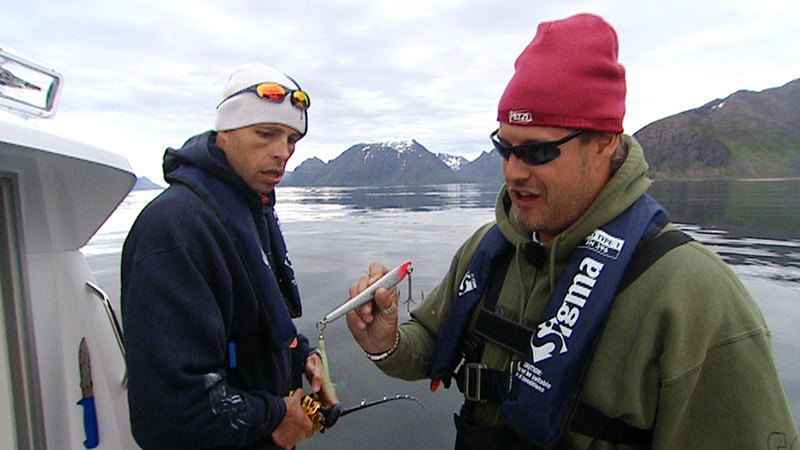 During fishing we have deployed underwater cameras on the locations we fish, gaining an unusual insight into the secret world of the sea trout – and saltwater fishing.The film is about spin fishing from the beach, and we join Thomas Hansen and other experienced fishermen on several fishingtrips. 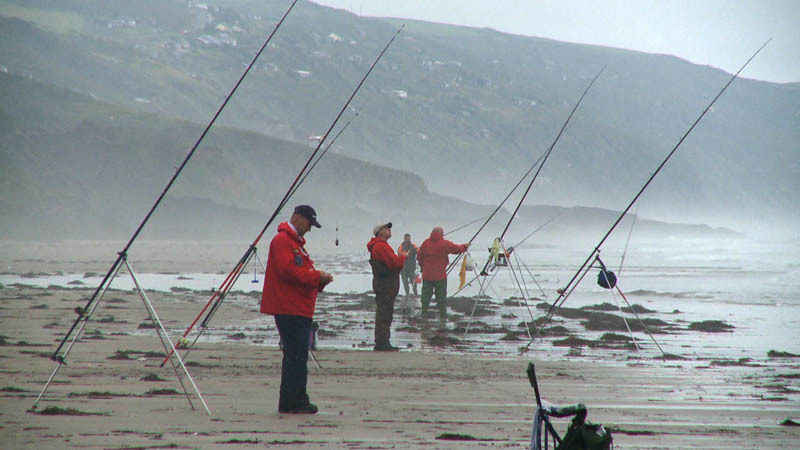 We fish through all four seasons and different locations.Watch the amazing underwater footage of sea trout on the very location as we fish. 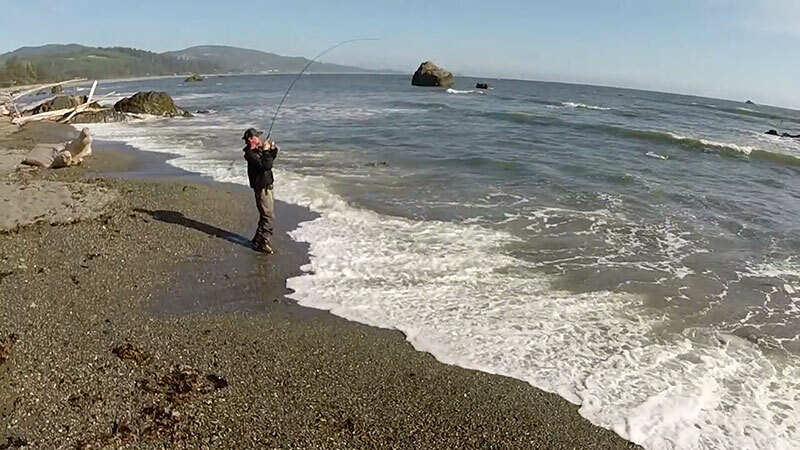 Watch sea trout following the lure and the catch of a capital sea trout. 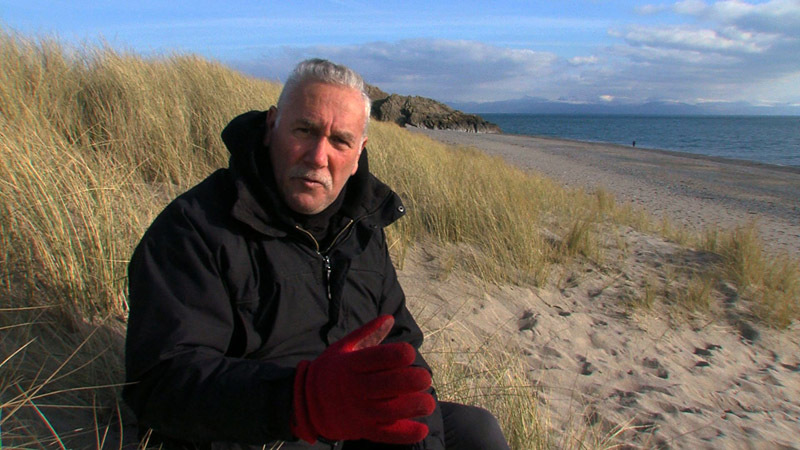 The film includes night footage of sea trout in the natural habitat and in depth knowledge about the sea trout’s prey.Watch lots of great catches and gain new knowledge. 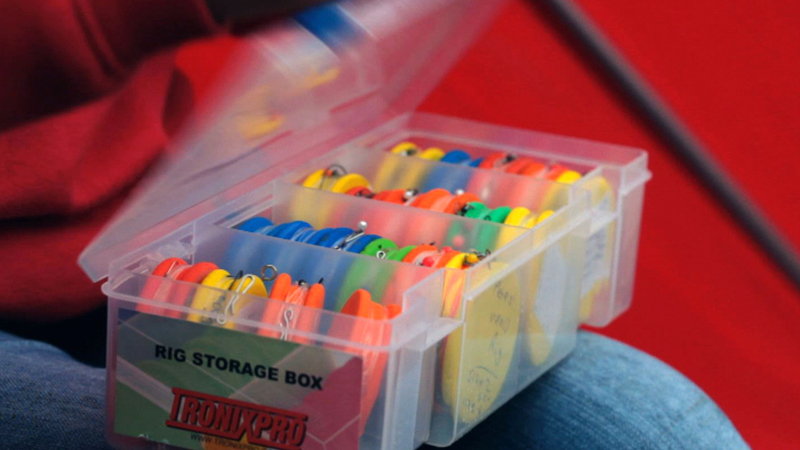 And instructional film that covers all the important details in strategy, tackle and fishing techniques with both lures and Bombarda floats. 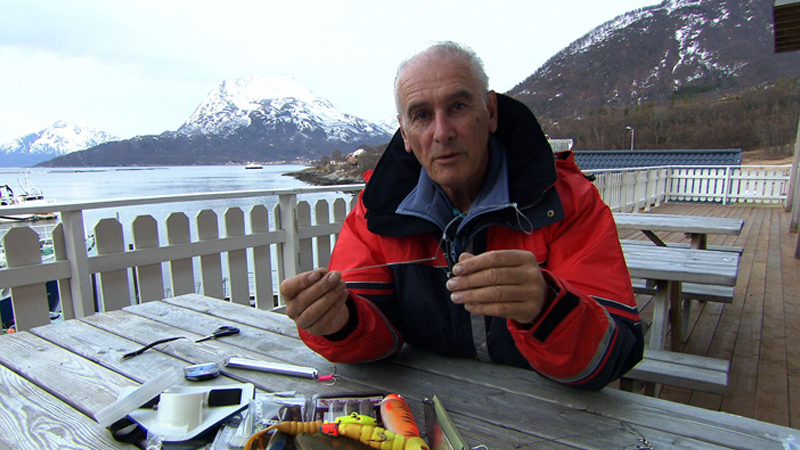 Claus Eriksen is a very experienced flyfisherman, and in this movie he shares his latest discoveries about technique, flies and tackle.There a numerous underwater recordings and we get closer to the sea trout than ever before. 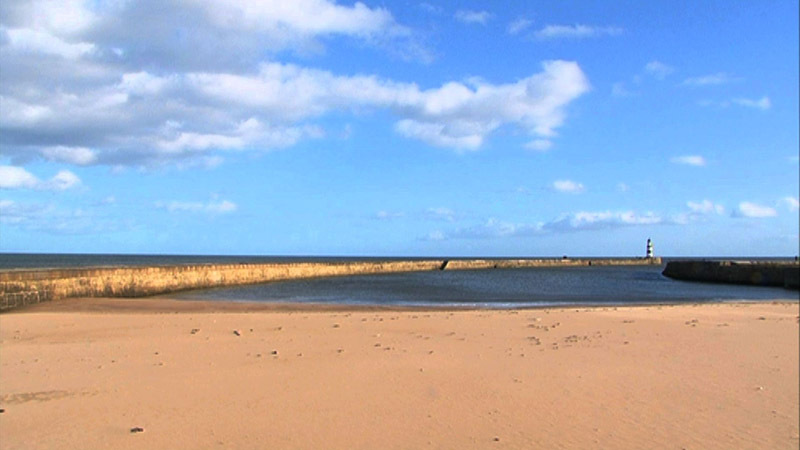 New technology has shown us exactly where to find the sea trout along the shore. We shall see more sea trout out there than we expect. 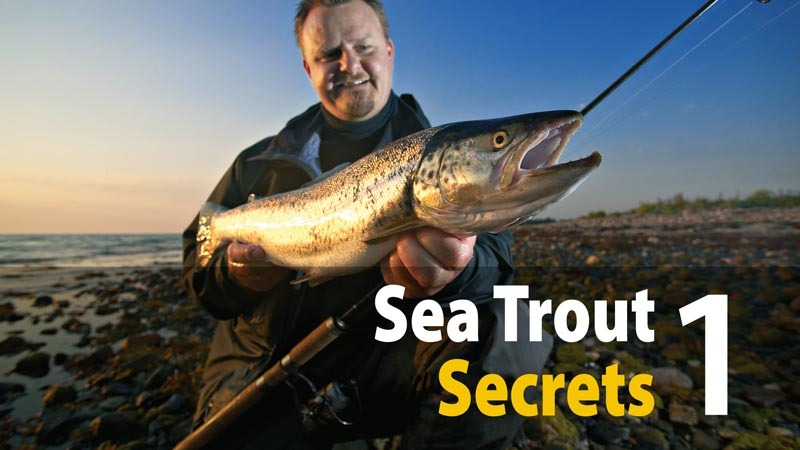 Several sea trout following the fly and inspecting it closely.Claus shares his fishing strategies for sea trout during all four seasons – and put theory into practice. He catches many beautiful sea trout. 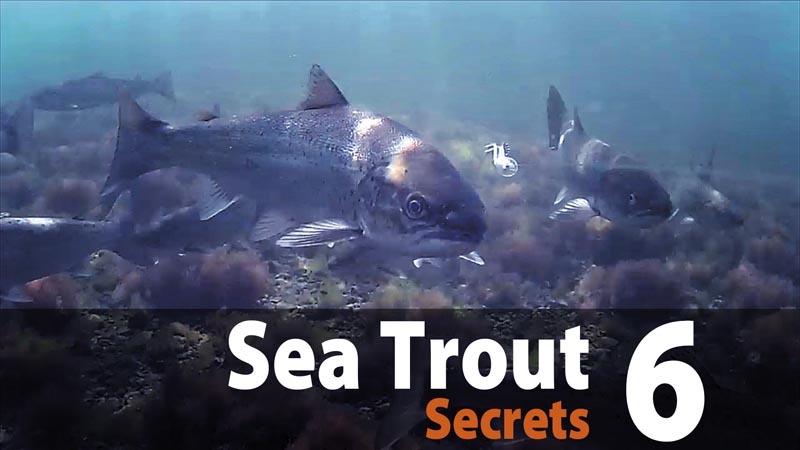 A movie full of useful tips and amazing underwater recordings providing a new detailed insight into the secret world of the sea trout. 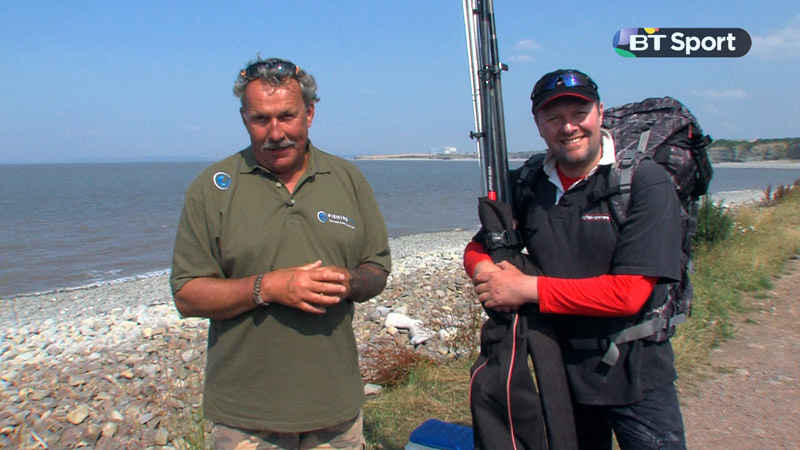 Rae Borras meets the characters of Seaham AC, one of the oldest sea angling clubs in the land. Mike Thrussell talks about how to set up and ‘run in’ a new multiplier reel. Dave Barham and Jim Midgley are champing at the bit to get fishing off the famous Shambles Bank, in a week that has already produced numerous fish over 20lb. 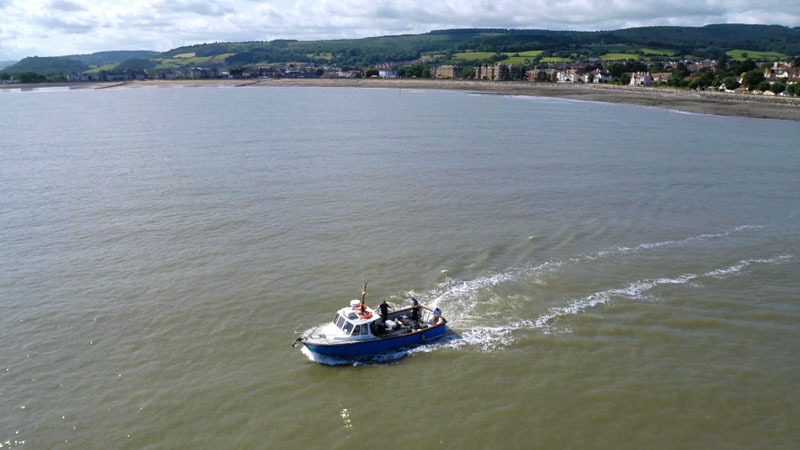 Dave Barham joins up with skipper Craig Deans for a trip in search of some record breaking shark off the coast of South West Wales. Great tope, smoothound and bull huss fishing off Scotland, and an education in the need for conservation of these wonderful species. 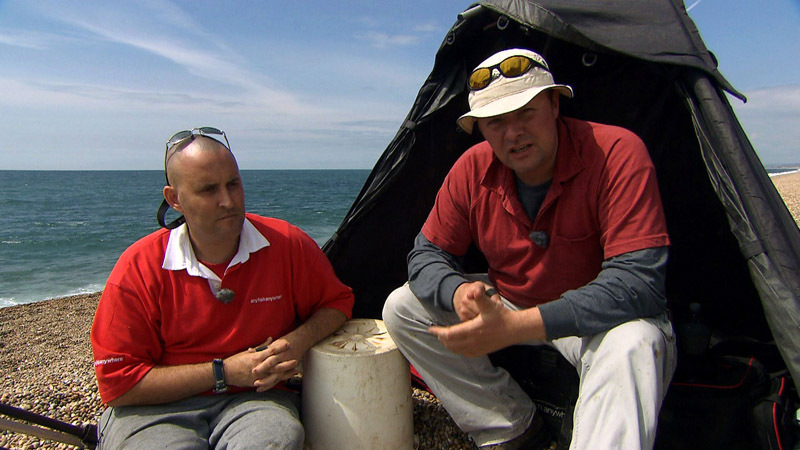 International shore angler Julian Shambrook and Jansen Teakle are at famous Chesil Beach in southern England. 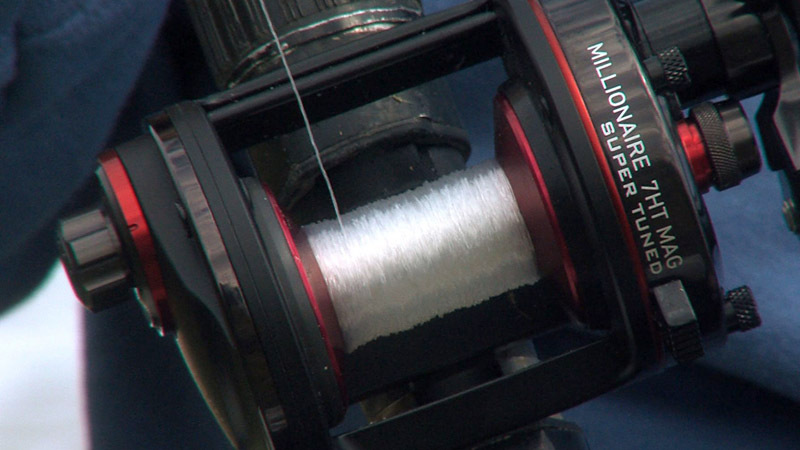 Boat angler Jim Whippy shows how to tie up one of his favourite set-ups for spinning for bass. 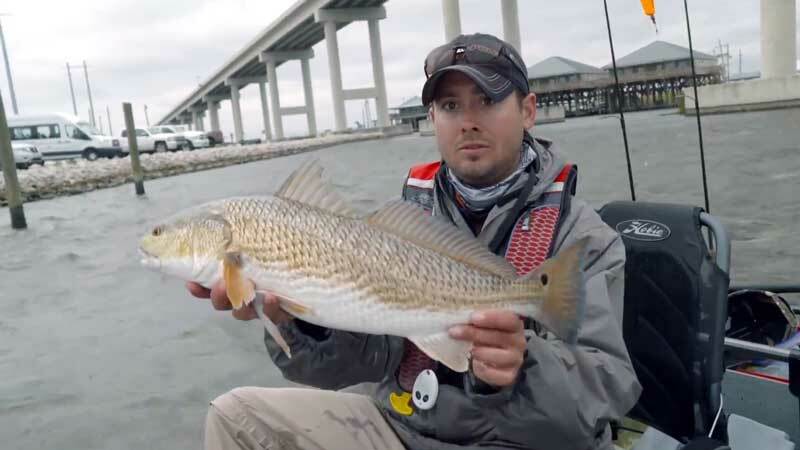 During the off season host Clark Wendlandt uses bass techniques to catch redfish and trout when he revisits a childhood haunt at Matagorda Beach. 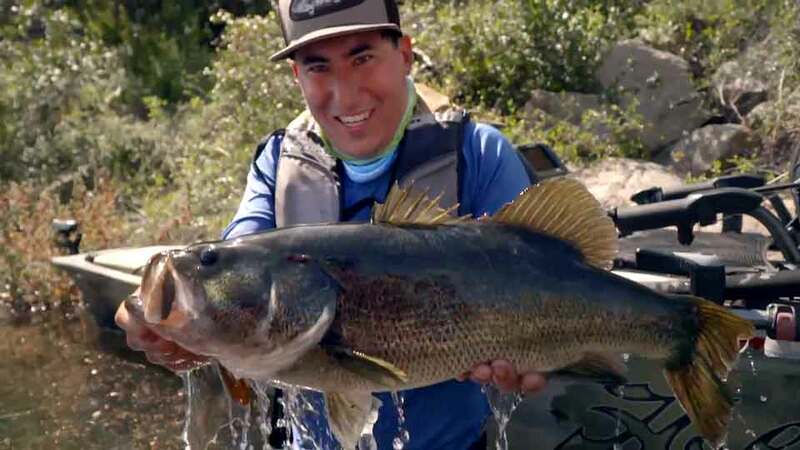 Then he's off to Sam Rayburn Reservoir, which is one of the hottest lakes in the USA right now, so he sees plenty of action during a day on the topwater where he is putting the Strike King Suger Buzz lures to the test. Plenty of great tips for both beginners and experts. 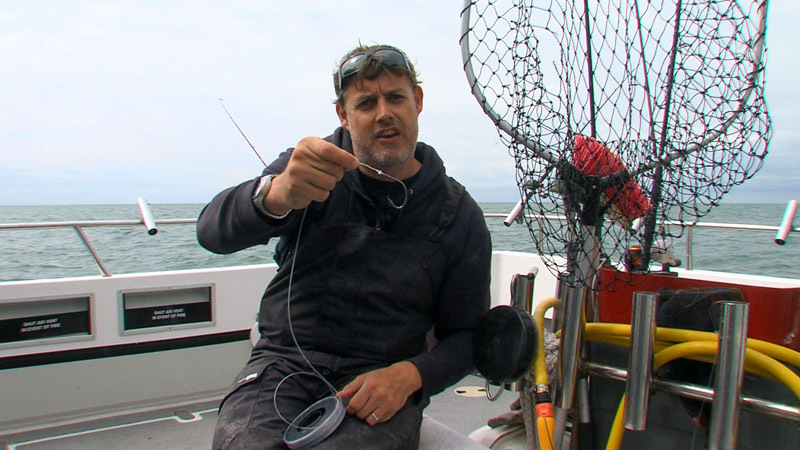 Top charter skipper Rob Rennie shows how to tie up his ‘go to’ rig for cod fishing. After a tough day on the water in part one, owing to low water and heavy fishing pressure, the guys are keen to put some of the lessons learned into practice on day two. But today the weather is against them - what tactics will work? Along the way they get a chance to discuss the importance of hatchery fish to the system, and how to tell which fish are from the hatchery. In this first episode the Sibley brothers head out on Lake Okeechobee for some evening Crappie fishing. 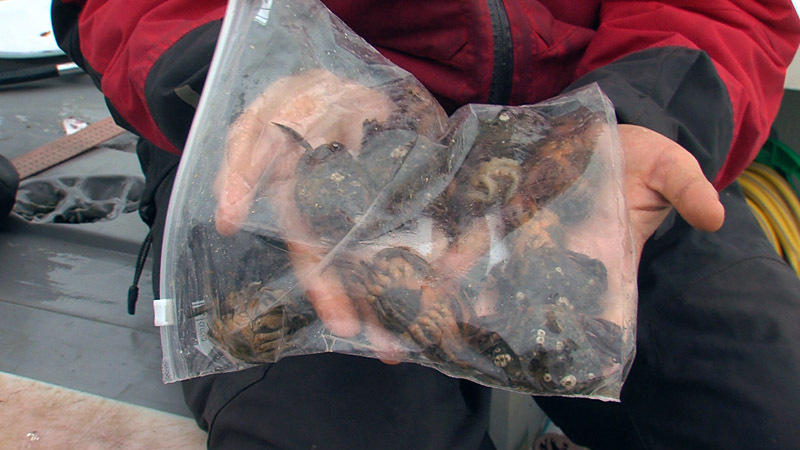 Using freelined minnows, the devoted outdoorsmen get into some great sized crappies for the pot. 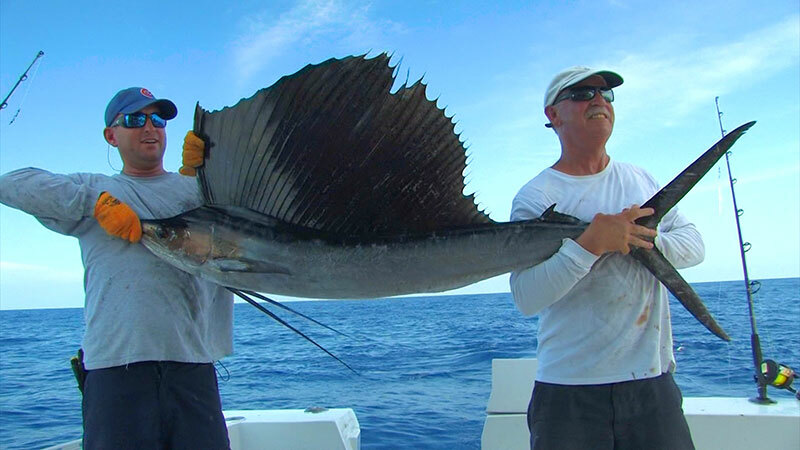 Part 2 of the show sees them fishing out of Tampa with Capt Kevin in the Gulf of Mexico. 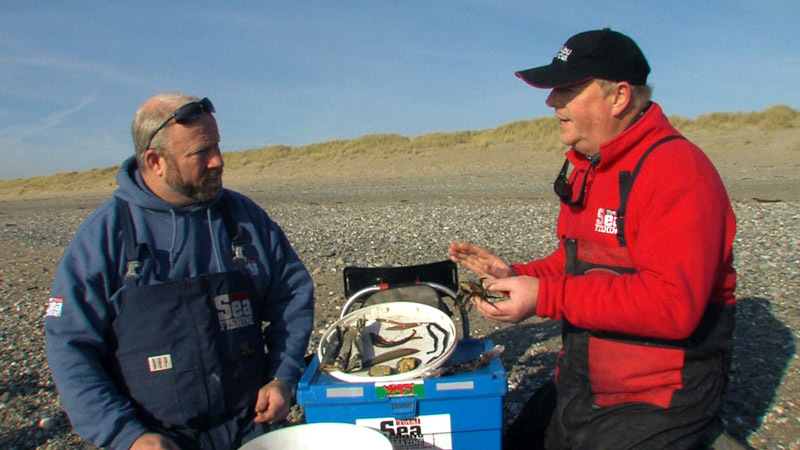 Typical inshore species in this area include drum, sea trout, sheephead and whiting and the guys are keen to put something in the pot for dinner. 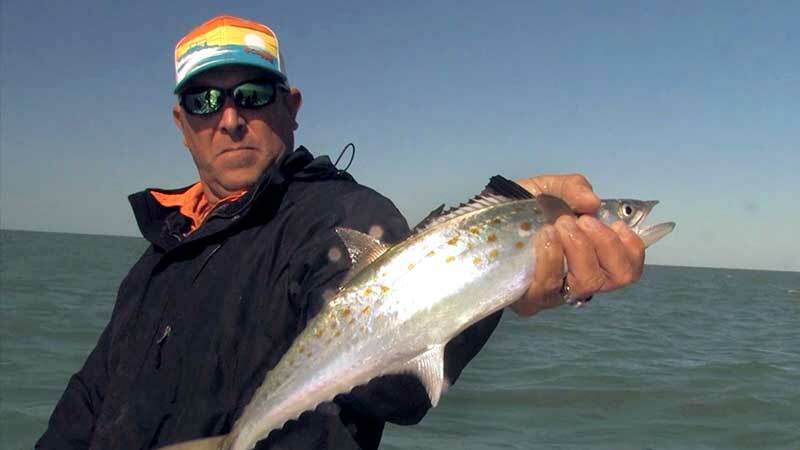 Targeting line-scorching Spanish mackerel on jigged metal lures is one of the most exciting games available in our tropical and sub-tropical waters. Dan is a master of this deadly technique, and willingly shares his wealth of knowledge including such sneaky tips as dispensing with wire altogether when the macks are being a bit fickle.Steve Starling then joins the crew of a charter boat off Eco Beach, south of Broome on the other side of the country, to chase a few Spaniards and shark mackerel on trolled hard-body lures. 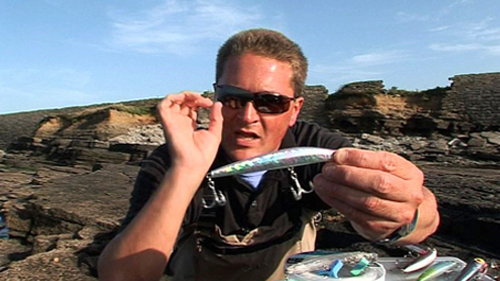 As well as plenty of great action, there are some invaluable tips on offshore lure trolling. 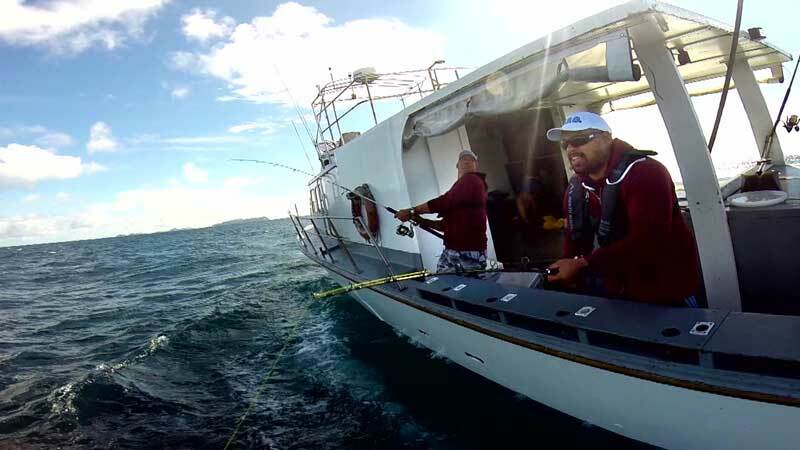 Wave Chieftan skipper Nigel Hodge with tricks on successful speed jigging on reefs and wrecks. 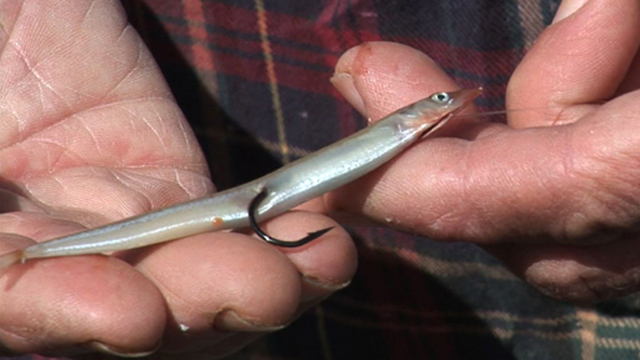 Boat angler Jim Midgley's presentation for targeting quality fish when there are whiting about. 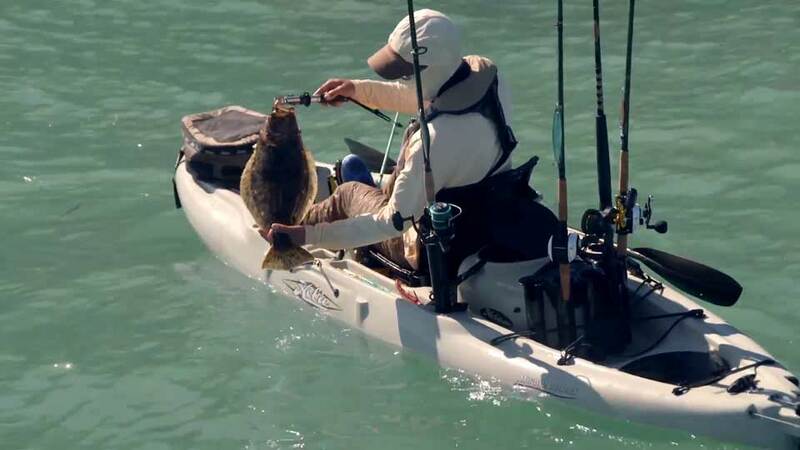 Offshore fishing kayaks have evolved enormously over the past few years and here Mark De La Hey shows how a great day's fishing can be had paddling yourself to the best locations. 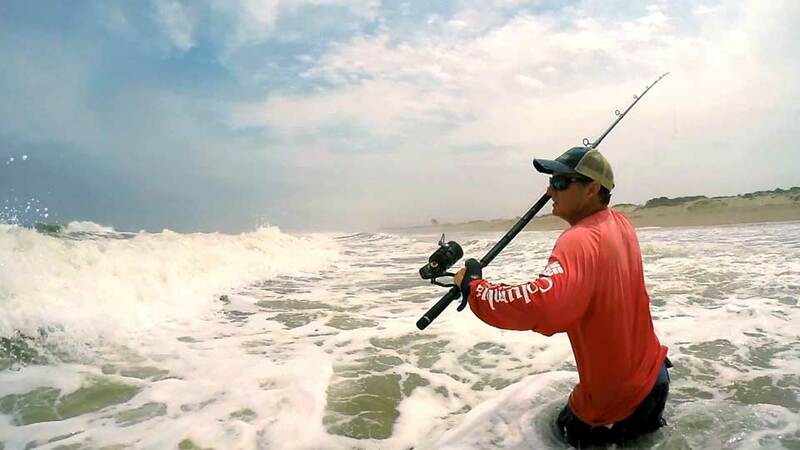 It amazing to see how he battles with Black Tip Shark, King Mackerel and a large Amberjack all from the comfort of his paddle ski armchair. 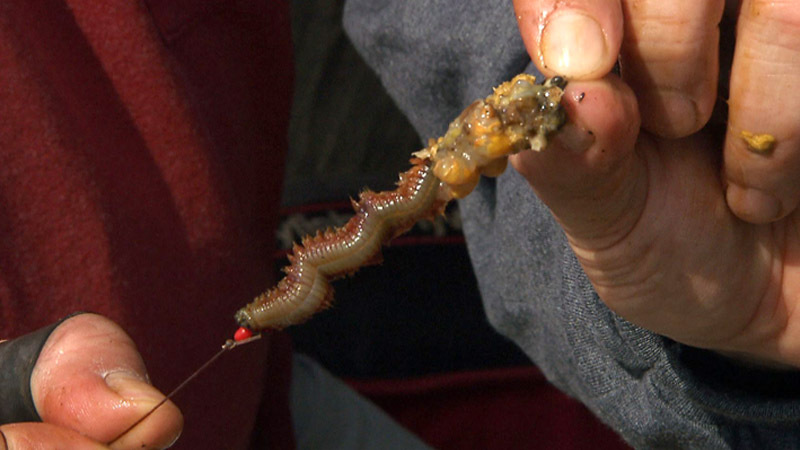 Jim Midgley continues his expert advice for boat anglers with tips on keeping those worm baits in top condition. Julian Shambrook and Jansen Teakle head to Weston-Super-Mare in North Somerset and latch into some lively thornback rays over rough ground and muddy flats. 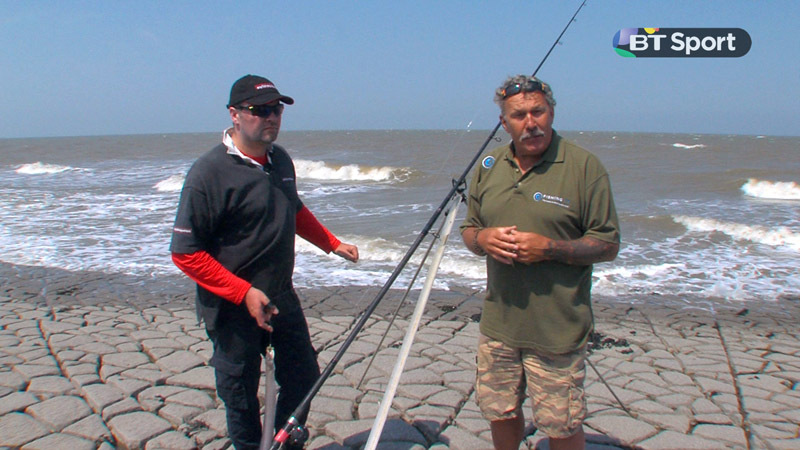 Jim Midgley talks to Dave Barham about the use of swimfeeders designed for coarse fishing in sea angling. 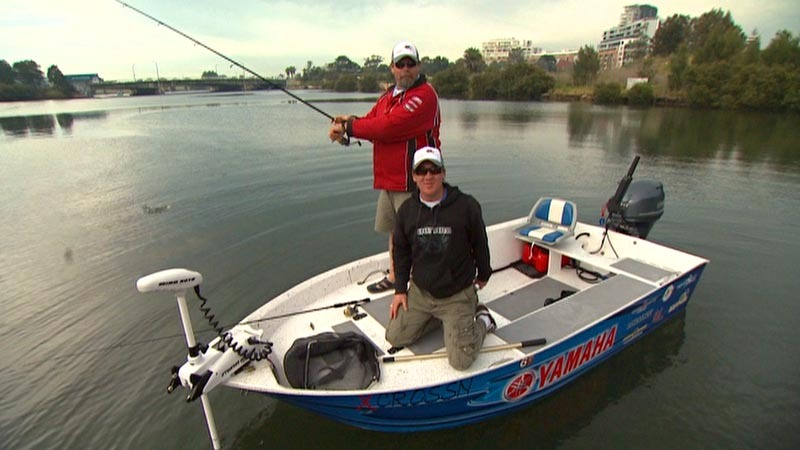 Steve joins Chris Cleaver for a morning's soft plastic fishing on some of Sydney's busiest and most heavily-pressured urban estuaries. 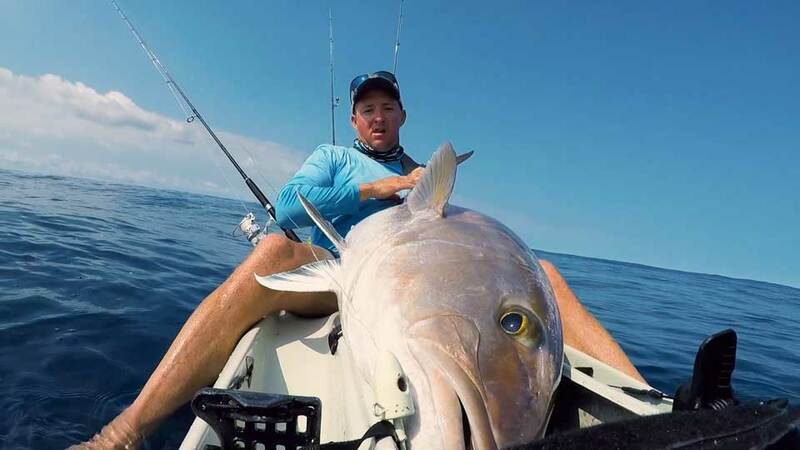 The mind-blowing action they encounter — on jewfish, kingfish, trevally, bream and flathead — is sure to amaze and astound most viewers, and stands as a testament to what's possible with good management of our aquatic resources. 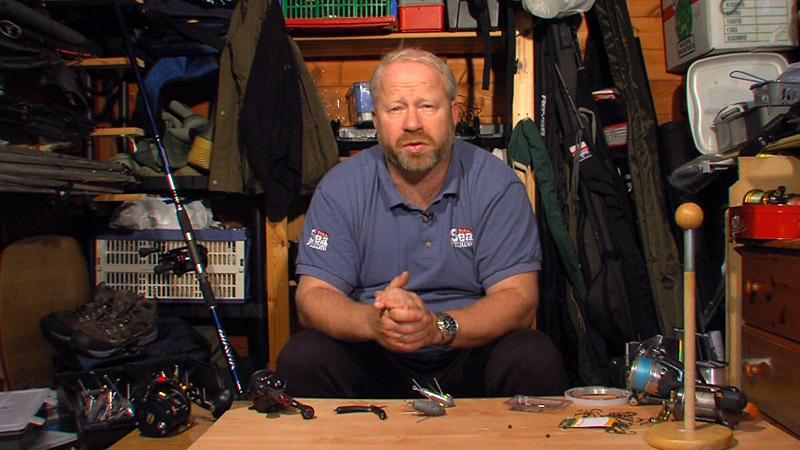 Boat angler Jim Whippy runs through the gear you need to catch a Halibut off Norway. Boat angling journalists Dave Barham and Jim Midgley discuss how to improve your catch photography to give you a better chance of getting your pictures published. 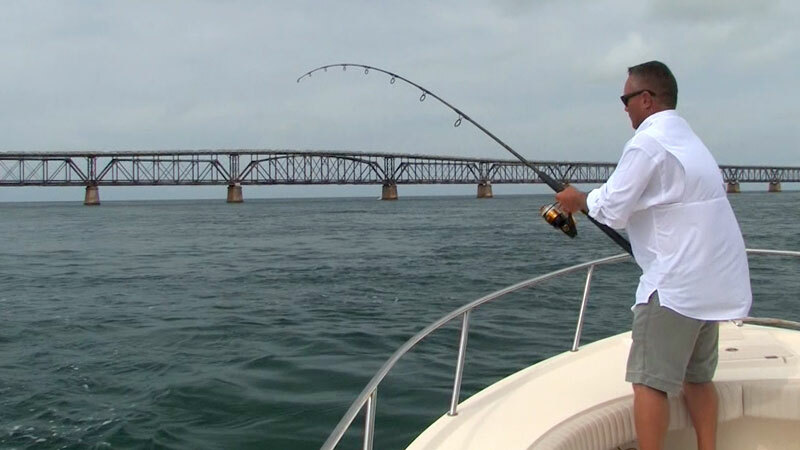 This series takes a documentary style look at the Charter Captains who make their living taking clients fishing in the "sport fishing capital of the world" - the Florida Keys.We join a different boat in each episode, and over the series picks up some top pro tips, and hear's some tall tales along the way.This episode sees us hook up with Captain Chris Johnson and the crew of Sea Squared Charters for a spot of fishing under the Bahia Honda bridge, a known Tarpon hotspot. 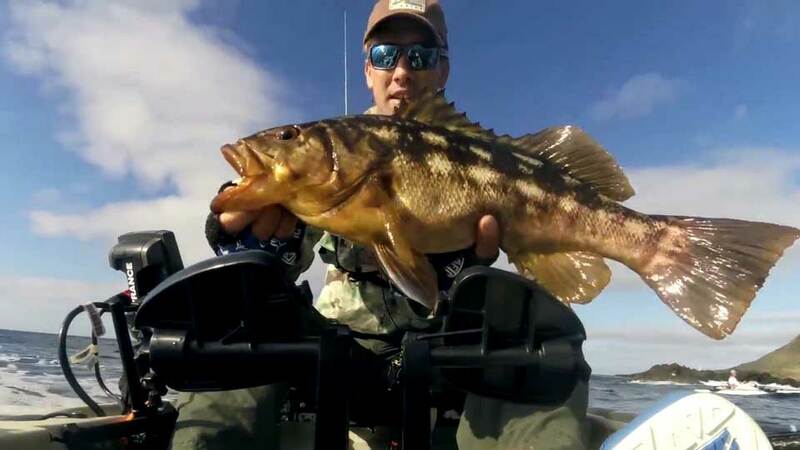 Morgan Promnitz and the Hobie Team visit a number of locations around Florida and catch a spectacular variety of fish from their kayaks. But the highlight has to be a night time fishing session for Tarpon at Fort Meyers. 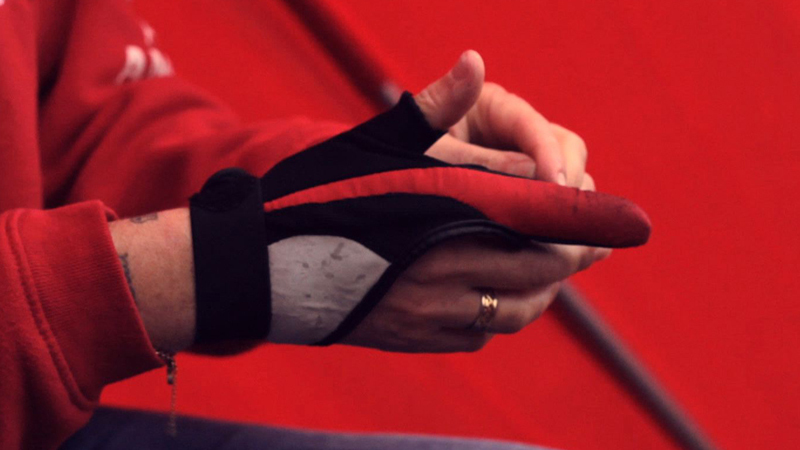 Top caster Peter Thain shows how to perfect the 'Off The Ground' cast. 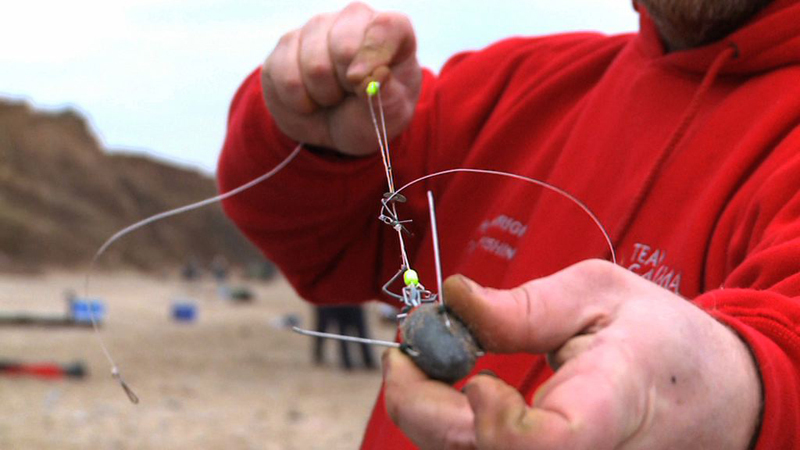 Top beachcaster Peter Thain shows how to perfect the overhead thump cast from the shore. 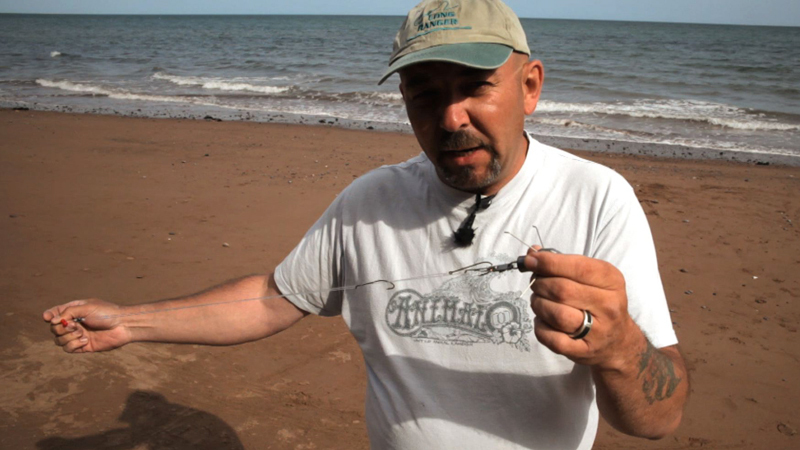 Dave Chidzoy discusses one of his favourite shore fishing accessories- the Thumby. 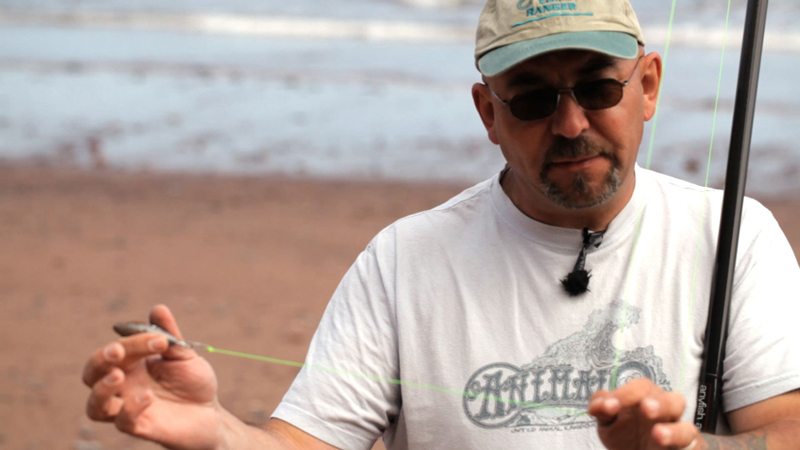 Sean McSeveney runs through the benefits of the Albright knot - ideal for attaching a thick, stiff line to a more supple material. 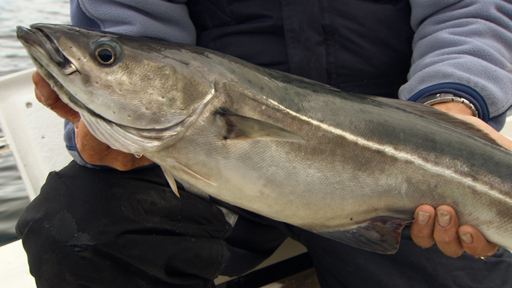 Cod, coalfish and haddock galore as Rae Borras continues his adventure 350 miles into the Arctic Circle. 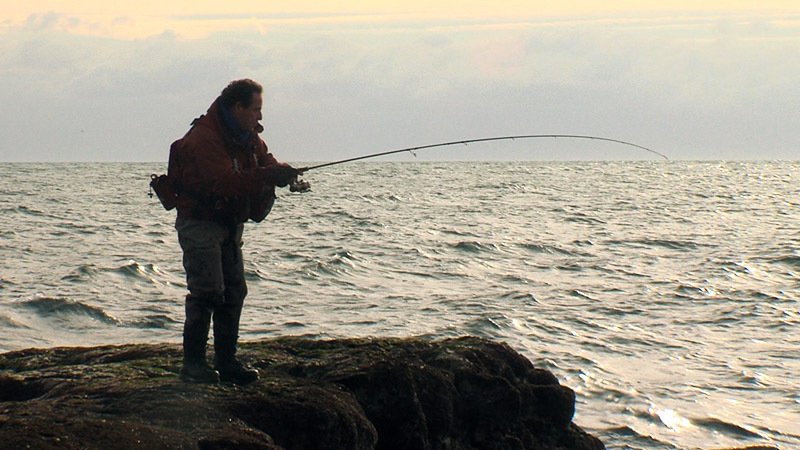 Top caster Peter Thain shows how to master the Brighton Cast. 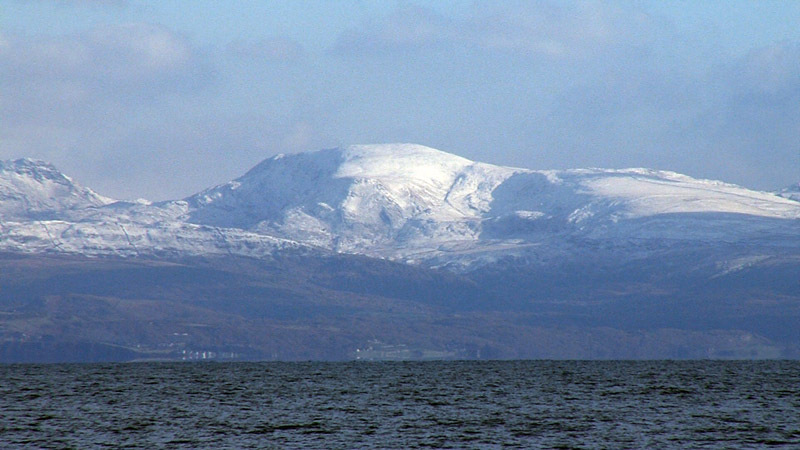 Top Welsh skipper Rob Rennie highlights the great winter fishing available in the Bristol Channel. 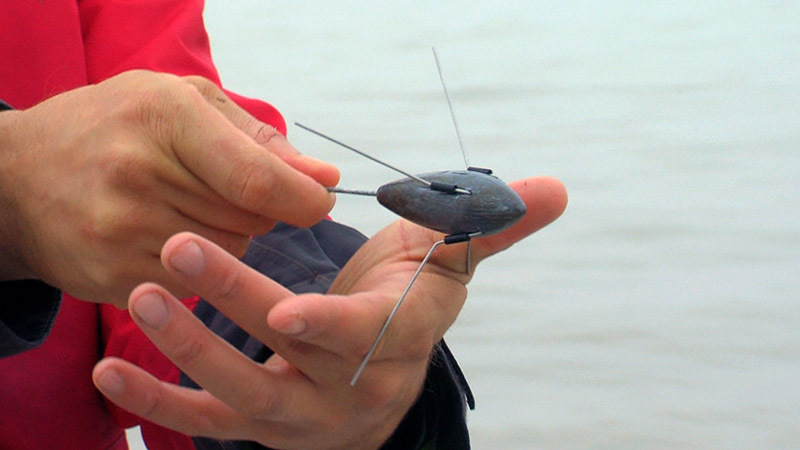 Jim Whippy talks about the coalfish, a super fast, super strong fish that's common off the Norway coast. 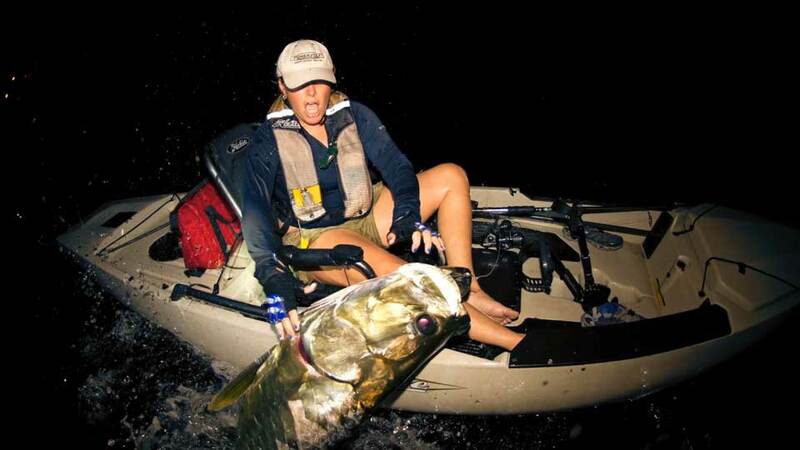 Lady shore international Rachel Jarman on a casting accessory she’s never fishing without. 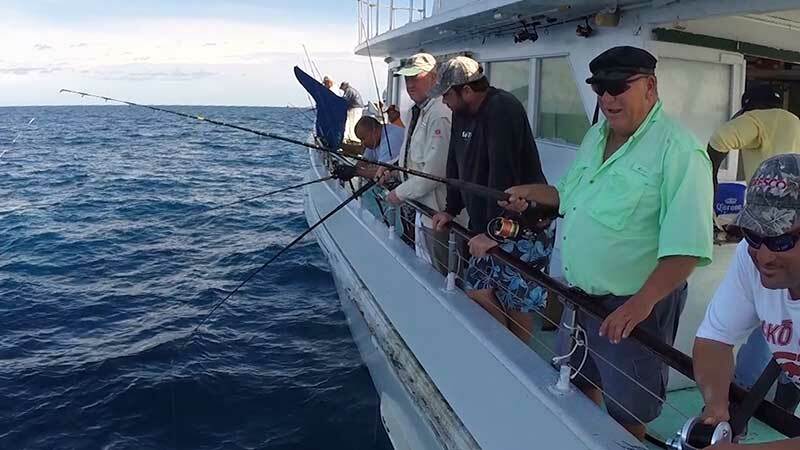 In this episode the Reelin' in the Keys team head to the world-famous Hemingway Challenge - a blue marlin fishing tournament named for one of the most famous deep sea fishing afficionados of all time - author Ernest Heminway. 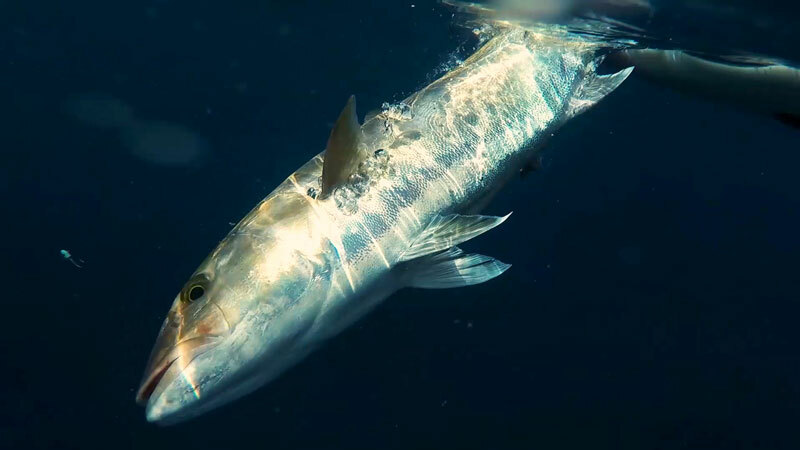 This episode focuses on the largest saltwater fishing tournament in the world – the target: King Mackerel. We join the fleet as it gathers, heads out onto the water, and the anglers in every class from Juniors to Seniors, try their best to out fish each other. 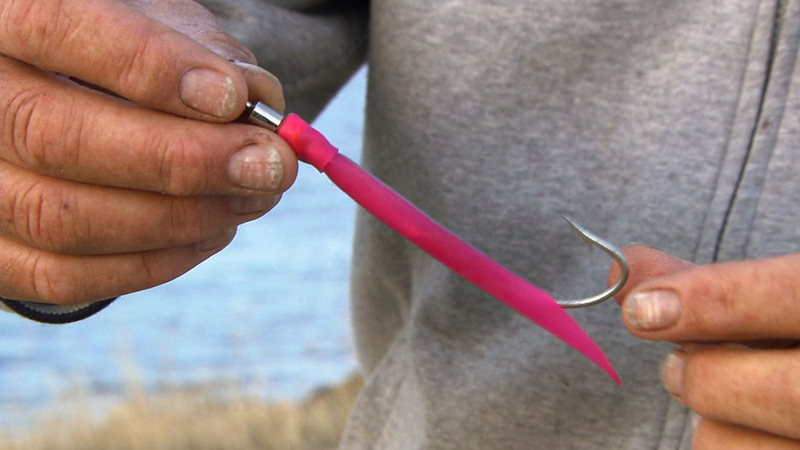 Sam Harris shows how to set up the innovative sea fishing hook that requires no knot to attach it. 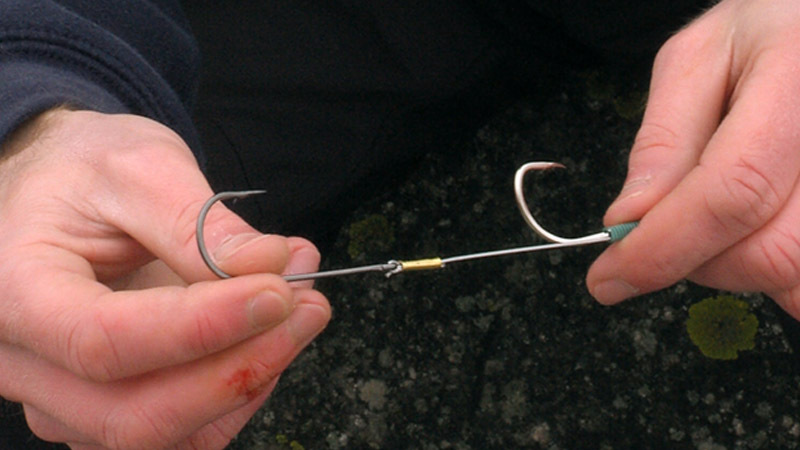 Lady shore international Rachel Jarman shows how to tie up a three hook flapper rig. 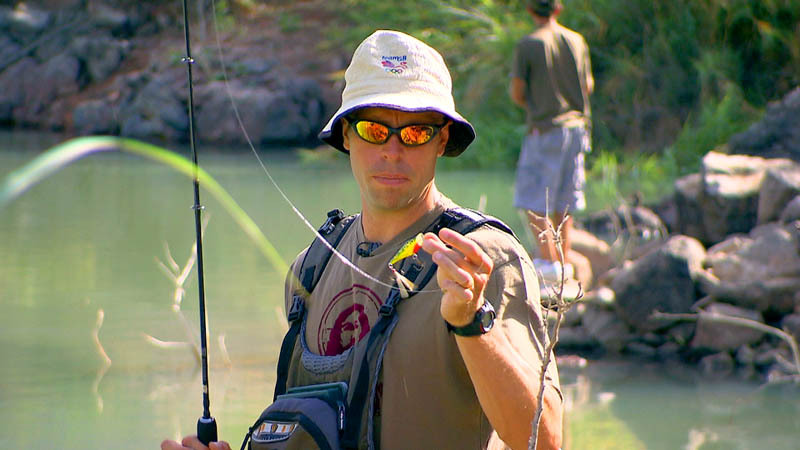 Steve Harrison shows how to tie the Pulley rig – a standard set-up for any sort of bottom fishing and one that can be used to target many species. A chance to see some huge shark being caught, as Mark targets Blacktip off the beach and Grey and Hammerheads out in the deep. Fantastic action from Mozambique. 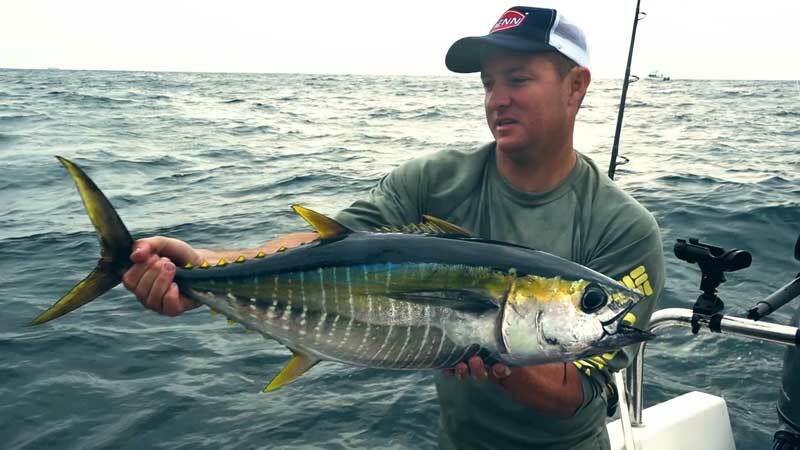 The changeable microclimate around Richards Bay means that Mark De La Hey has to change plans, but fortunately there is enough sheltered water to provide a day's entertainment, surface lures and poppers attract the Yellowfin Tuna and then with live bait he targets Garrick. But as the winds strengthen he has to head inland to Midmar Dam for a spot of bass fishing. 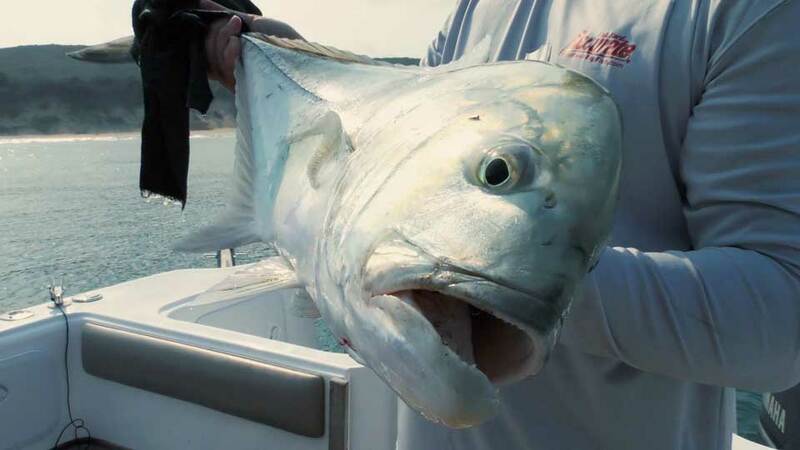 Threadfin salmon are amongst the most exciting, spectacular and unpredictable sportfishing targets encountered in tropical and sub-tropical inshore waters. 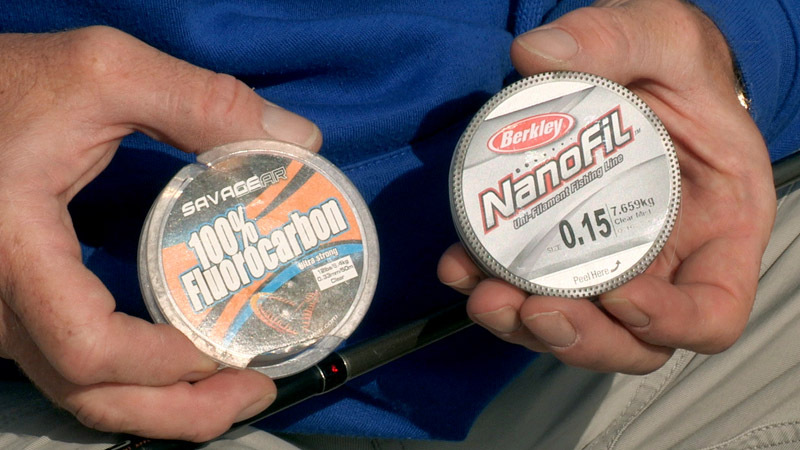 It's hardly surprising that they're so keenly sought-after by serious fly and lure anglers. Join Bargy and Dan Power down towards the southern end of the threadfin's geographic range in south-eastern Queensland as the boys work the tide and bounce their soft vibe lures for these often elusive, tricky and surprisingly gently-biting fish. 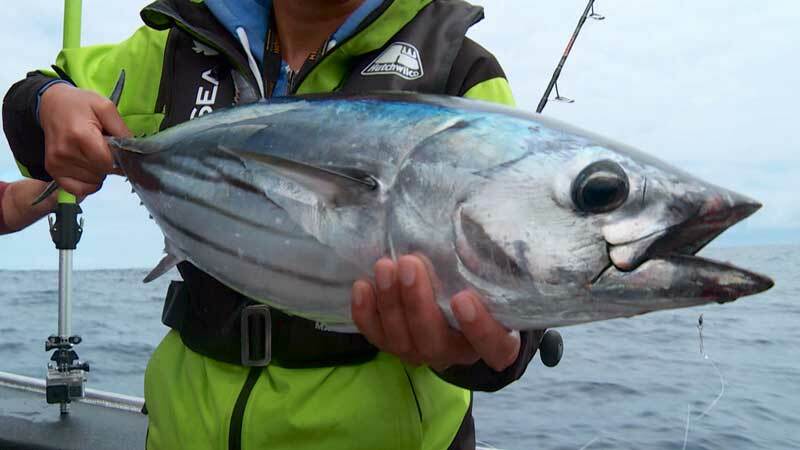 Steve and Mark team up to put a couple of brand new lures through their paces on longtail tuna, mackerel tuna, queenfish and diamond trevally out on Bargy's back yard in Queensland's Hervey Bay. Not only is the action fast and furious, but you'll also learn plenty about chasing pelagics on plastics. 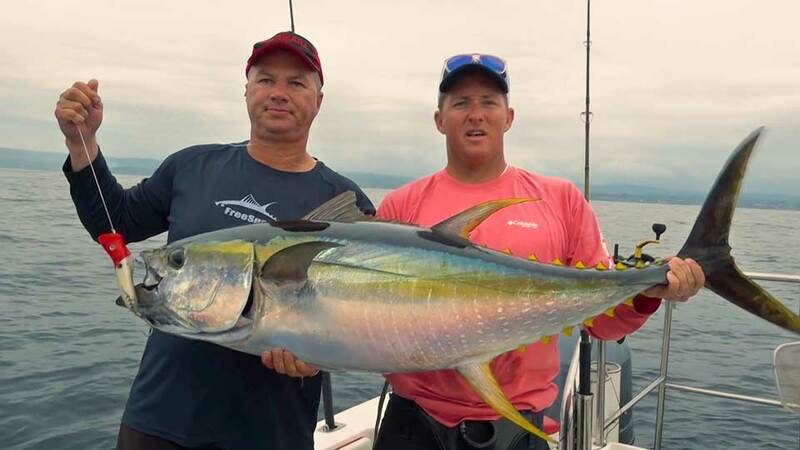 In the last few years the number of Yellowfin Tuna to be found in the waters off South East Africa has grown enormously, which is good news for Mark De La Hey, as he likes to catch them and then eat them. Here he shows 3 different techniques and styles of fishing that can be used. This week, Mandy and her teams make an early start and head out of Tutukaka to Sugar Loaf Rock where they are after trophy sized snapper. The challenge today is to catch 20lb weight of snapper with the fewest amount of fish and this area is reknowned for big ones. The losing team will as always be cooking up the catch for an evening feast. 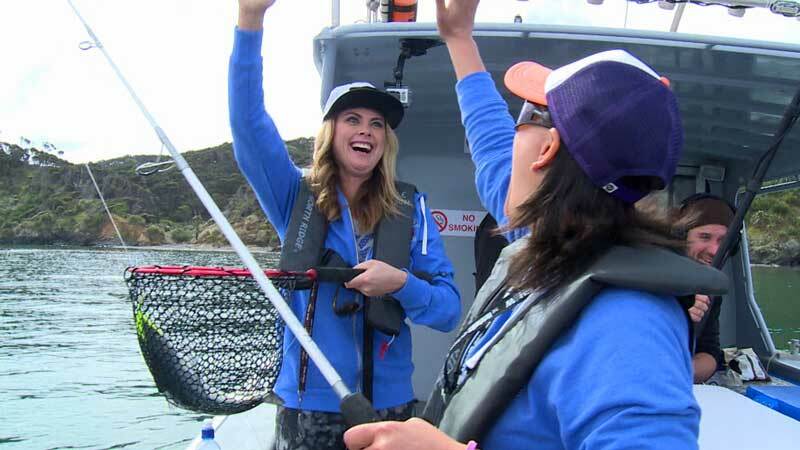 Series host Mandy Kupenga takes on NZ TV entertainer Pio Terei in a two boat challenge that sees the teams diving and fishing the beautiful Tutukaka coast to see who can catch the largest number of edible species. 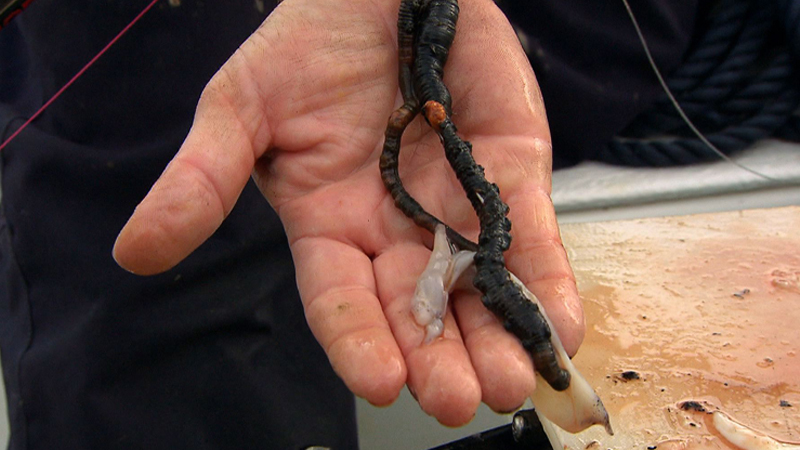 Kingfish, Snapper, Cod and a host of shellfish are on their wishlist and the losers have to do the cooking. This episode sees Rob meet up with Capt. 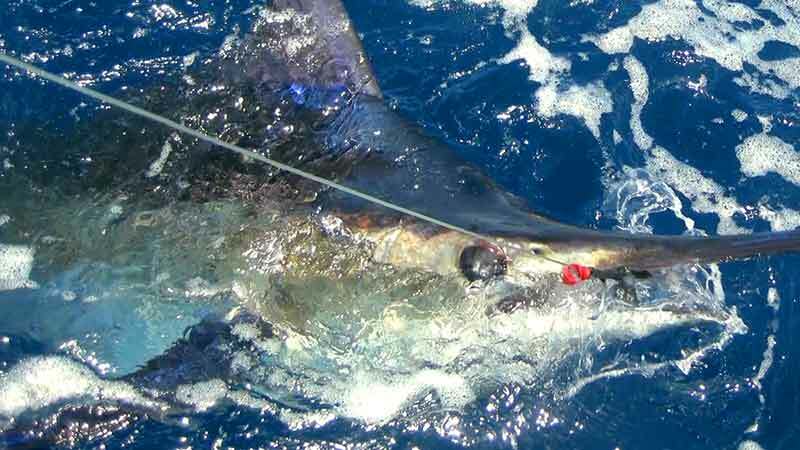 Craig Jiovani for a day’s trolling for sailfish, wahoo and other pelagic species. 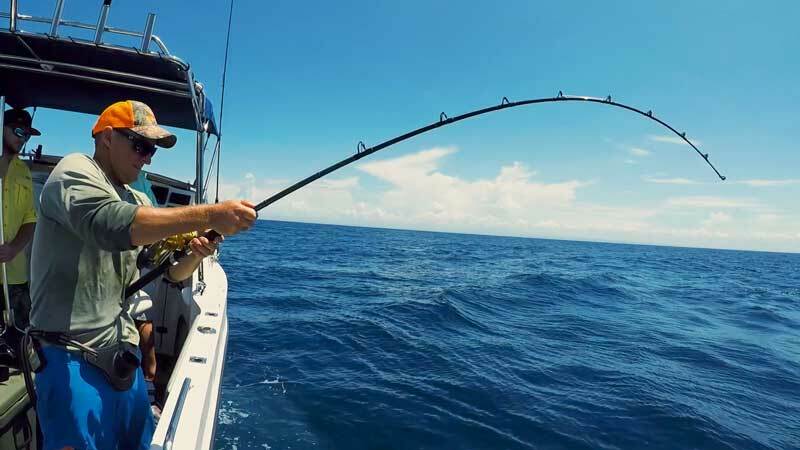 Boat Fishing Monthly editor Dave Barham explains the rudiments of uptide fishing with grip leads. 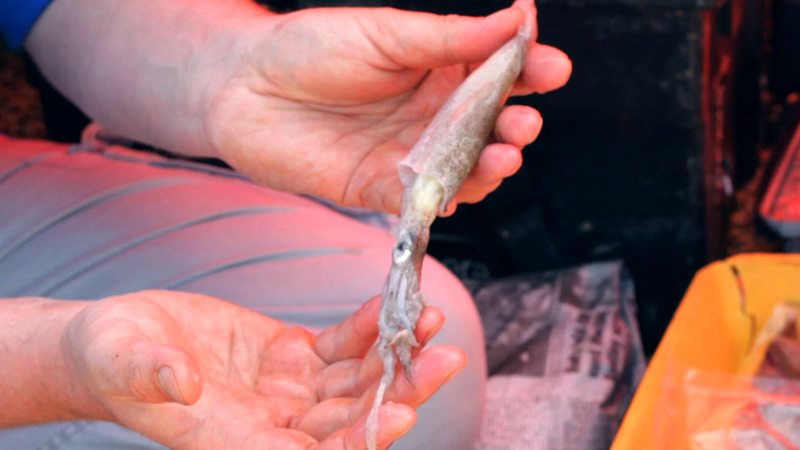 Jansen Teakle shows the easy method he uses to bait up using frozen squid. 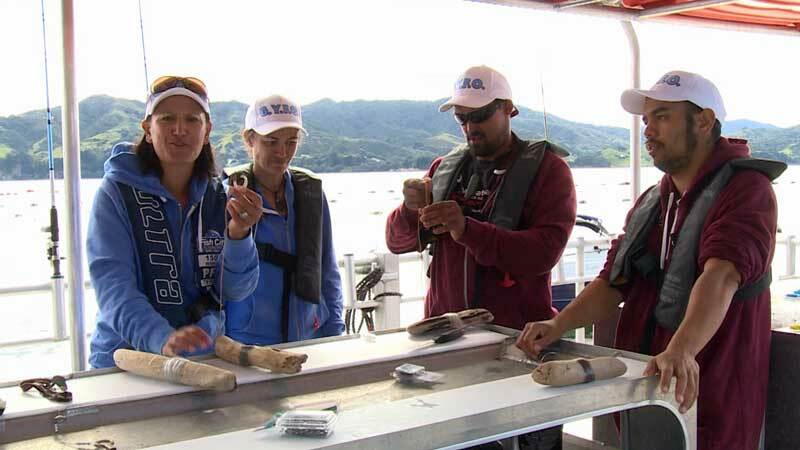 The teams head out from Waihu Bay and this episode its Tuna on the menu. Mandy is facing off against her Dad this week adding a little extra spice to the challenge. 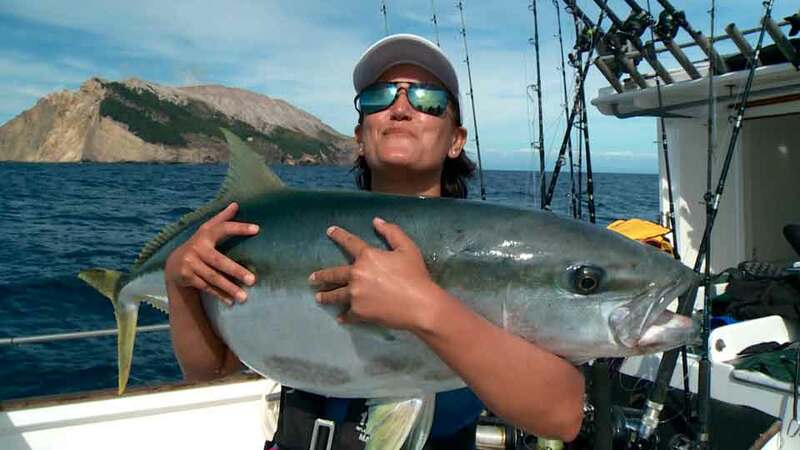 They are targetting skipjack and albacore tuna and after some handlining for some smaller fish, the guys start trolling and Mandy's team mate, Jo hooks into the fish of a lifetime. This is no tuna and the teams take a break from the competition to celebrate this catch. 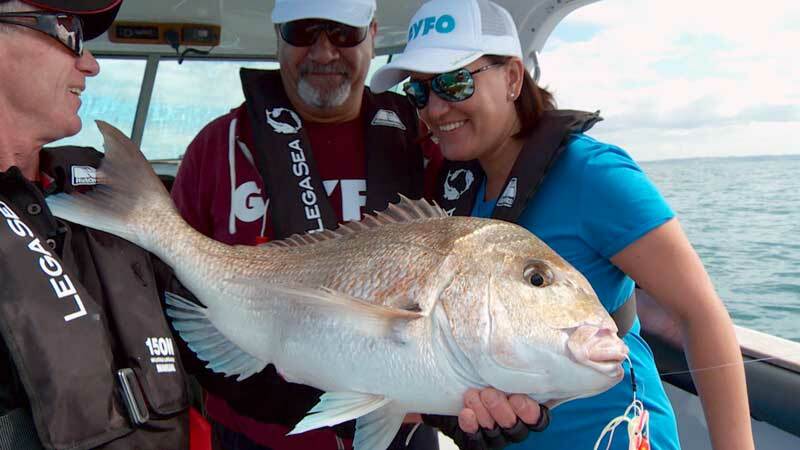 The teams are with Wavedancer Charters out of downtown Auckland, and head out to the Hauraki Gulf where this week's challenge is all about Snapper. The combined total length of snapper will win the challenge with the losers heading to the kitchen. 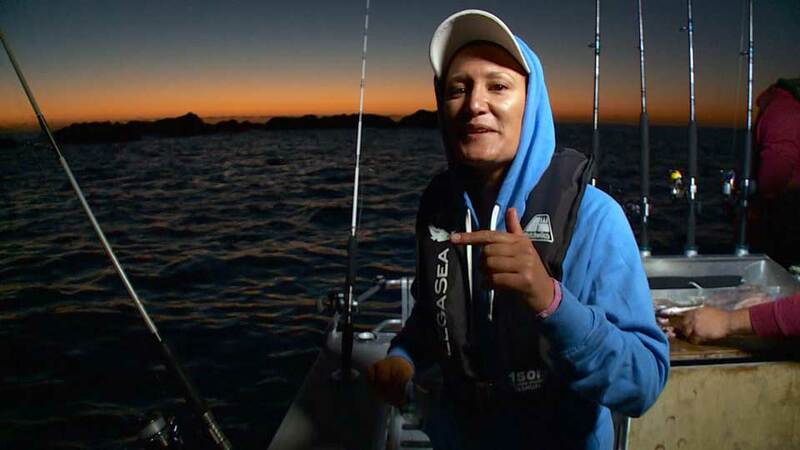 The Hauraki Gulf is a rich marine habitat and the skipper looks for natural activity such as feeding gulls, ganets and dolphins to lead him to the fish. Mark discusses the importance of maximising fishing activity in weather windows as he heads out from Shelly Beach in changeable conditions. 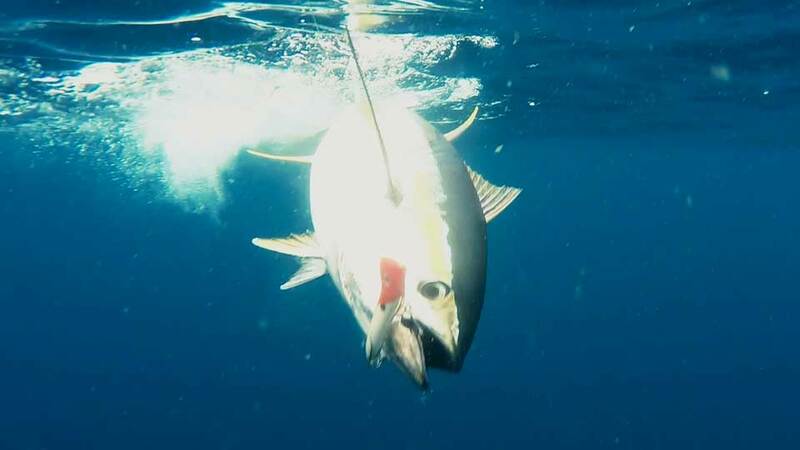 Despite the high winds, the guys use the sonar to find fish and then by using a burly trail, drift over them hooking into some nice yellowfin tuna before Mark catches a fantastic Green Jobfish. After returning to shore they head up to Durban making an early start as they head out again using livebait to tempt some bigger fish. 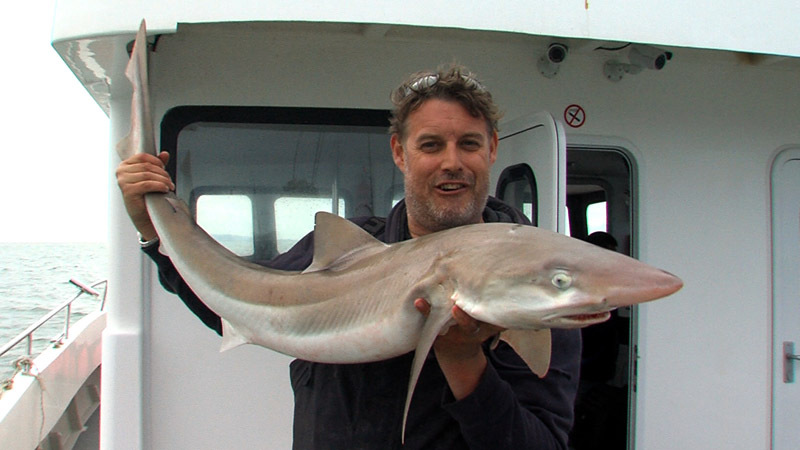 Dave Barham heads to Holyhead with double figure smoothhounds on his mind. Andy Ford presents a spotlight on what has to be one of the friendliest fishing events in the fishing calendar. This week the teams are fishing in the Mokohinau Islands in a 5 fish challenge where the teams have to catch 5 different edible species. On the mens team this week is New Zealand's middleweight boxing champion, Josh Bowman. Can he deliver the knockout blow or will he be consigned to the kitchen to cook up the evening feast? 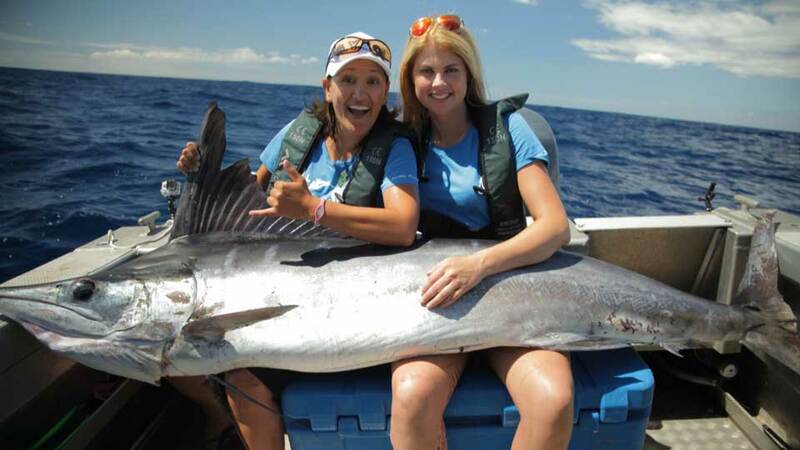 Kingfish, Gem Fish, Tuna – as long as it’s big and you can eat it then it counts in today’s contest, as Mandy heads offshore with 3 other fishing fanatics who’ve never landed a big one before. The teams are anchored up off the famous White Island for an epic all-nighter. Under floodlights they are trying to catch the most Kingfish and there are some giant ones to be had! With the losers cooking breakfast. 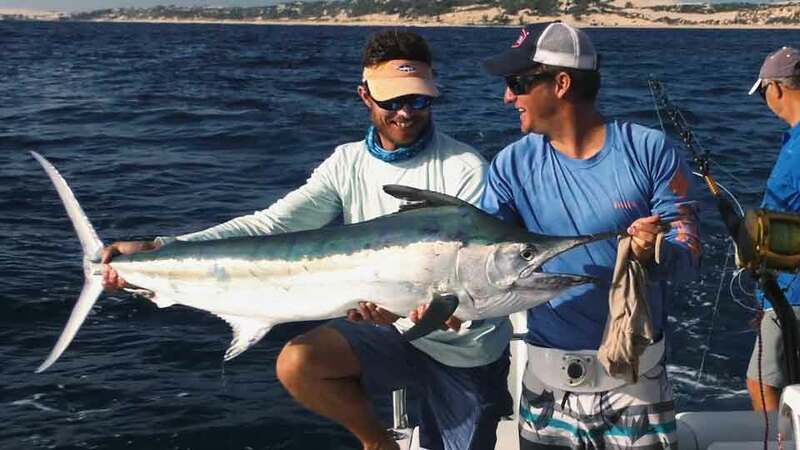 The arrival of winter sees normal gamefishing activity die down, however on the East Coast of South Africa they are blessed with the appearance of migrating Garrick, an athletic hard-fighting fish, who fortunately seem rather partial to Pinkies. 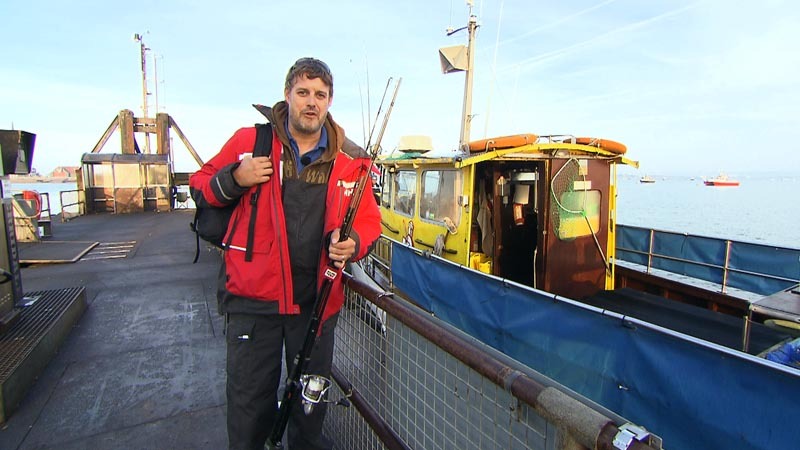 Dave Barham heads off with the British Conger Club for some big eel wreck fishing out of Weymouth.